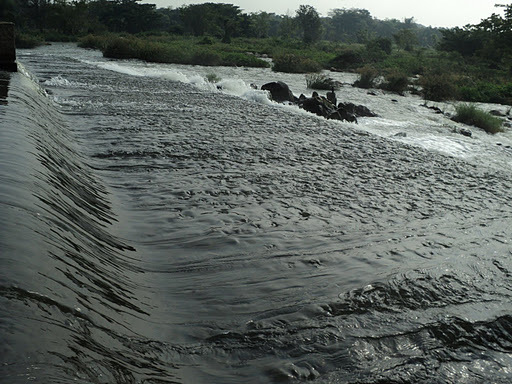 Directions: Bengaluru – Chenpatna – Sathnur – Muthati – Chenpatna – Kanva – Bengaluru. 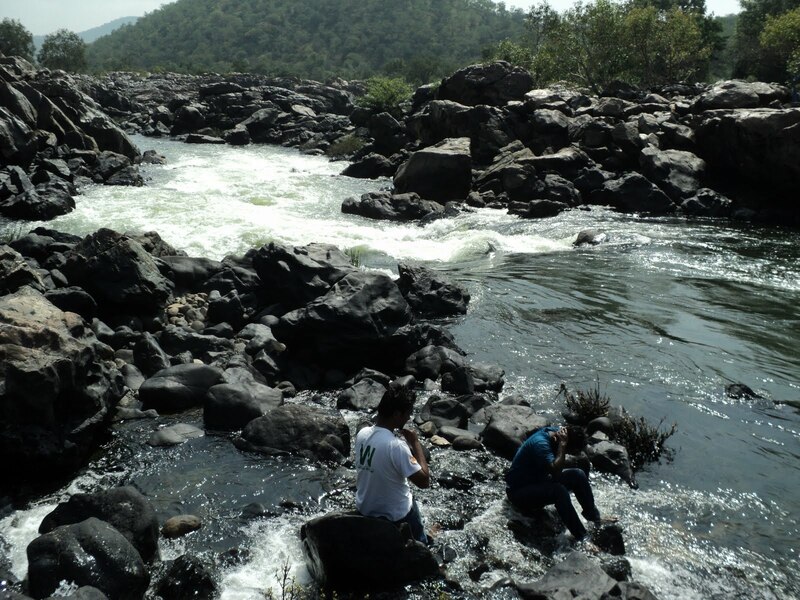 Particiapants: Deepak (Deepu) > Datta (Dattu) > Chethan (Zethu) > Karthik (Sp). 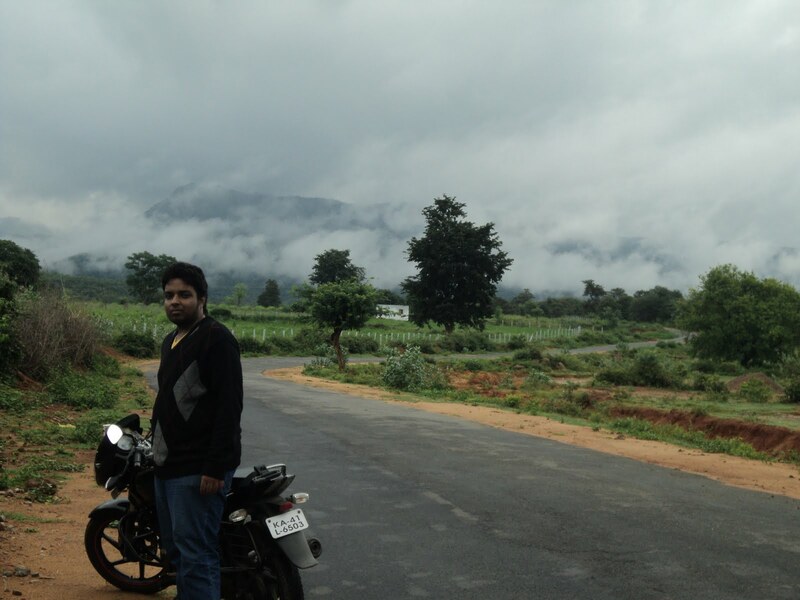 Previous visit: Madhugiritrek & Nandi hills. 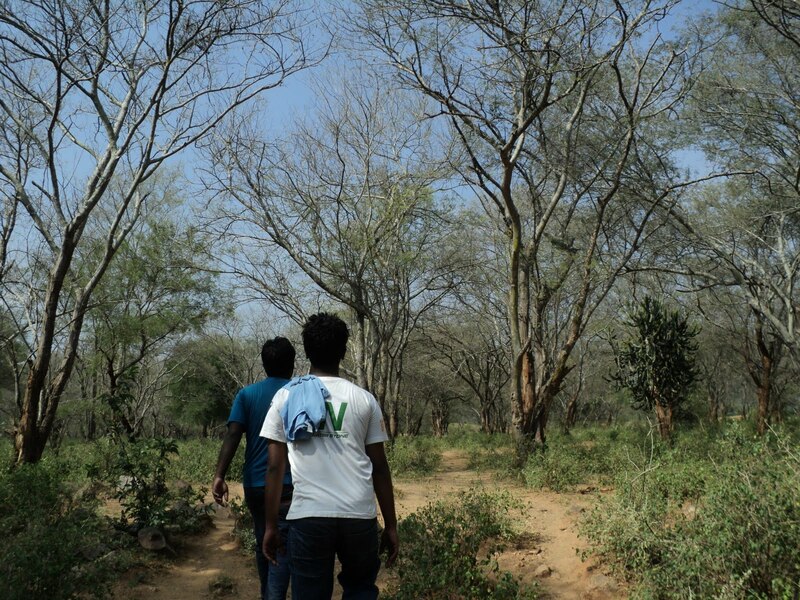 Facebook page: Muthati forest & Kanva album. 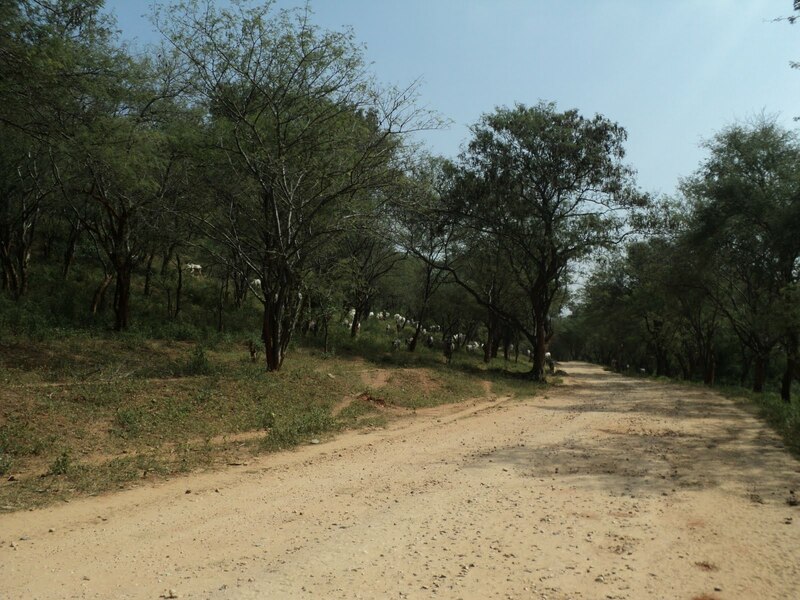 This was another formal run to the forest range of Muthati. It had been amost an year since we had visited this place. 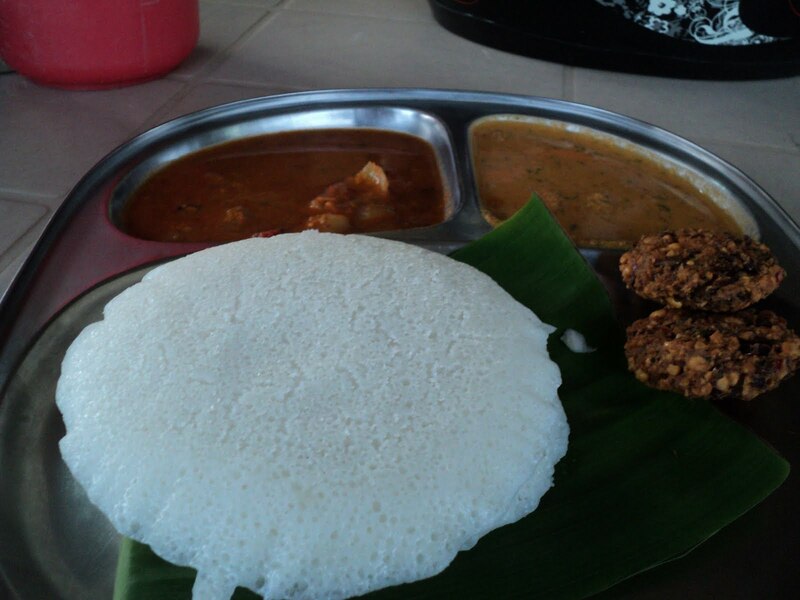 And well Kanva just had to be on the menu to complete this trip. 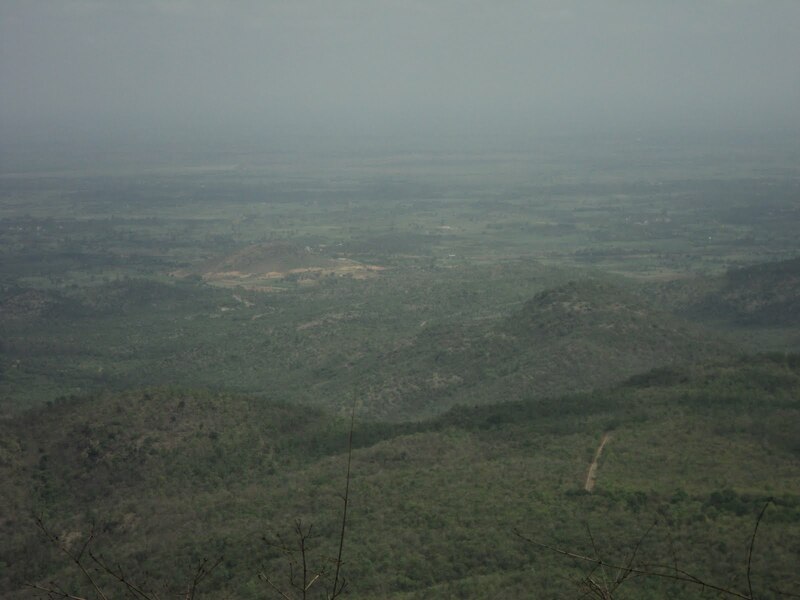 This was the 3rd run for the month of July, 10 days after the excellent visit to Madhugiri & Nandi hills. The old school 3 (Deepu, Dattu & Zethu) were the ones on the confirmed list. After the meet up time was comfirmed at 06:00 hrs, we crashed. Yeah I was up at about 05:00hrs, had a cup of coffee, did a few push-ups & sit-ups and went outside at 05:45. Then the wait began, an hour passed there was no sign of the crew. So I went back home & finished of breakfast. Finally they arrived and we departed Bengaluru. 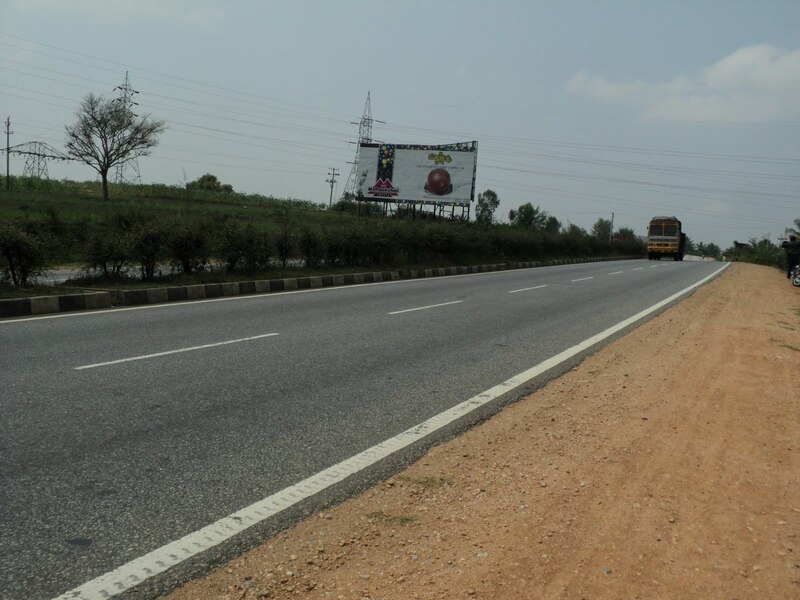 This was a 30kms stretch on the butter smooth Mysoreroad (SH-17). Being a 4-lane road it offered minimum resistance. 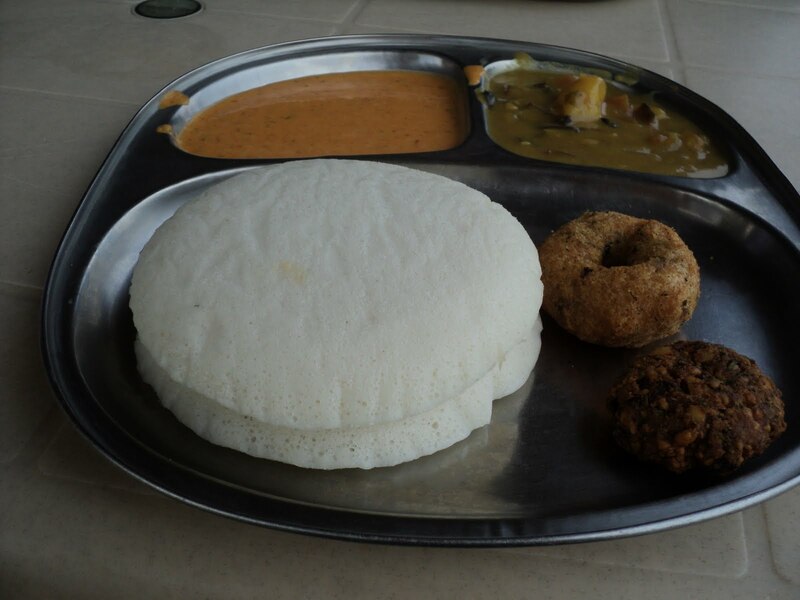 As others hadn’t finished their breakfast, we pulled over at our regular tattle idly stop in Bidadi. After having an excellent breakfast we had some tea/coffee & left. This was about 60kms stretch. 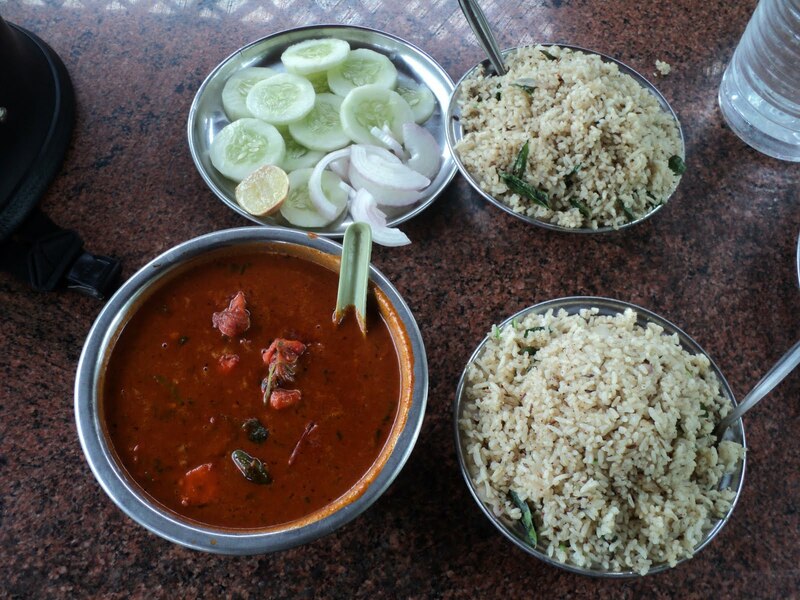 After an excellent breakfast, we cruised the next 30kms on SH-17 to reach Chenpatna. From here we took a left turn and continued to reach Kabblu. 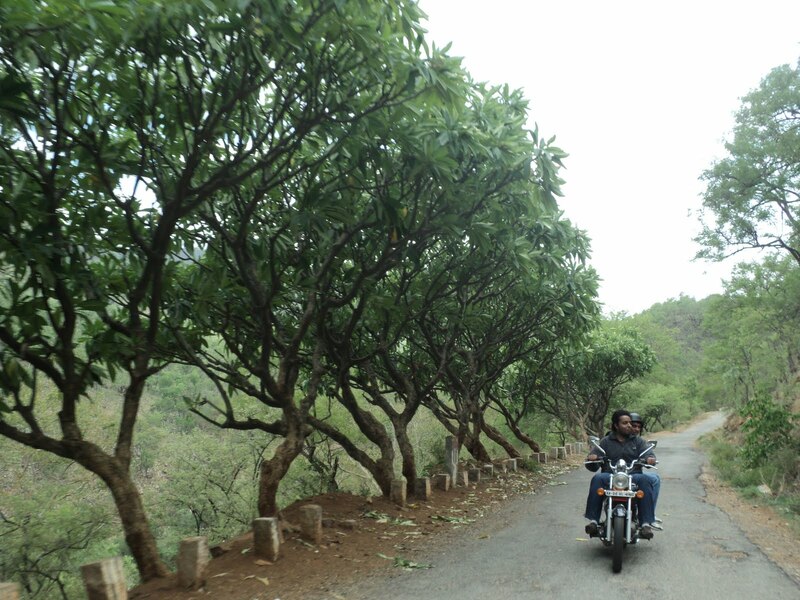 The ride after the deviation was simply superb as there was lot of shade & surroundings were brilliant. 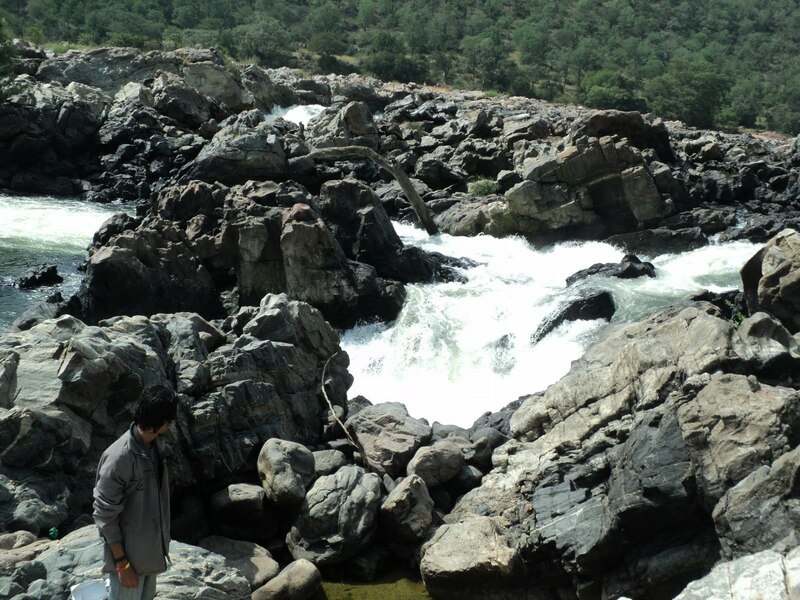 As we got the first glimpse of Kabblu it took me back to my trek which I had pulled off 2.5 years back. 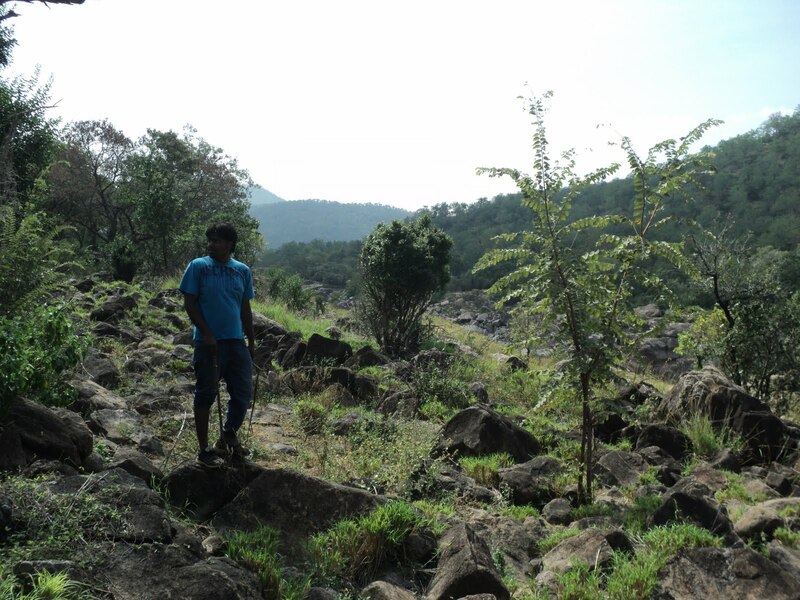 After taking a small break, we continued to reach Sathnur. 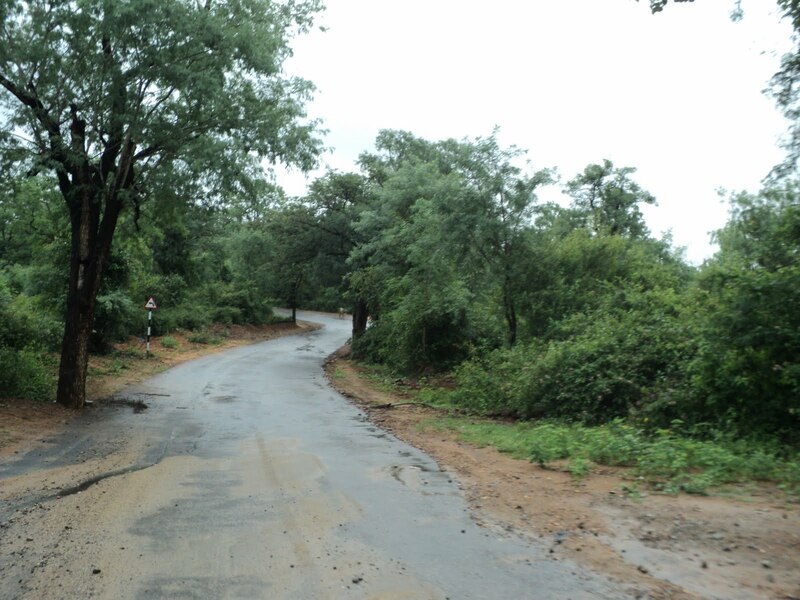 This was a 20kms stretch & something we had been waiting since the start. We started off slow due to the bad road conditions. 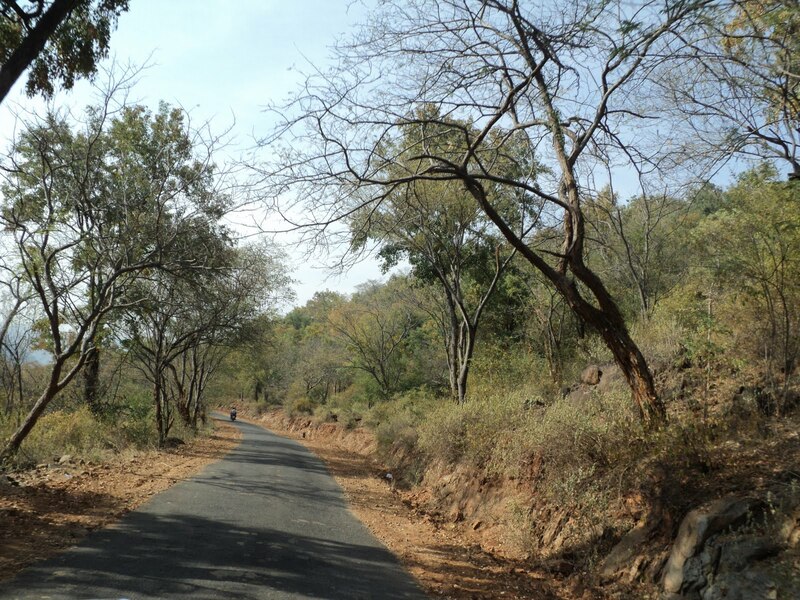 We did spot a lot of birds & small creatures like squirrels on the road side. 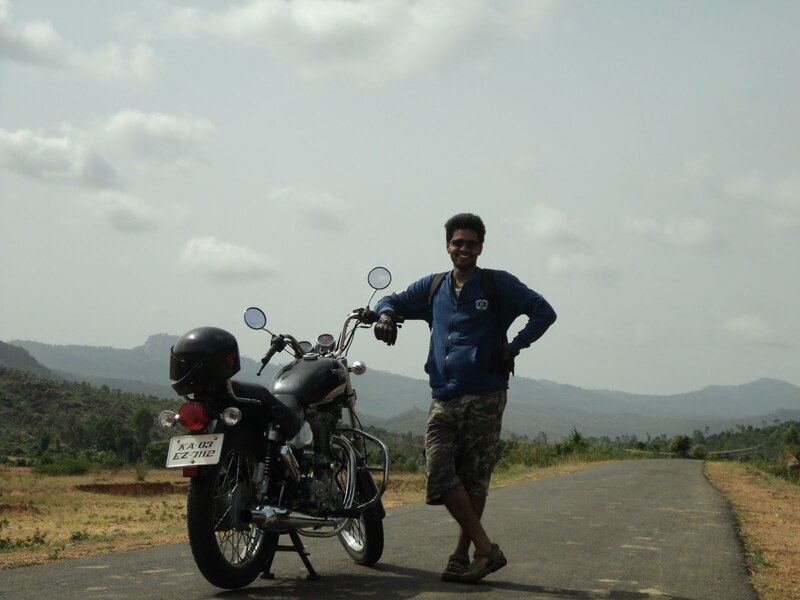 Dattu merely sitting on of the bikes meant we were well entertained. As we continued further the roads turned a little better, but there were lots of patches when compared to our last visit. After about 30mins we reached our regular hangout, the actual place isn’t that good. 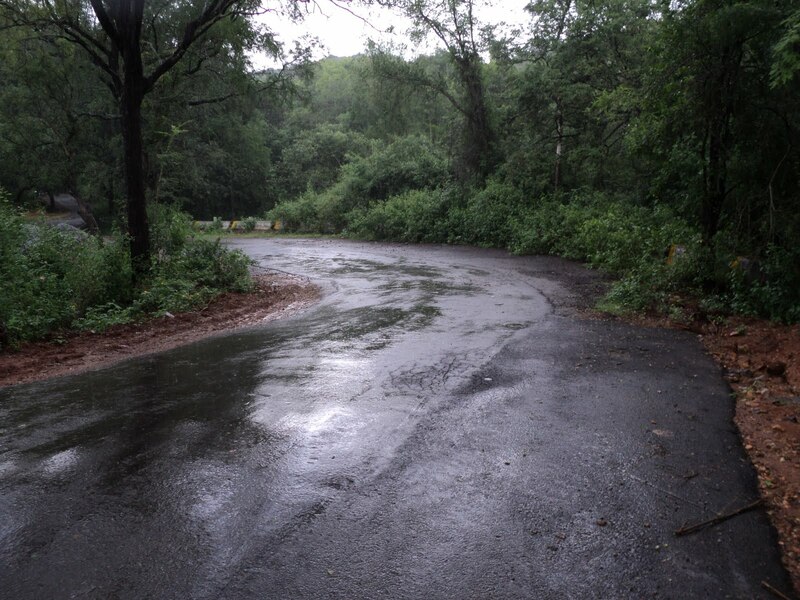 So going off-road into the forest towards the river is a better option. First things first we removed our shoes & started exploring the place. Finally found a decent spot to sit down. 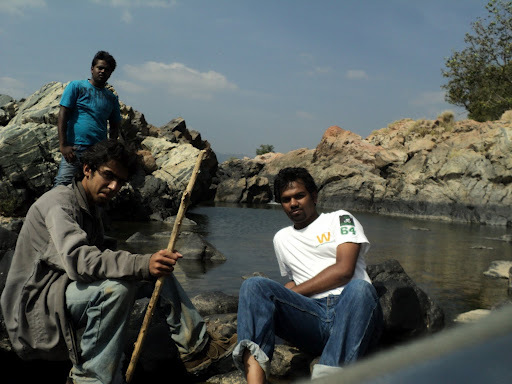 As we did fishes swan towards us & started eating the dirt off our feet. We also spotted an eel in the flowing river water. 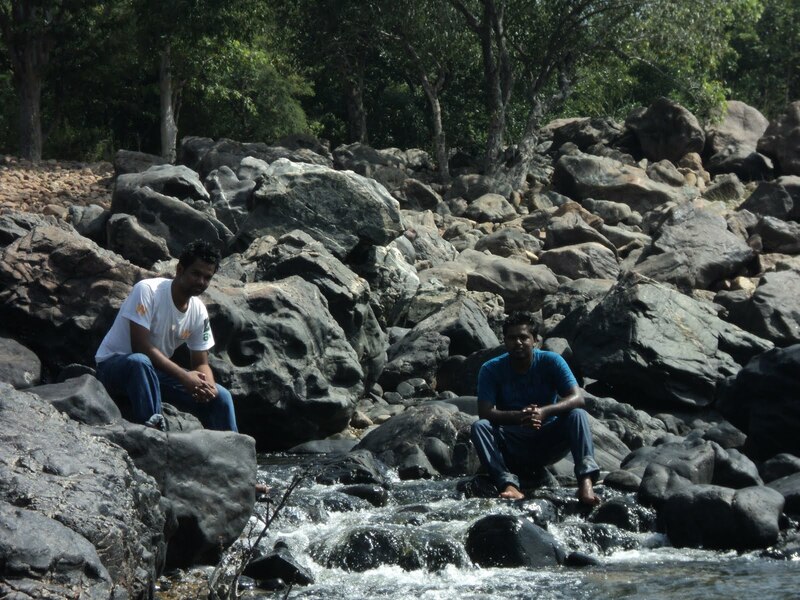 After about an hour discussing the plans for the day, we decided to visit Kanva as well. We wore back our shoes & started playing the good ‘old skipping stones’. After about 30mins of the game we left Muthati. 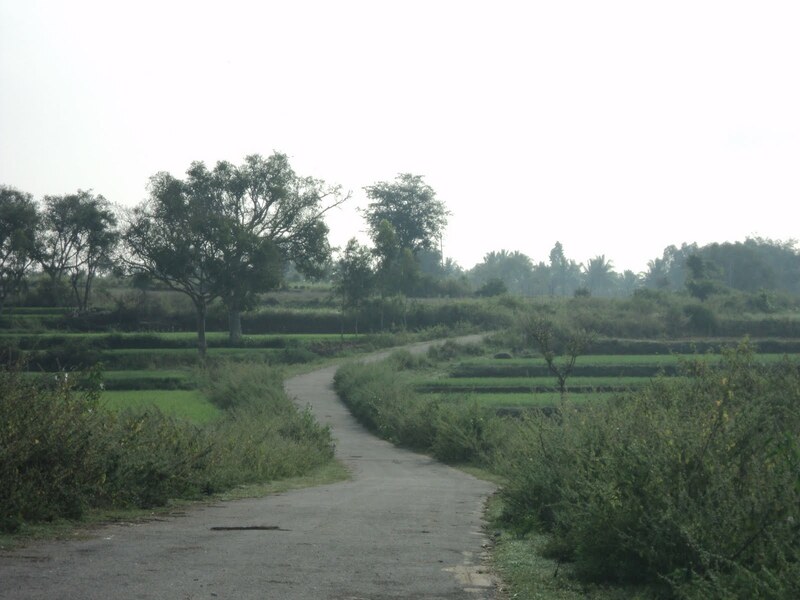 This was roughly 60-70kms stretch. 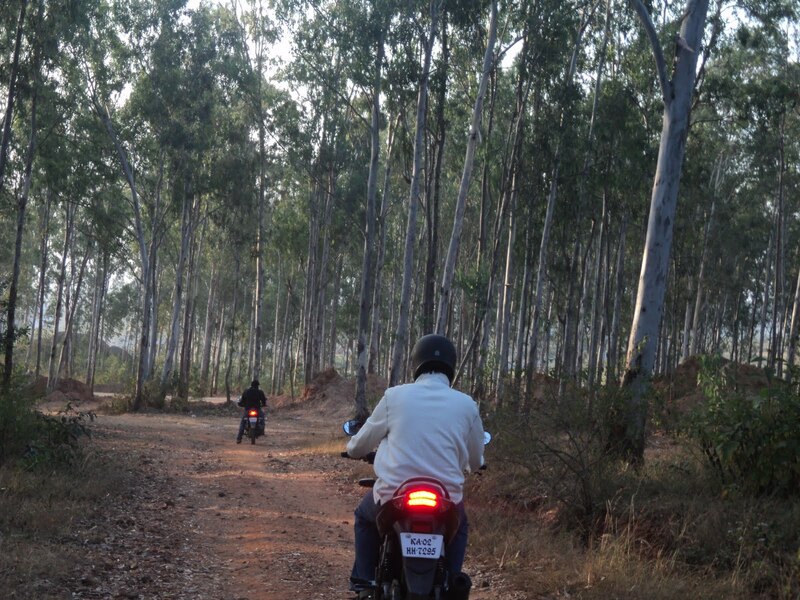 The ride back to Sathnur was a slow one as it was in forest premises. 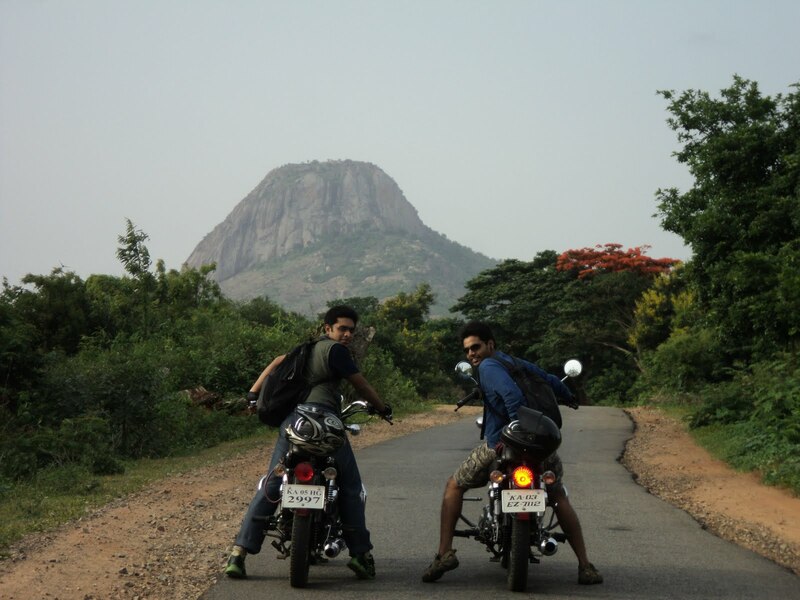 Once we reached Sathnur it was pure cruising for the next 25kms to reach Chenpatna to re-join SH-17. 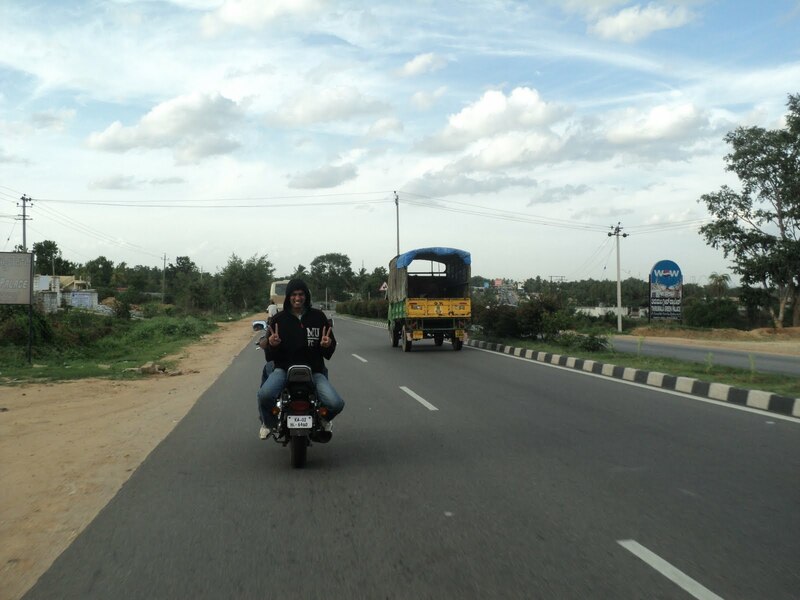 Once we hit Mysoreroad, we cruised till Ramnagar outskirts. 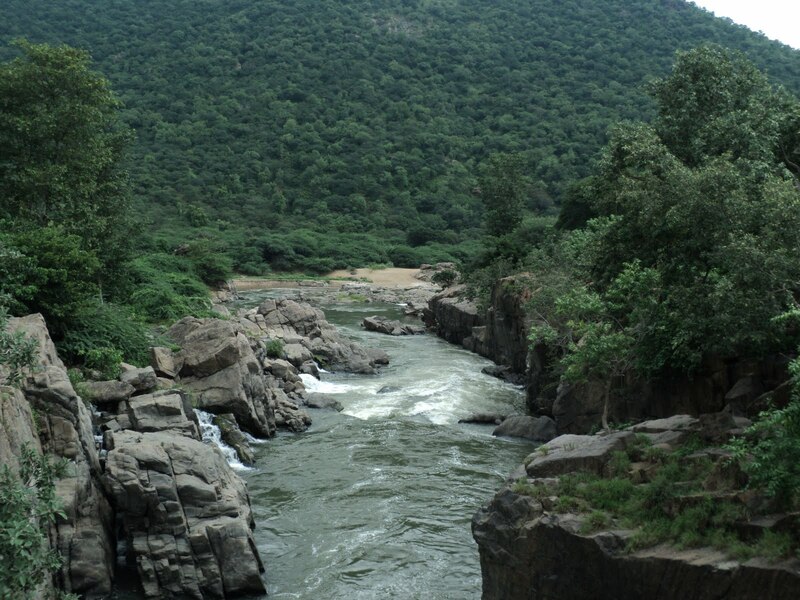 Stopped in between grabbed something to drink & continued to reach Kanva. Well this wonderful place had to be on the menu for the day. It was peaceful & tranquil as it was a week day. 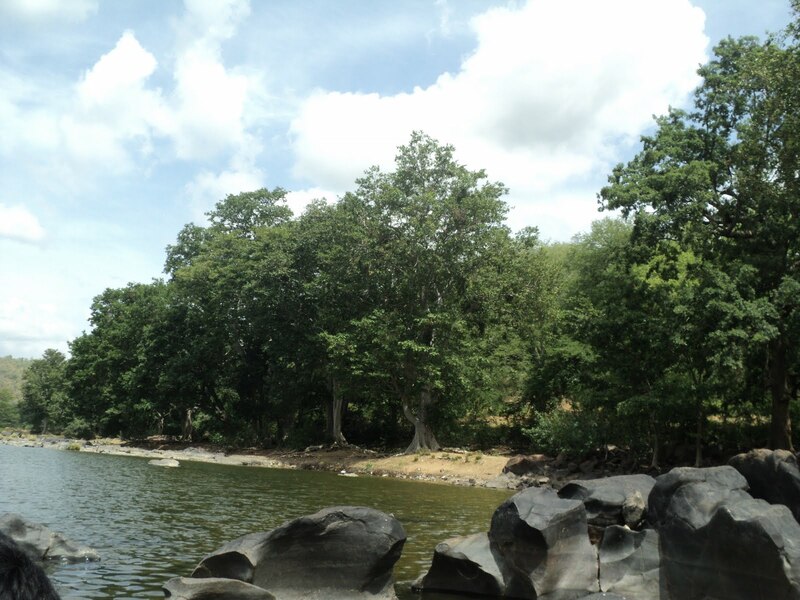 We rode to the other side of the reservoir & sat down peacefully chilling on the shore. 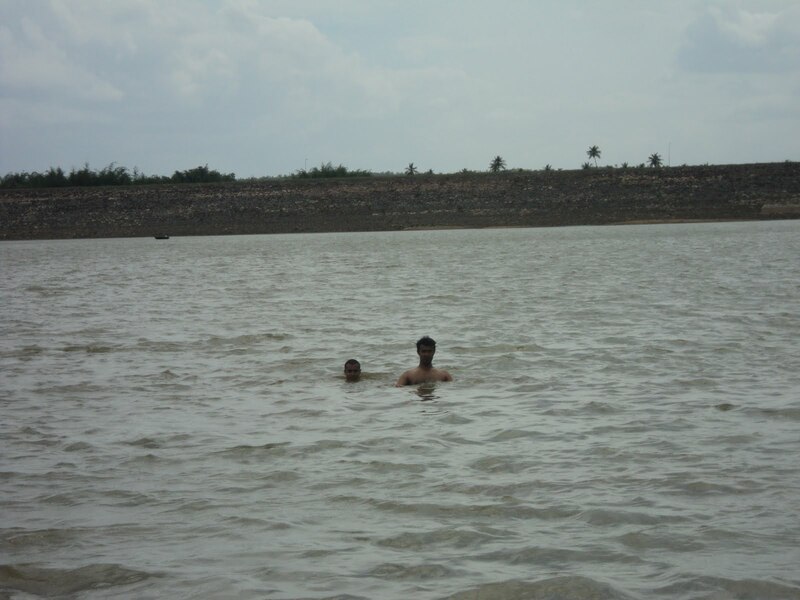 Latter we jumped into to the water and started cooling down under the hot sun. After spending an hour in the water chatting about our high-school days etc., we got out and dried up. 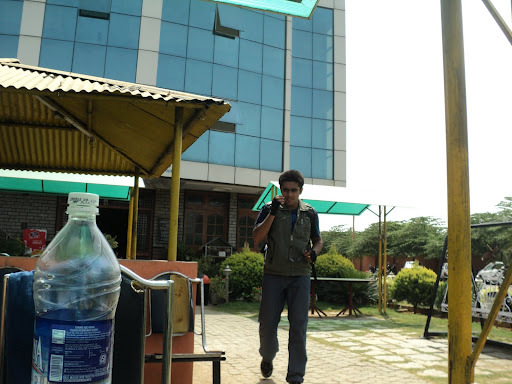 We decided to head to our dhaba as we were damn hungry. Distance: 200 x 2 = 400kms. 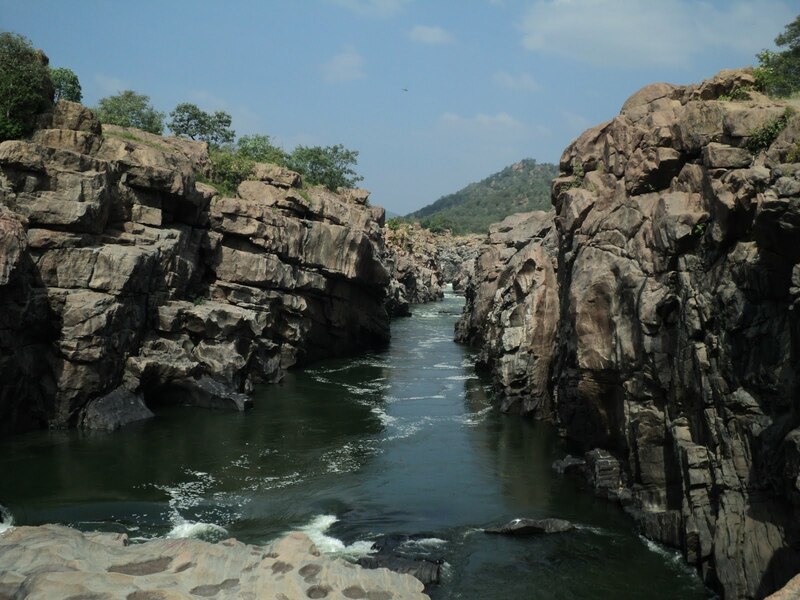 Directions: Bengaluru – Chenpatna – Sathnur – Kollegala – BR hills – Maddur – Bengaluru. 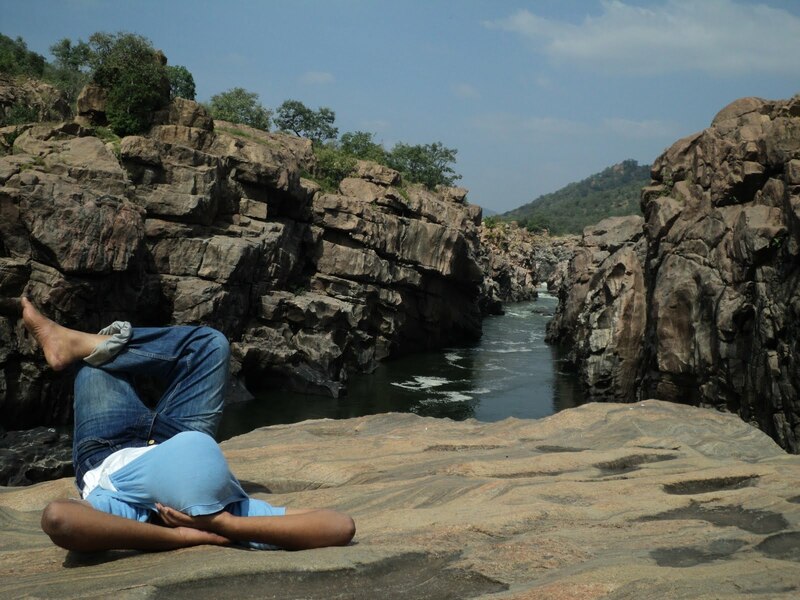 Particiapants: Viswanath(Vishu) > Dhanush(Dany) > Karthik (Sp). 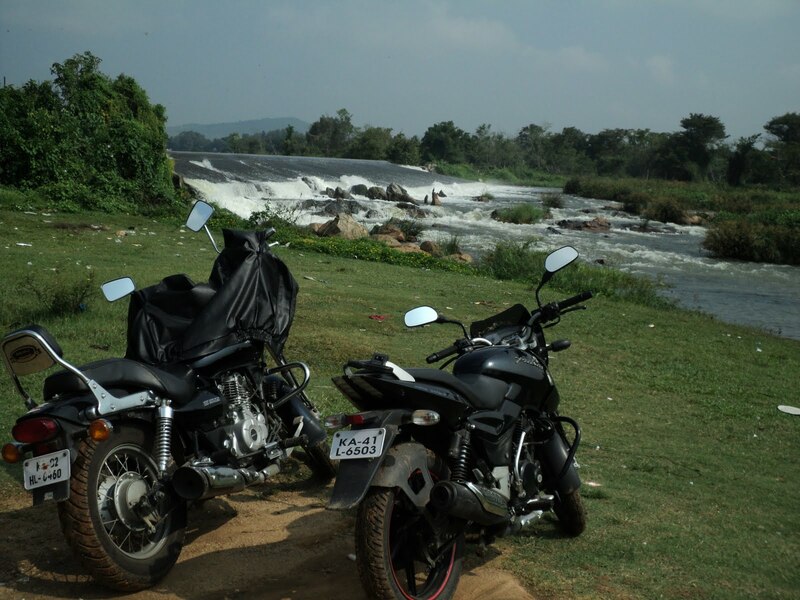 Bikes: RE Thunderbird(2) > Pulsar 150. 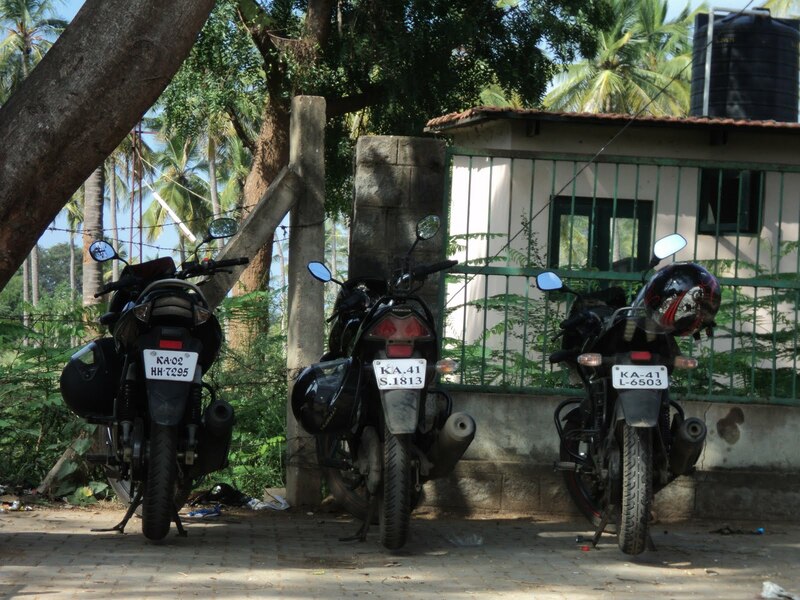 Previous visit: Maddur& Kanva – Bakery Ride. 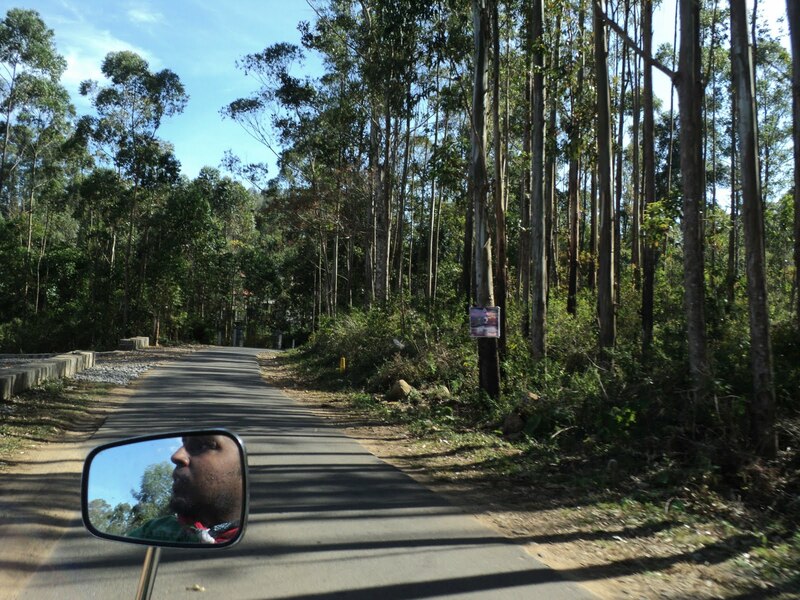 Yeah this was another formal run to the forest ranges of BR hills. 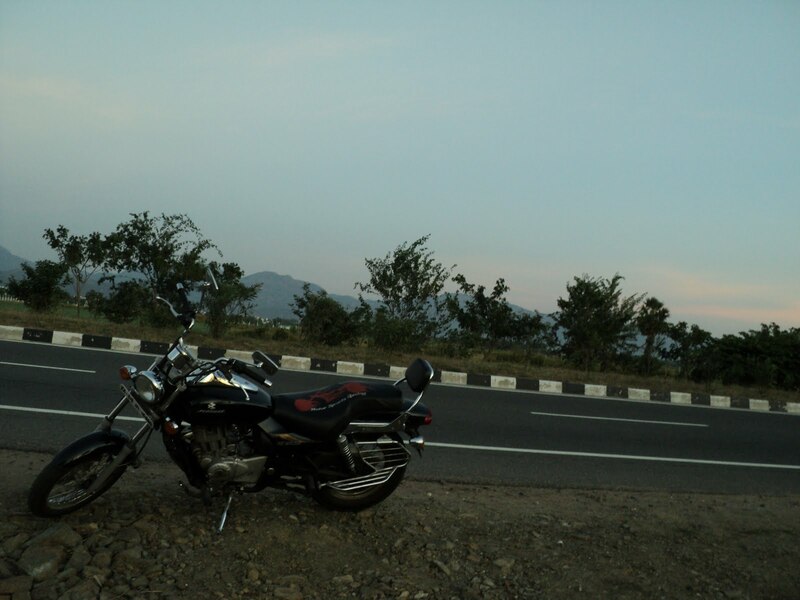 But this ride was one of the smoothest we’d done till date. Minimum stops & smooth sailing made this trip a memorable one. Talk about late night planning ha-ha! This trip was a result of the same. 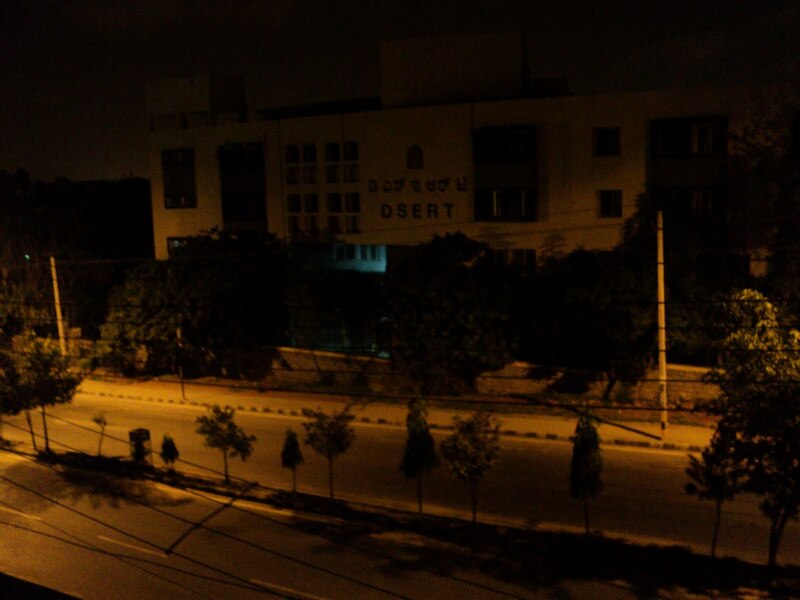 Late night about 23:00hrs (31/5/2012) the idea of visiting BR was conceived by 3 of us (Vishu, Dany & Sp). To hell with the boring city world we decided to pull this off even if it meant only 3 of us. Yeah I was at about 04:00, did a few push-ups, had a little coffee & headed out towards bakery where the meet up was scheduled. As I reached, I was quite surprised to find the other two already waiting for me (It doesn’t happen often you see :P). After a formal greeting, we decided to leave Bengaluru. 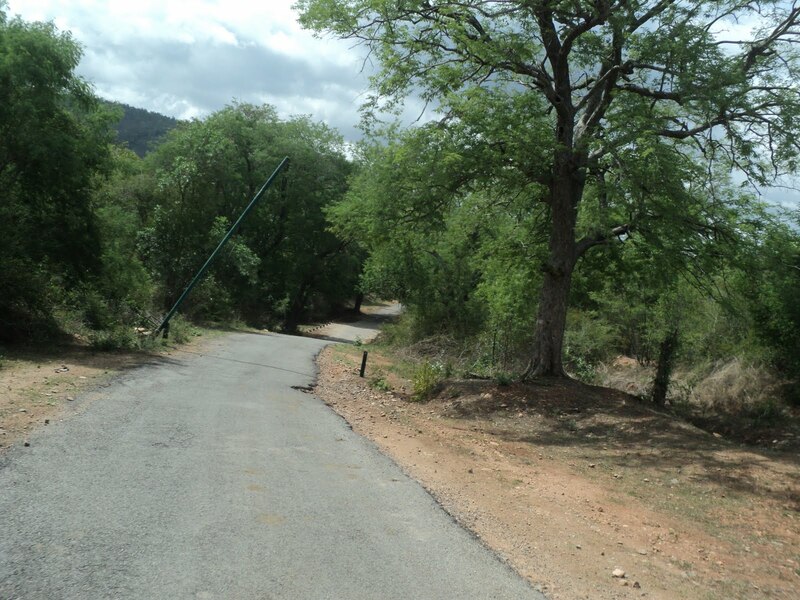 This was a 30kms stretch. 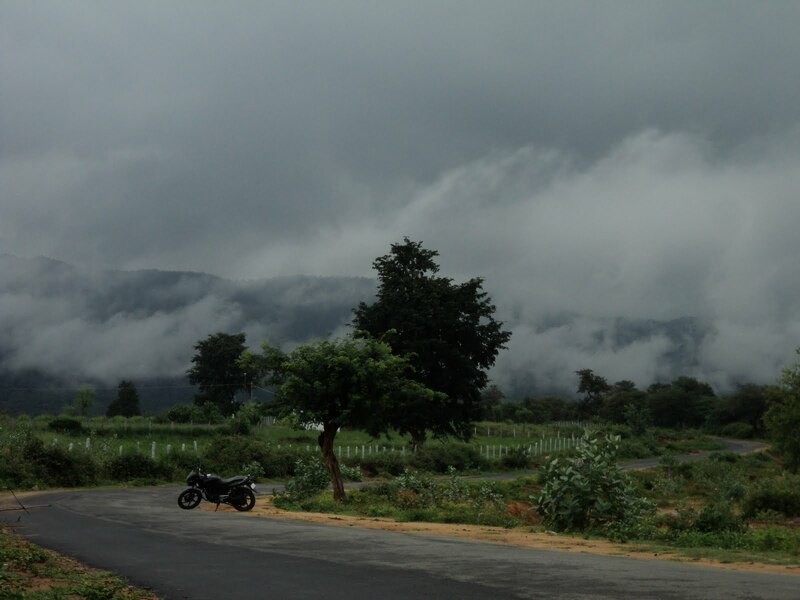 The weather was still icy cold as lots of clouds in the sky left SH-17(Mysore road) gloomy. We kept a decent pace to reach Bidadi for some breakfast. 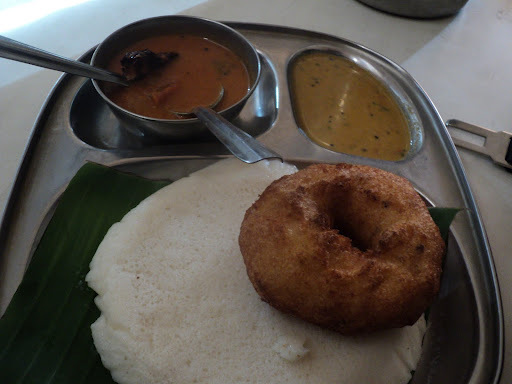 We had some smashing Tate Idly’s, which tasted simply superb. A highly recommended stop on SH-17 I must say. With some food in our stomach we decided to continue further. This was non-stop 150-160kms stretch of some brilliant sailing. 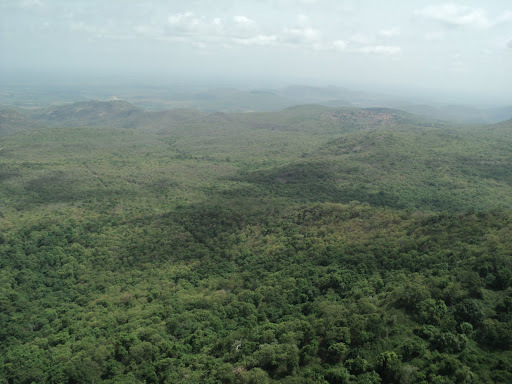 As we left Bidadi, we continued till Chenpatna, & took a left deviation. 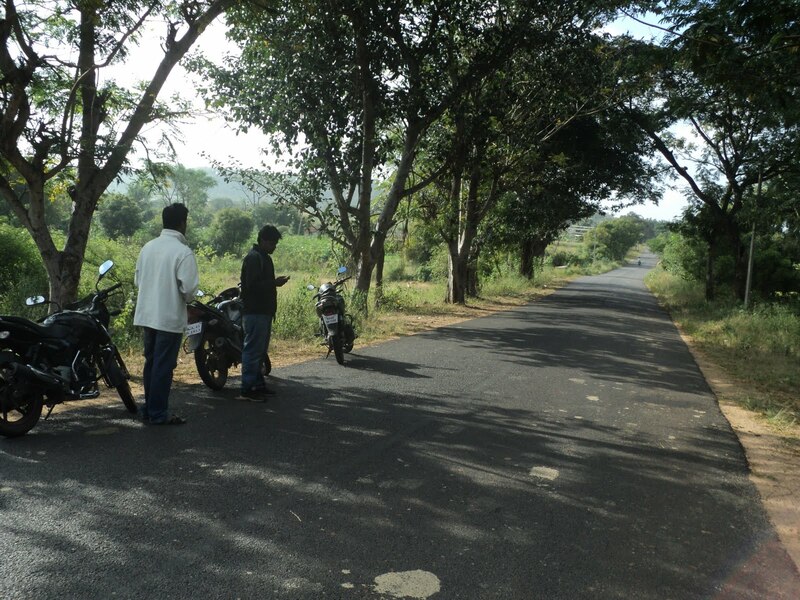 Excellent roads from then on made riding easy & we reached Sathnur in no time to re-join Kanakpura road. 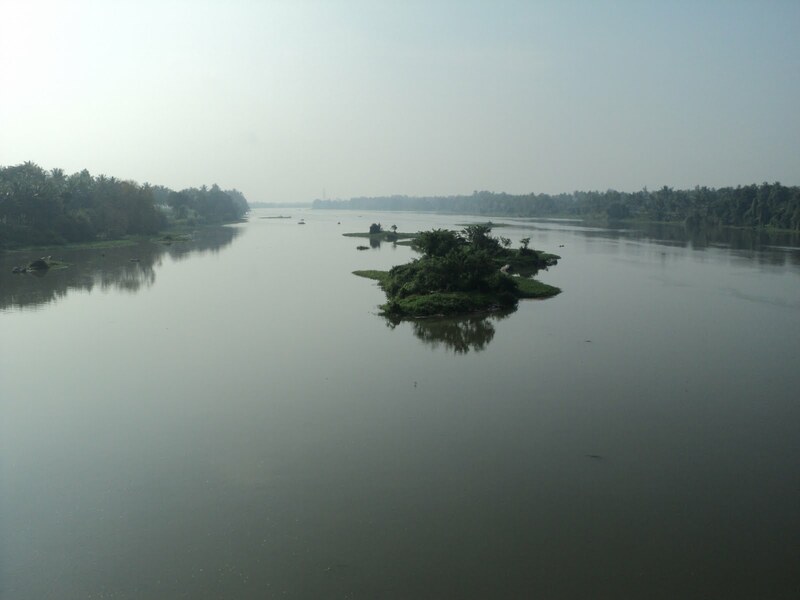 Once we reached Kanakpura Road(NH-209), it was pure cruising past Shivanasamudra to reach the town of Kollegala.Riding cautiously through the shortest route known to us through our previous visits, we were out of the town and at the foot of the mighty BR. Alright this is one stretch we’d never get tired of riding. 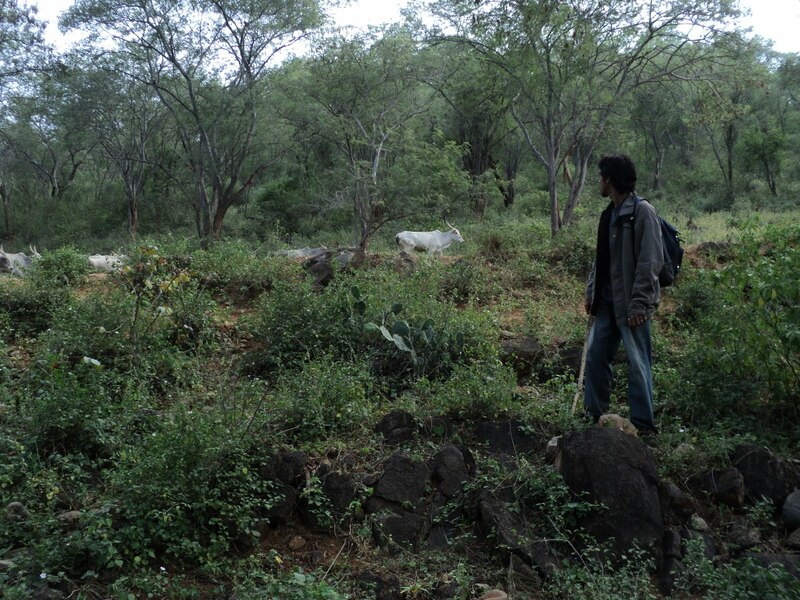 I had told the others about our last visit to this place, where we had encountered about 10-12 wild elephants and about 5 bison. 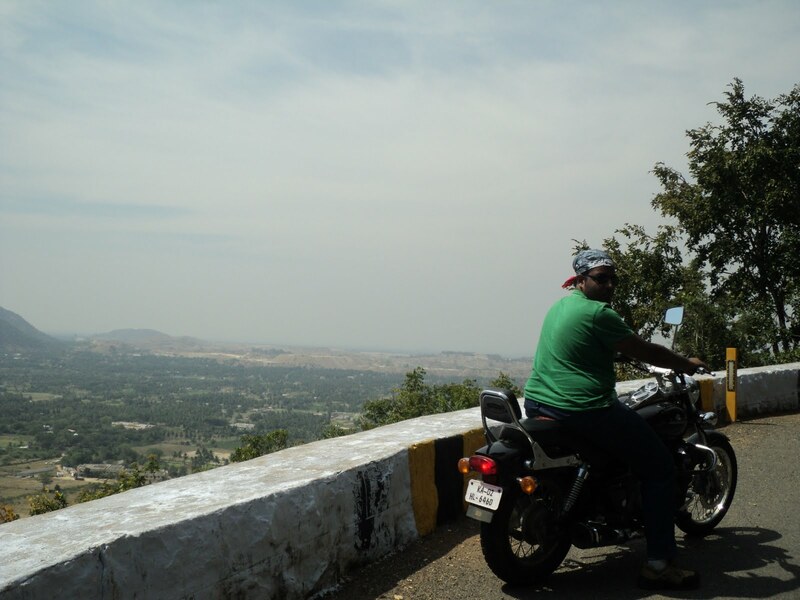 As we began the ride into the ranges, we rode at a slow pace making sure we do not disturb the wildlife and yeah looking out for the same as well. 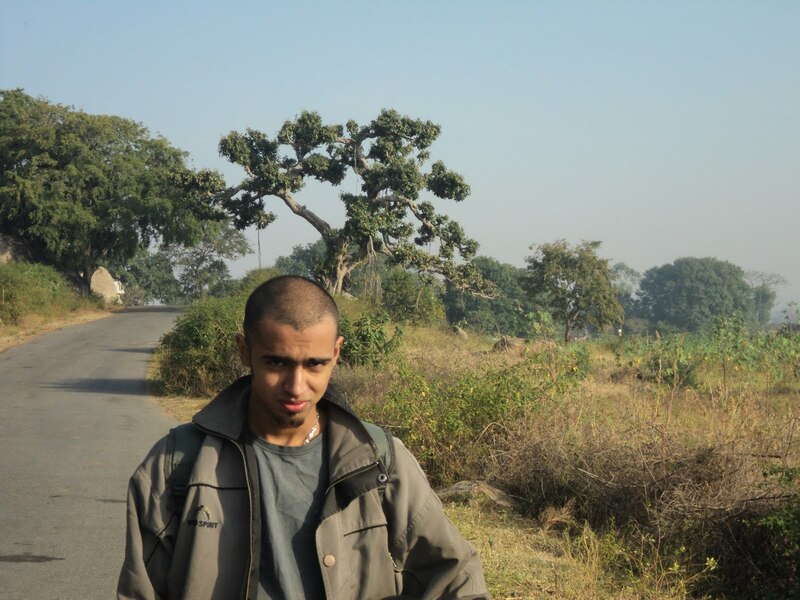 The lush green surroundings kept us satisfied. After about 15mins we stopped at the standard BR lake stop only to find the water fading off. 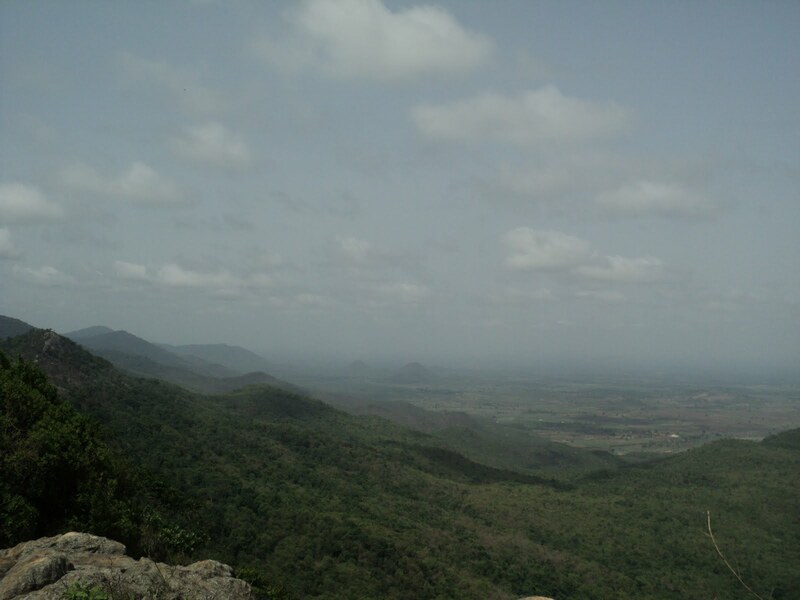 We continued further the temperature took a steep dip & it became cool as we reached the top. We were greeted at the top by the cool breeze gushing at the top. We roamed around the temple visiting the various view points. 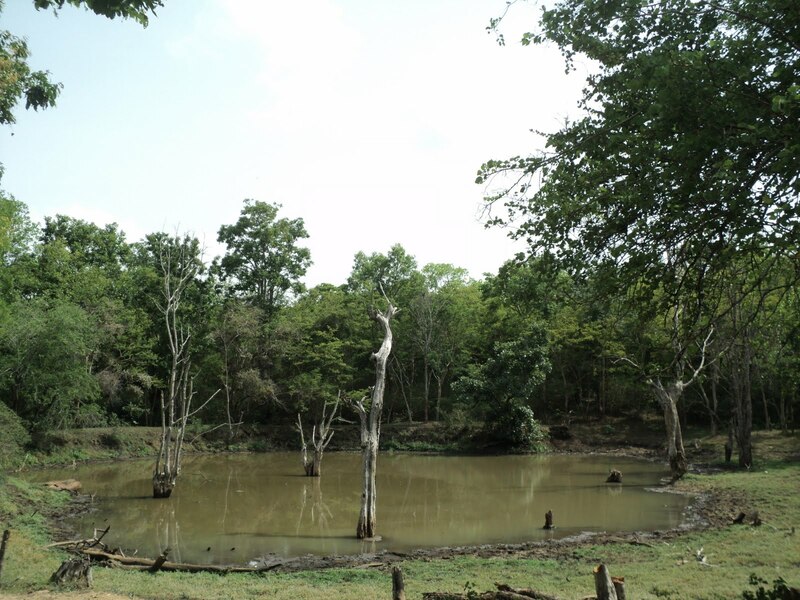 From some the view points, elephants can be seen as ants moving amidst the thick forests. 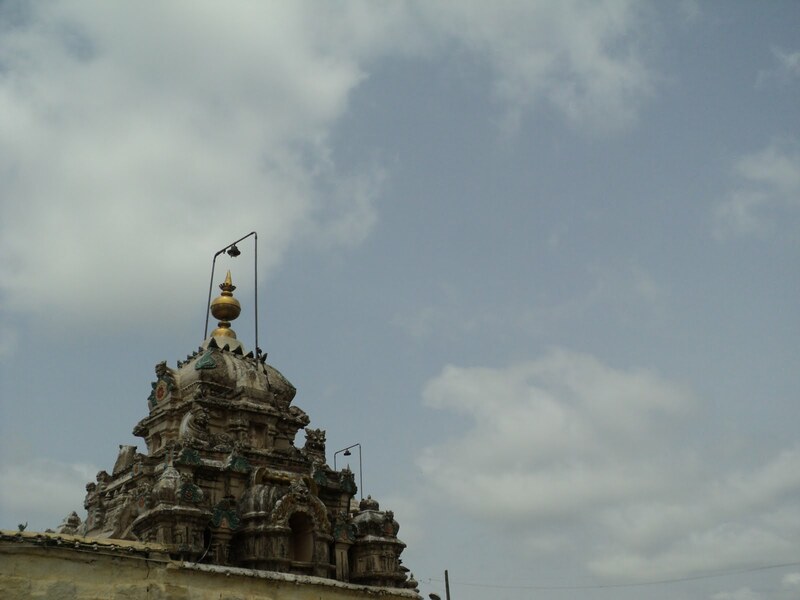 After spending about an hour or so we visited the temple, prayed for everybody we knew and left the temple premises. 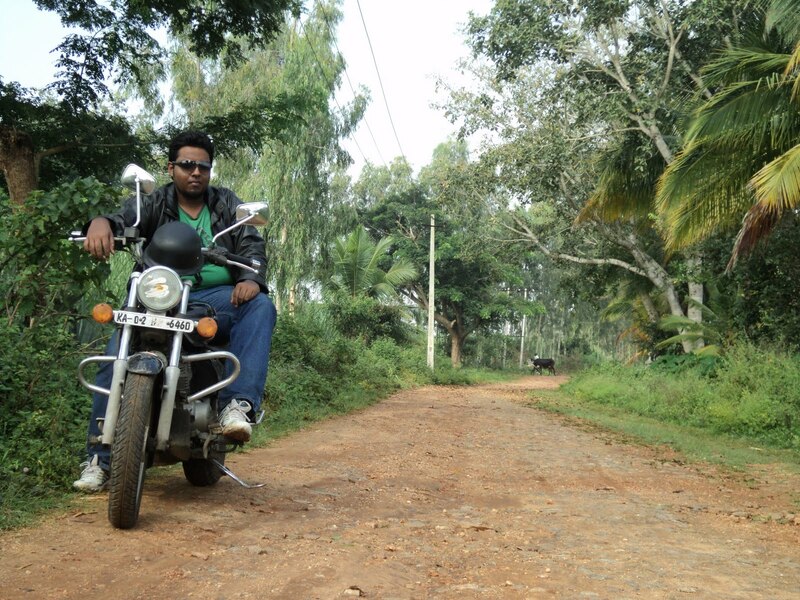 This was a non-stop 120kms continuous riding. 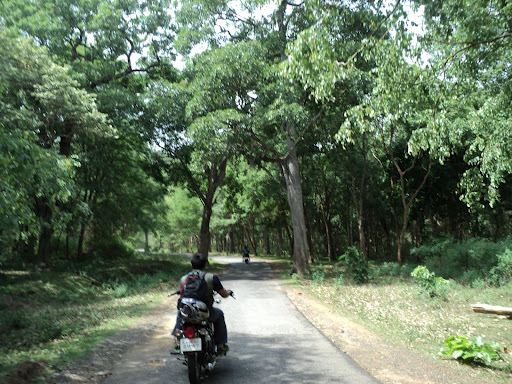 As we left BR, we cruised at a slow pace within the forest area. 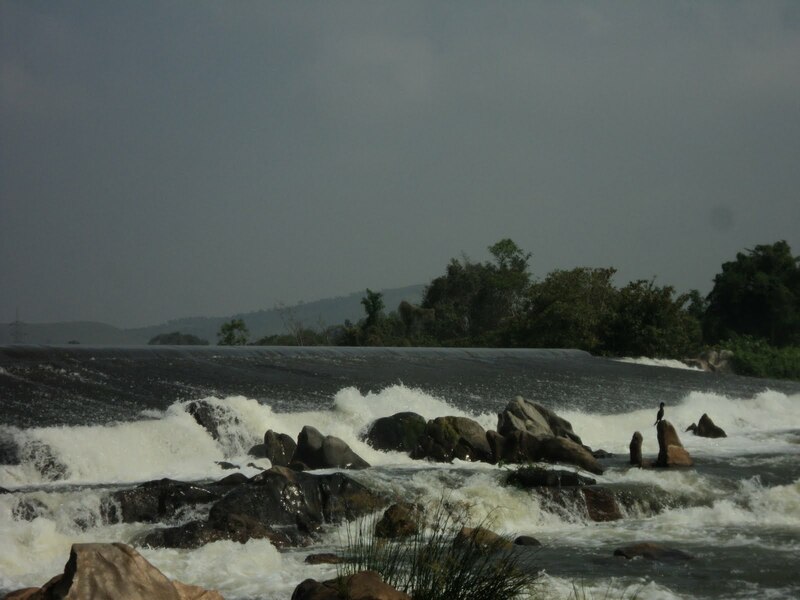 After which we resumed our cruising mode to reach Kollegala. Once we were out of Kollegala, the temperatures shot back again. Dany raced away forwards as Vishu & myself stuck together cruising at a decent pace. 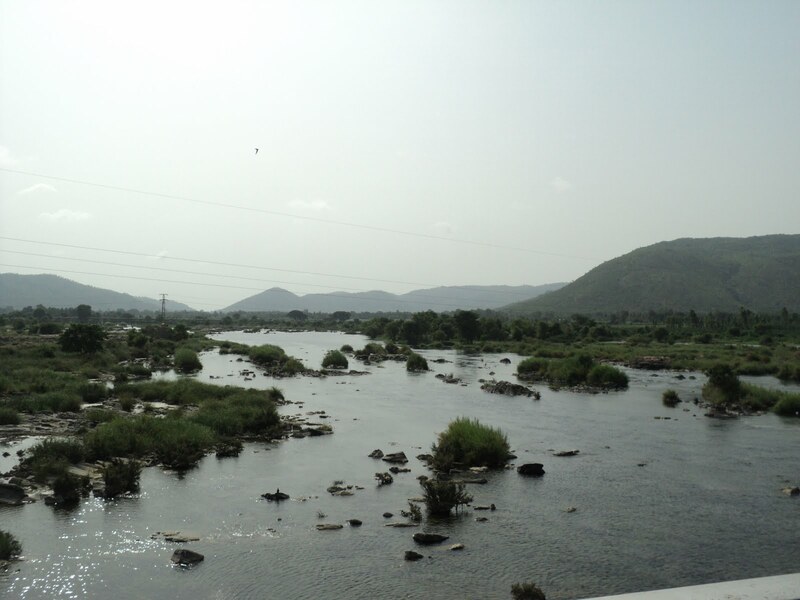 As we both reached the T-junction near Mallavali we couldn’t find Dany, but as we had decided earlier that Maddur was the next stop we continued further. 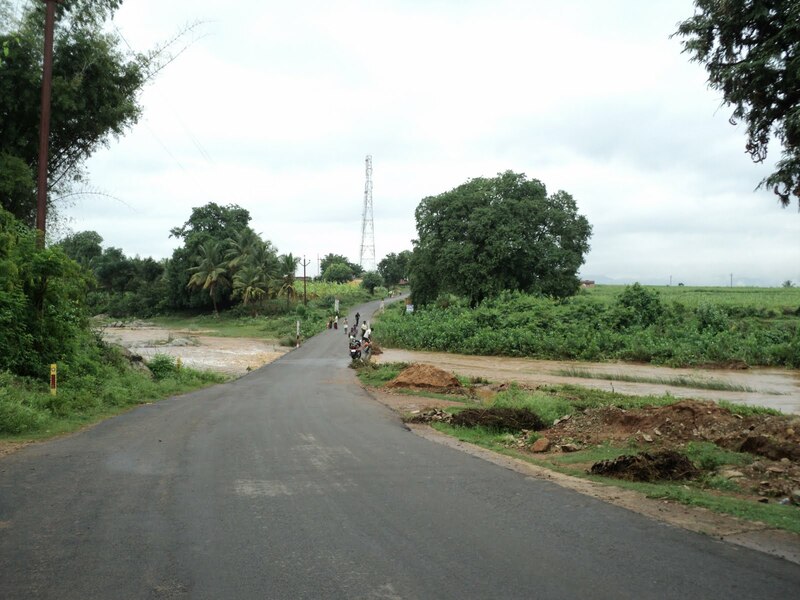 The road which connects Mallavalli to Maddur is one stretch which gives me creeps. It had been patched up to some extend but still lots of pot holes present. 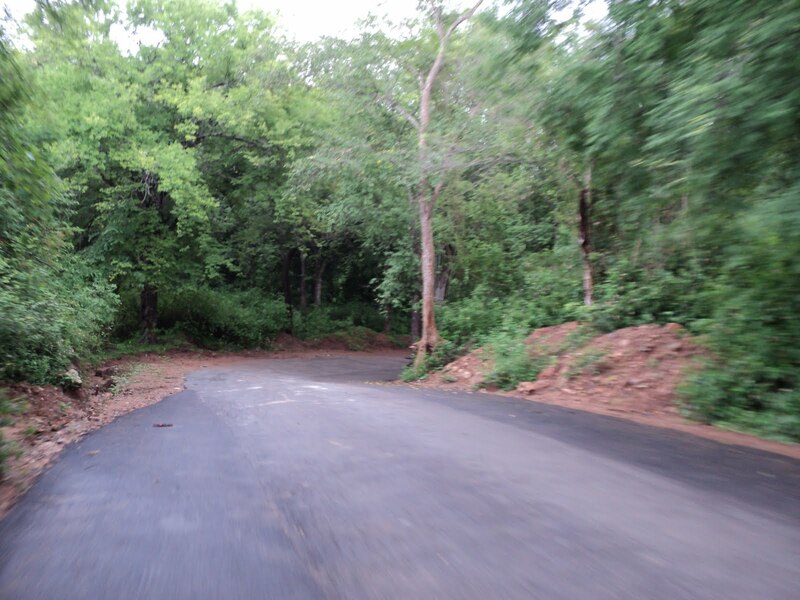 But Vishu & me kept a decent pace even on this road and his loud horn gave us all the road clearance we needed :P. Dodging the pot-holes & patches we reached Mysore road (SH-17). 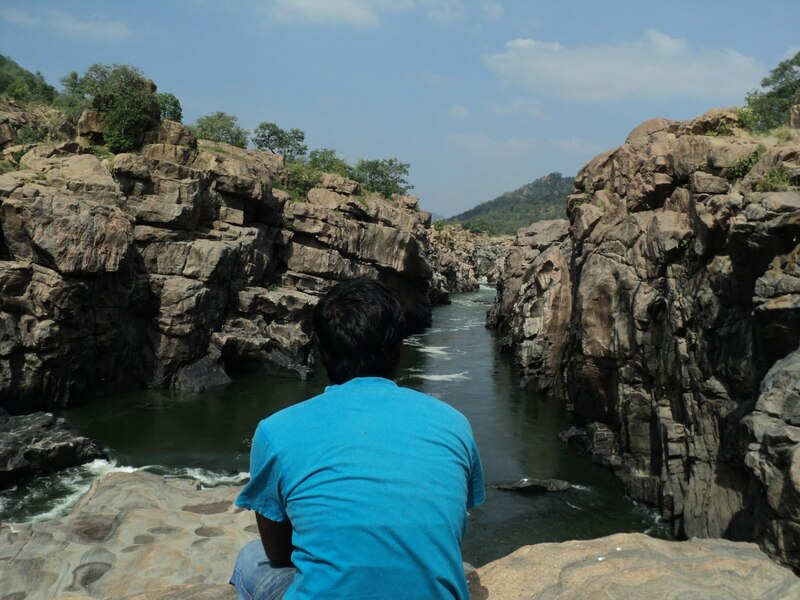 It was a huge relief reaching back the highway, we continued further to reach Maddur Tiffany’s and were quite surprised not find Dany. 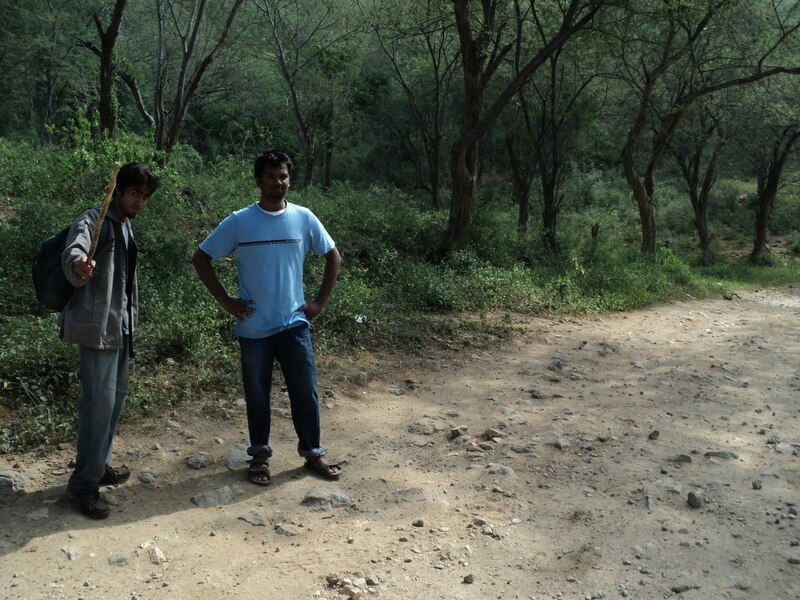 We called him up; we came to know that he was still waiting for us at the T-junction about 25-30kms back. So we both grabbed a bottle of cold water and decided to wait for Dany to join us. Nearly 20mins into the wait, when we had just begun to relax, in came like the Dany like a bullet on a bullet :P. he had taken less then half the time taken by us ha-ha!! Ah lunch/breakfast at this place is something we don’t miss when we hit SH-17. We had great food and little coffee. 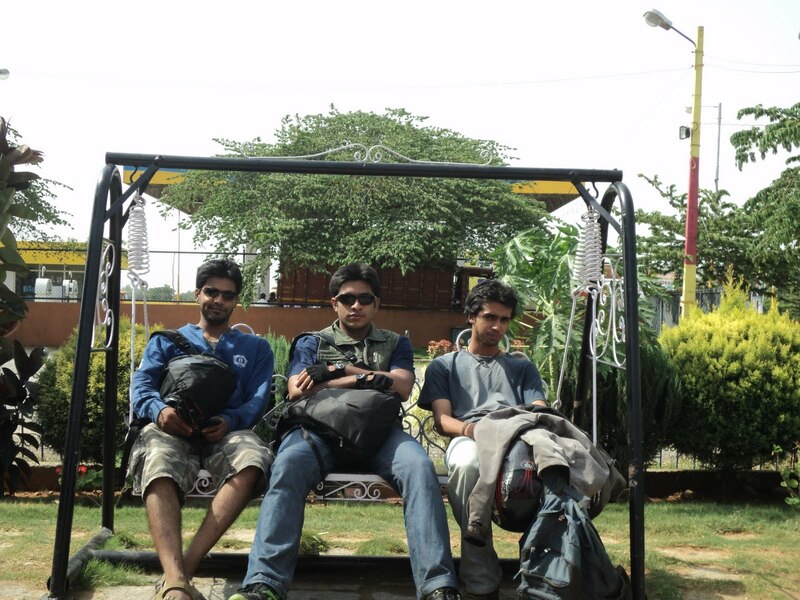 Once our tummies were satisfied we fooled around the swing for some more time and left towards Bengaluru. 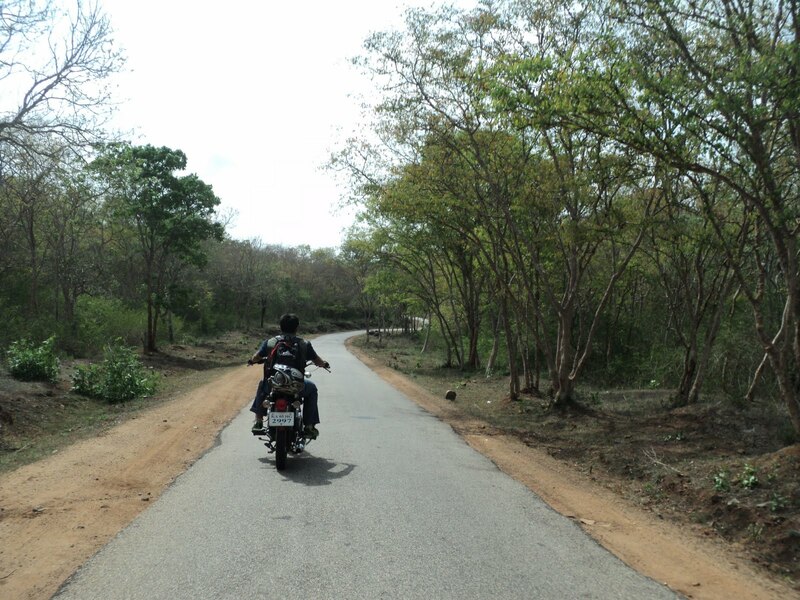 This was 80kms stretch of formal riding. We did stretch without a break. With our tummies full all we had to do was stay awake ha-ha. SH-17 being a smooth 4-lane offered very less resistance. We rode at a decent pace throughout to reach bakery. 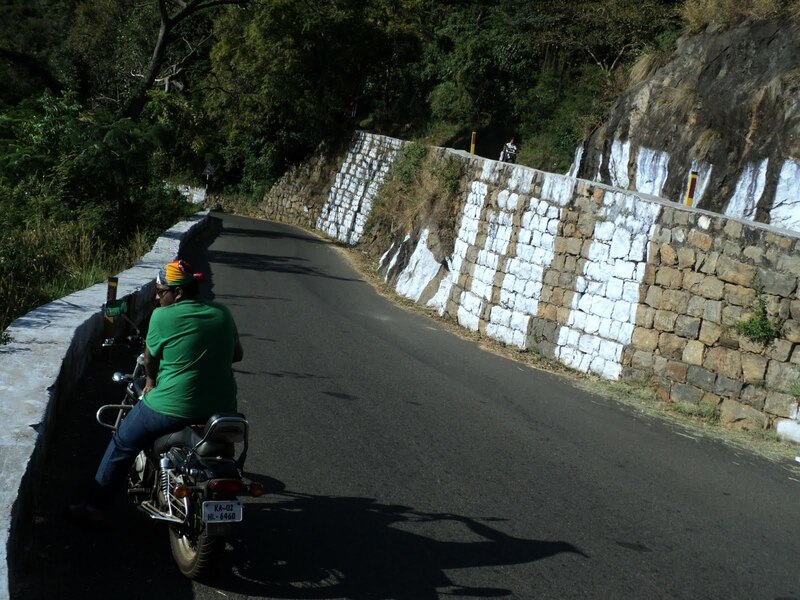 This was another classic old-school run to the wonderful hill station of Tamil Nadu – Yercaud. 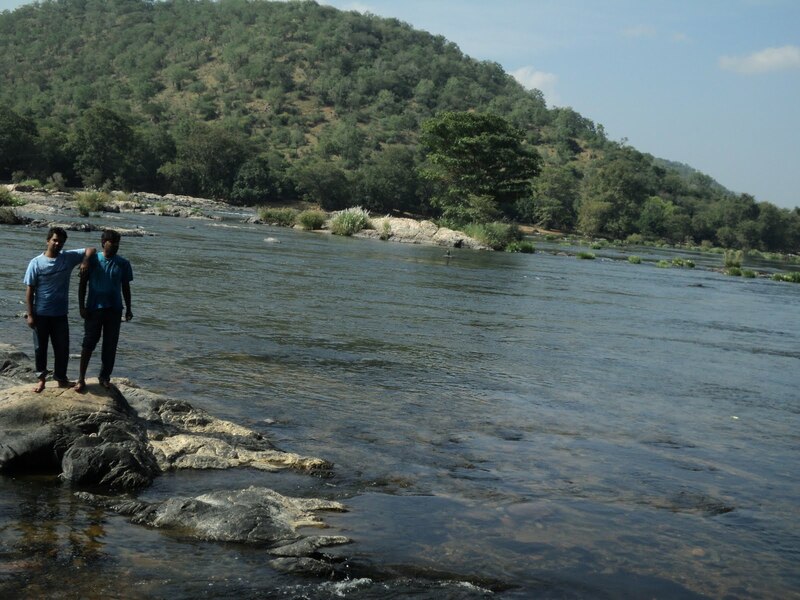 Known as the “poor man’s Ooty” this place is more of a picnic spot for family visits. 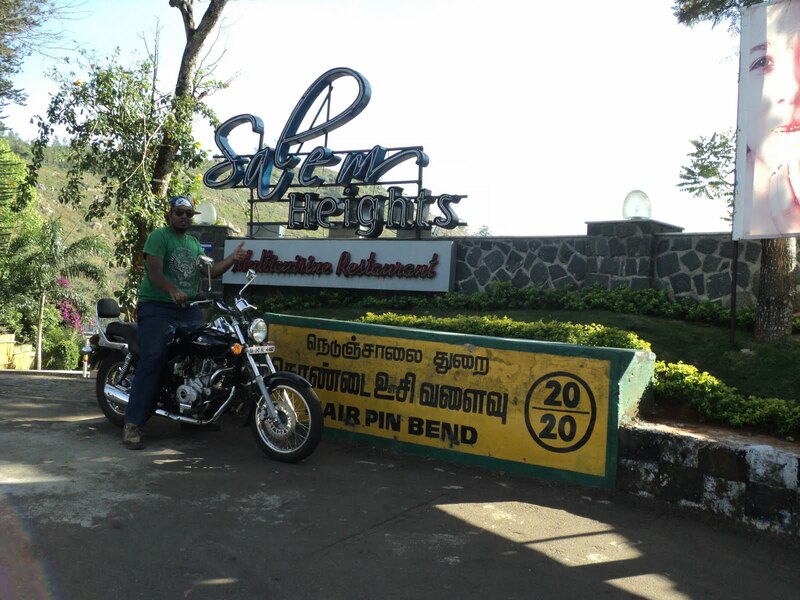 But yeah one thing about Yercaud all motorcycle clubs love is the ride to the place. 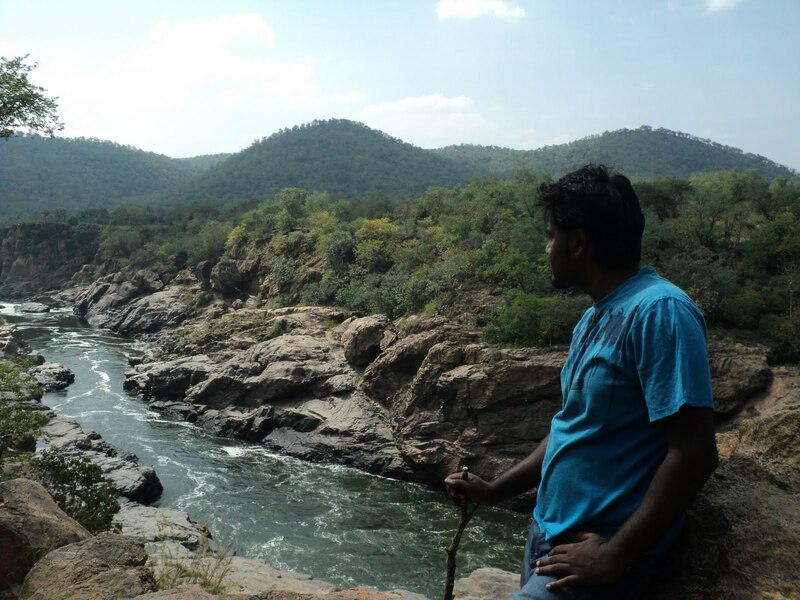 Well Zethu was the only one on the confirmed list, and both of us had to get back on SH-17a (the interior forest route after Hosur) as it would refreshen the blood filled memories of our Hogenekkal Trip. So… after having decided to meet at my place at 06:00 hrs, we crashed. Yeah I was up at 04:00 hrs, had a cup of coffee, did a few push-ups & was all set for a long day on the road. Zethu arrived at my place at around 05:45, it was more than 2 months since we both had pulled of a chapter, so both of us were pumped up and ready to hit the road. We decided to head out on Zethu’s Avy!! Alright this was a 50-60kmsstretch, we got out of the city early as the traffic was lean. 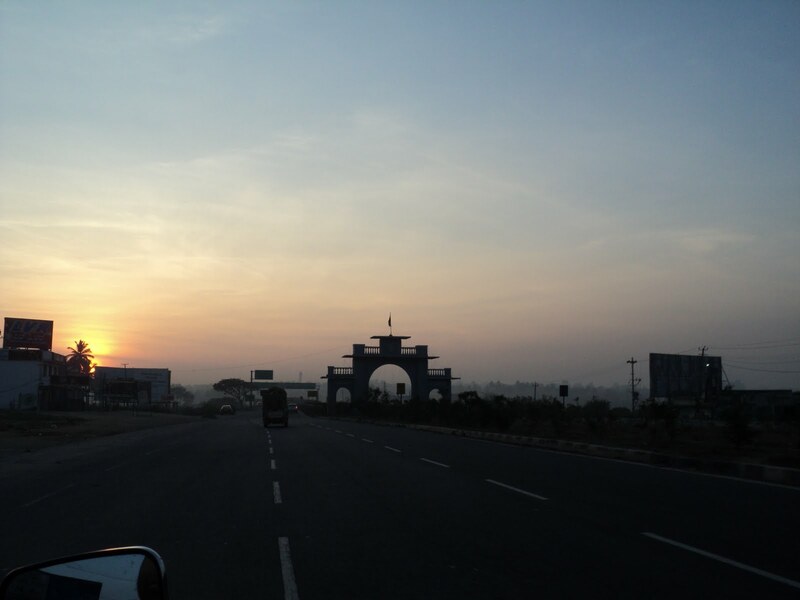 After reaching Hosur road (NH-7), we cruised at a decent pace to reach the Karnataka-TN border. 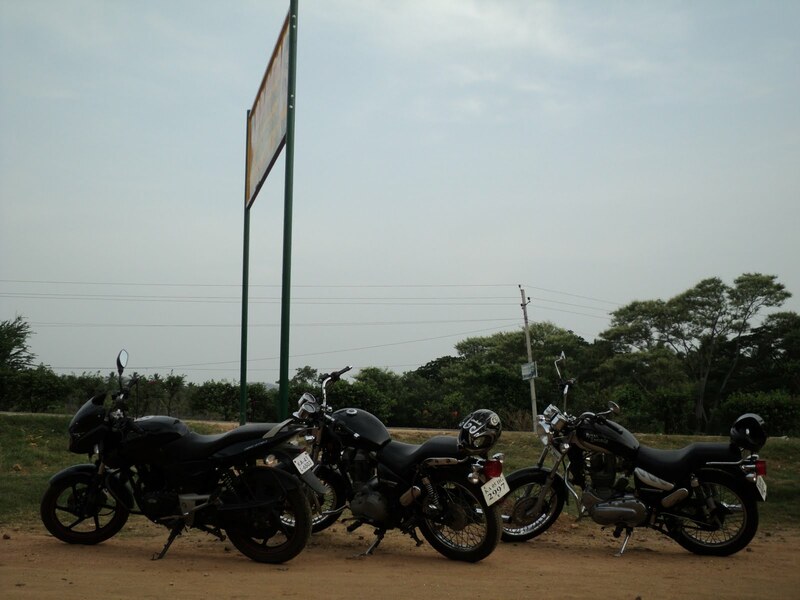 Once we crossed the border we entered the Hosur outskirts & took a deviation towards Dennaikotte and stopped at our signature petrol bunk. 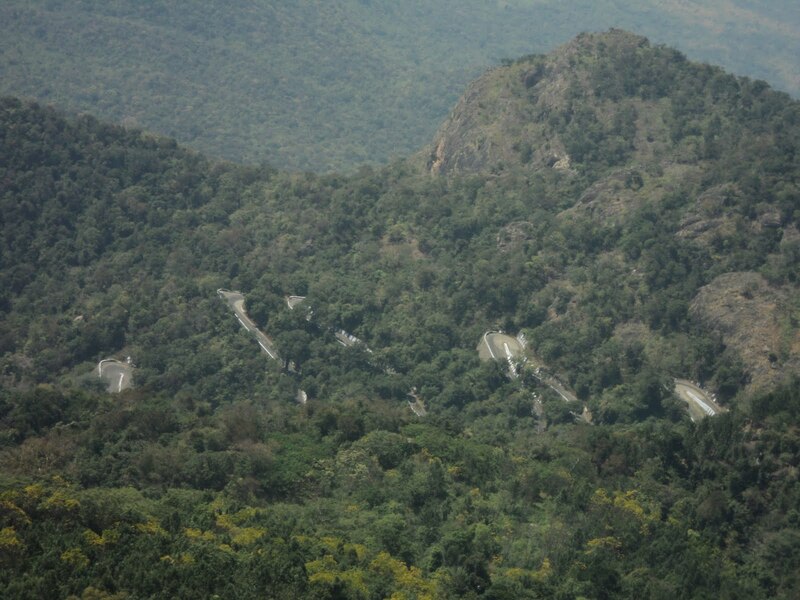 Ps: One can continue straight on NH-7 to Yercaud, the distance comes upto 250kms. 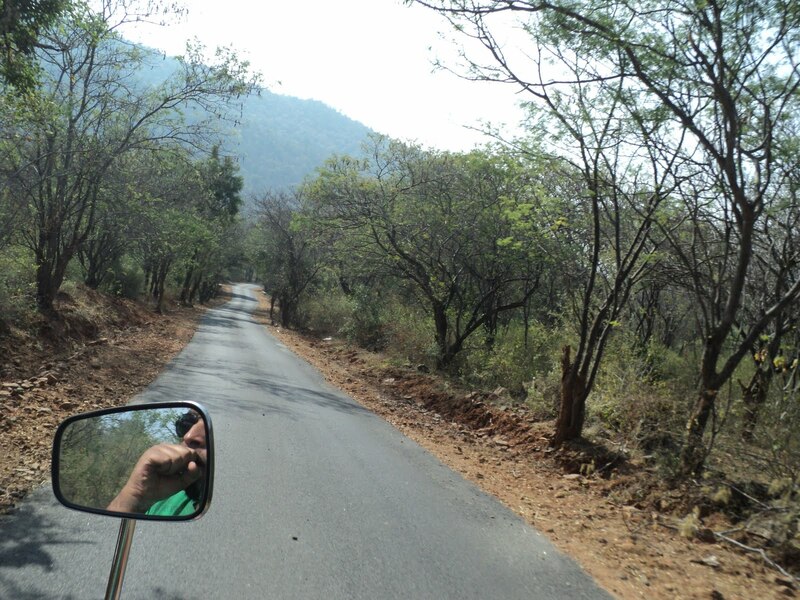 But for us, this interior route is something special, a remembrance of our Hogenekkal Trip. 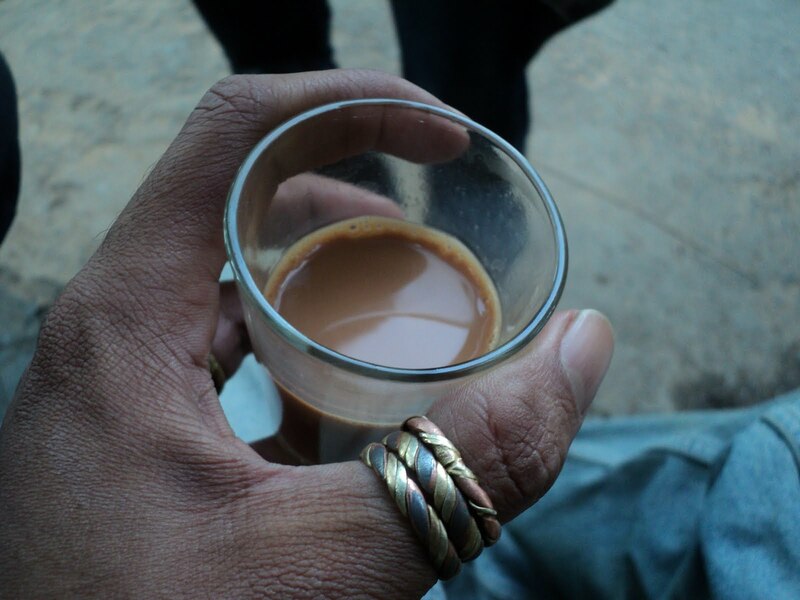 We had some tea at the petrol bunk, we cruised along the excellent roads of SH-17a. It was not long before we spotted the small stone bench on which we had rested on our way back from Hogenekkalwith blood dripping from our heads, knees and hands. 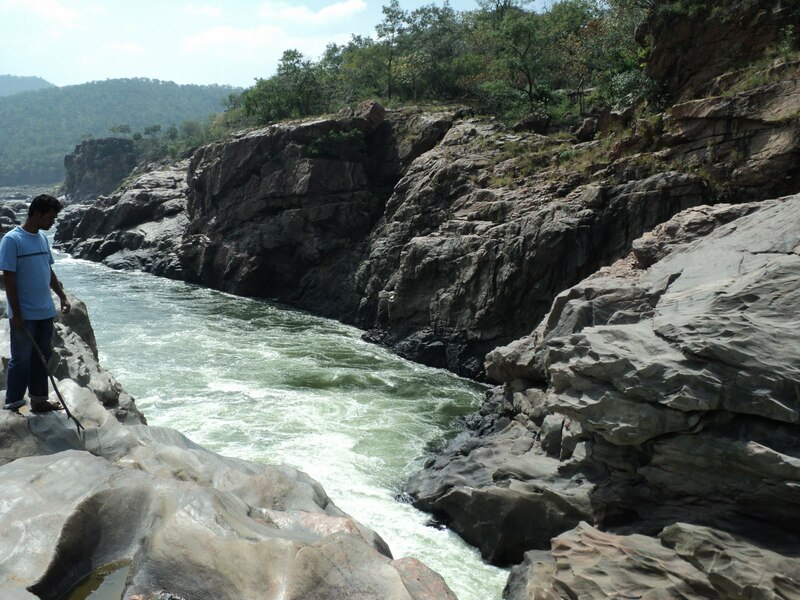 We crossed the two bridges of this route without any difficulty as it was completely dried out. 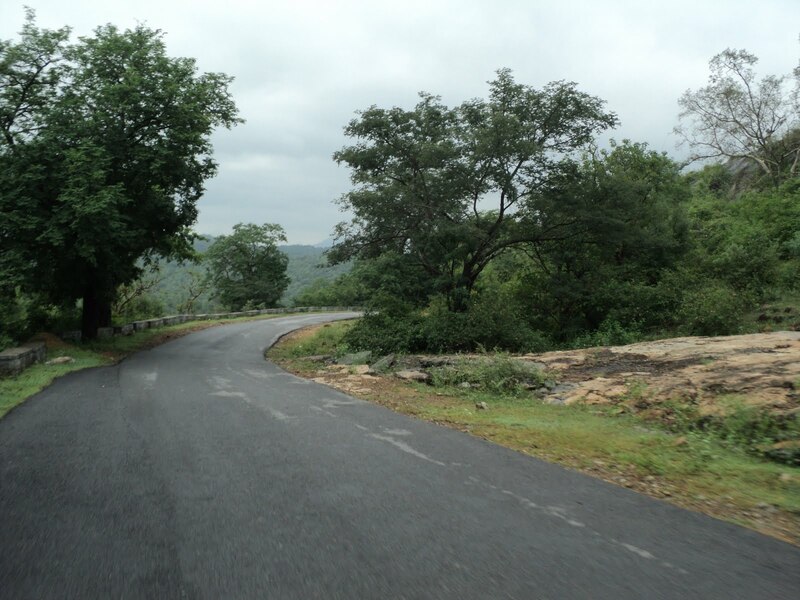 We reached Dennaikottai and as we continued further towards Anchetty the roads became excellent with superb curves. The weather was cool even though the sun was up, this made riding conditions ideal. After some consistent riding we reached the perfect pit-stop. Well we were a little disappointed that there weren’t any clouds moving around mountain ranges like the last time, but we still sat here for a good amount of time speaking about our last trip & what we had been upto for the past 3 months. We left the place after 15-20mins and continued further to reach our second signature stop. We spent about 30mins here sitting and sharing some of our funny/epic moments. There was thick forest surrounding us in all directions, the idea of night camping did occur but we decided to stick to the original plan. So… as we left the Saints outpost, we cruised at a decent pace. 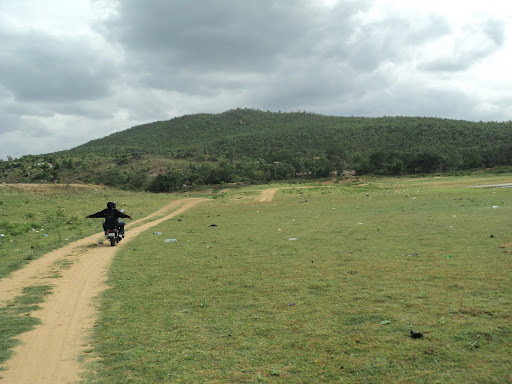 In a few minutes we spotted the mighty MM hills and we started recollecting the chapter where we we had spotted elephants. Soon the hair-pin curves started & Zethu enjoyed negotiating each one of them to perfection. 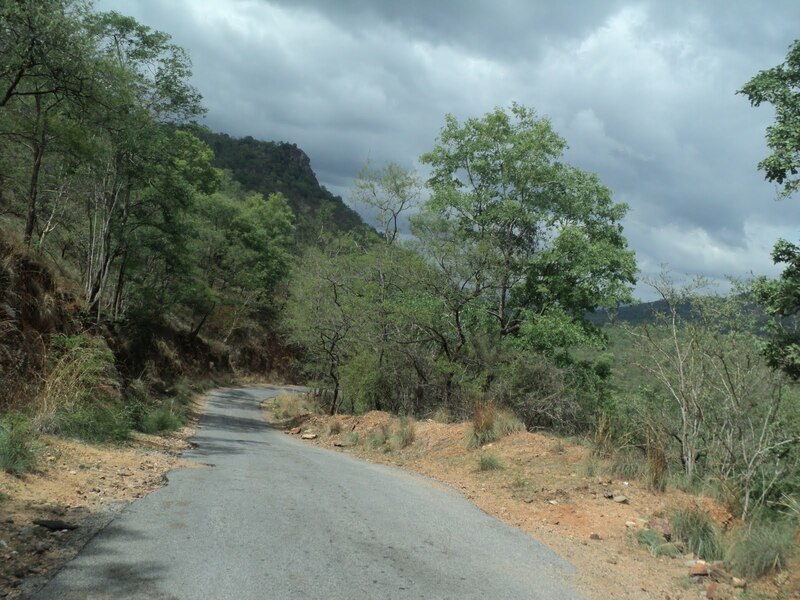 The last stretch to hogenekkal consisted of really good forest roads very similar to Mutathi & BR hills. And yeah everytime we spotted bulls grazing we would slow down & keep enough safe distance 😛 ha-ha!! Cruising along we reached Hogenekkal, as it was Sunday the place was jam-packed. 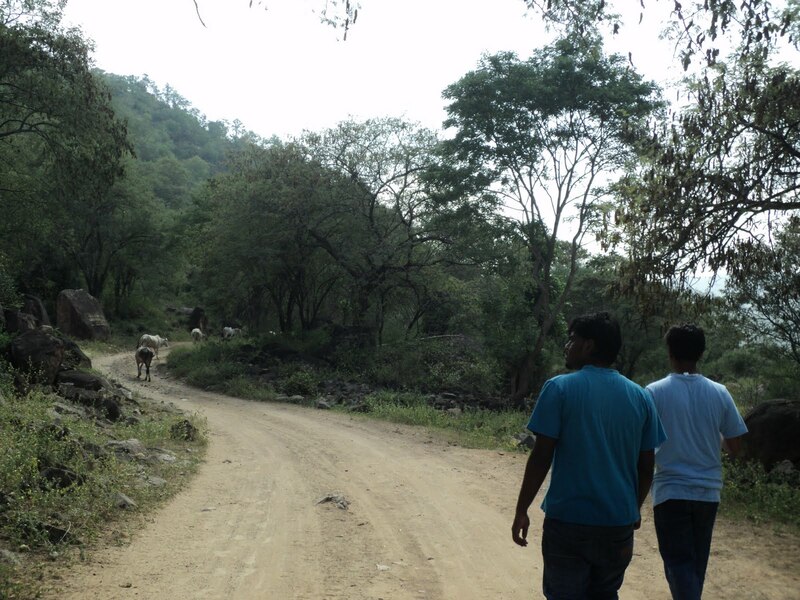 And it would also be time consuming, so we decided to skip and continued towards Yercuad. Well this stretch was for about 120kms and a good one too. 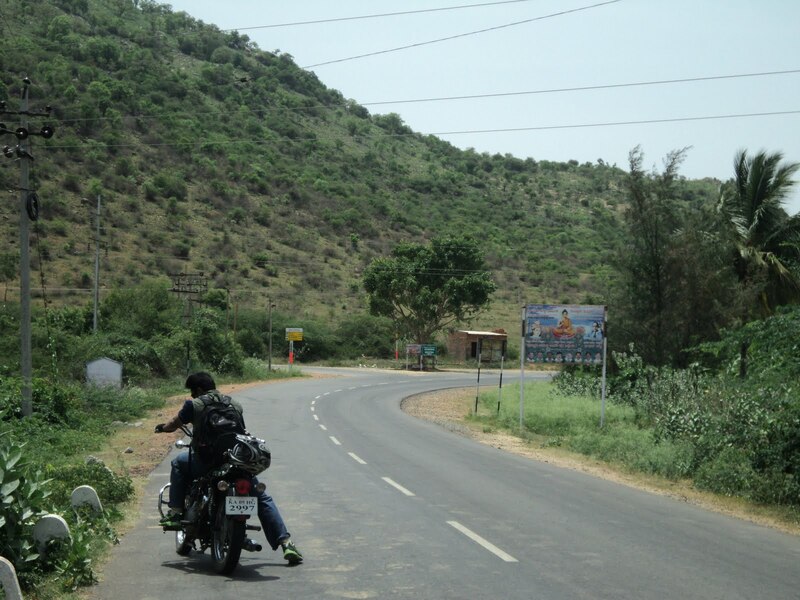 As we left Hogenekkal our first priority was to re-join NH-7. 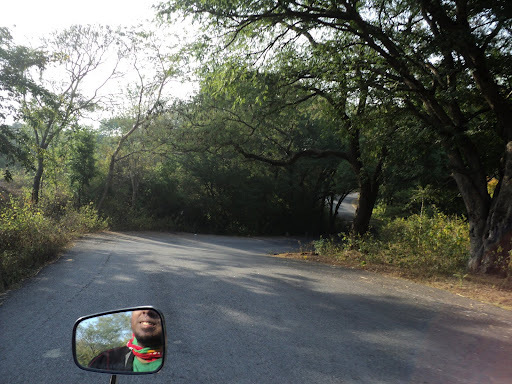 As continued further we spotted the place where we had met with an accident, had a hearty laugh and continued further to reach Dharampuri. 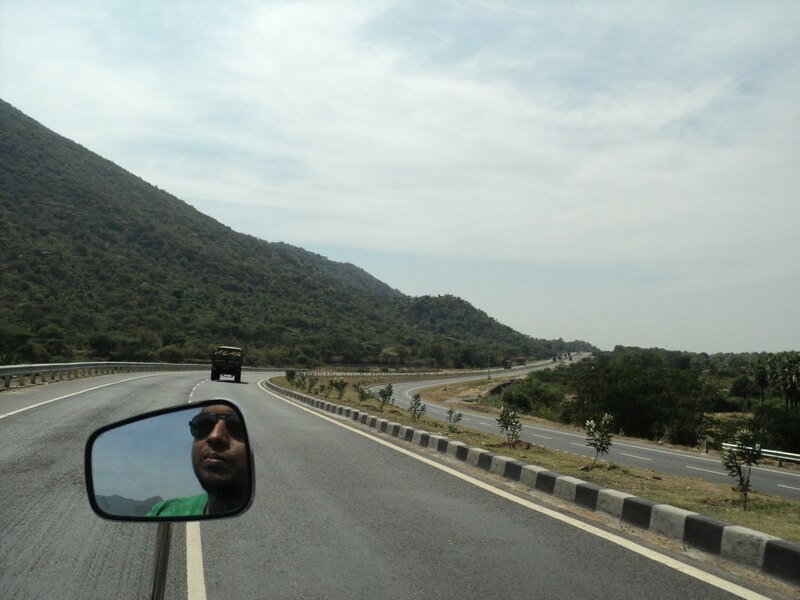 After reaching the NH-7 it was pure sailing on the butter smooth highway. We kept re-collecting our college clowns and it not long before we reached Salem. 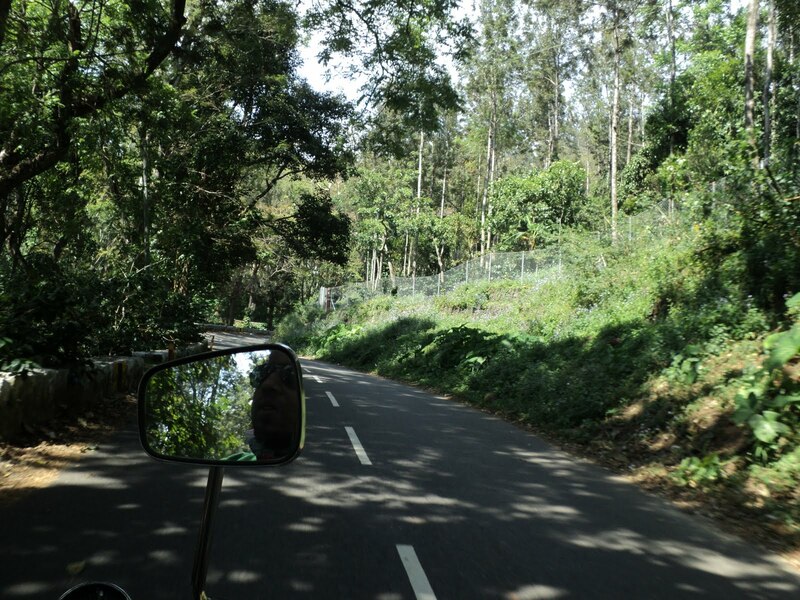 It was pretty easy to get out of the city, thanks to the well organised traffic and broad roads to reach the foot of the mighty Yercaud. 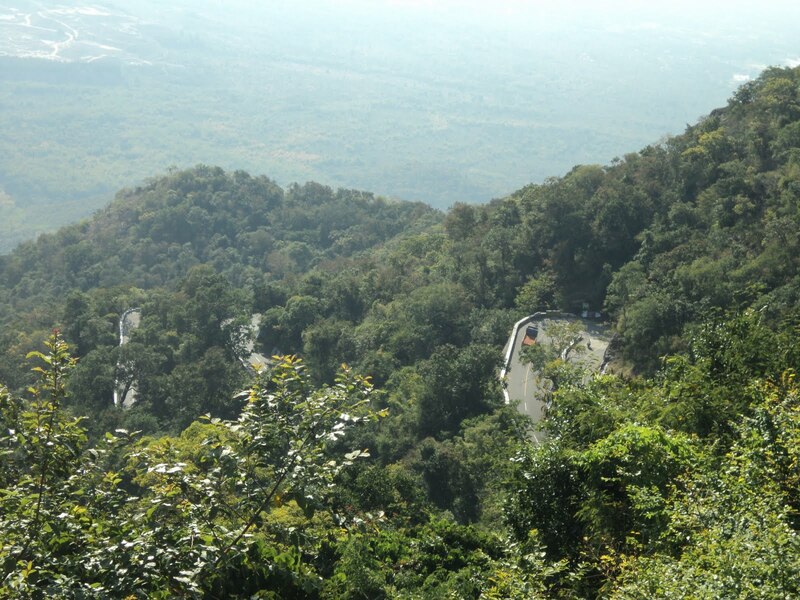 This stretch was for about 35kms which consisted of 20 hair-pin curves with beautiful views all along the way. As we started the ascension we found broad excellent roads. We negotiated the first 2 HP curves with joy and were ready to for more, But the next 25-30kms was just plain hill climbing with no HP curves, but yeah excellent scenery throughout. 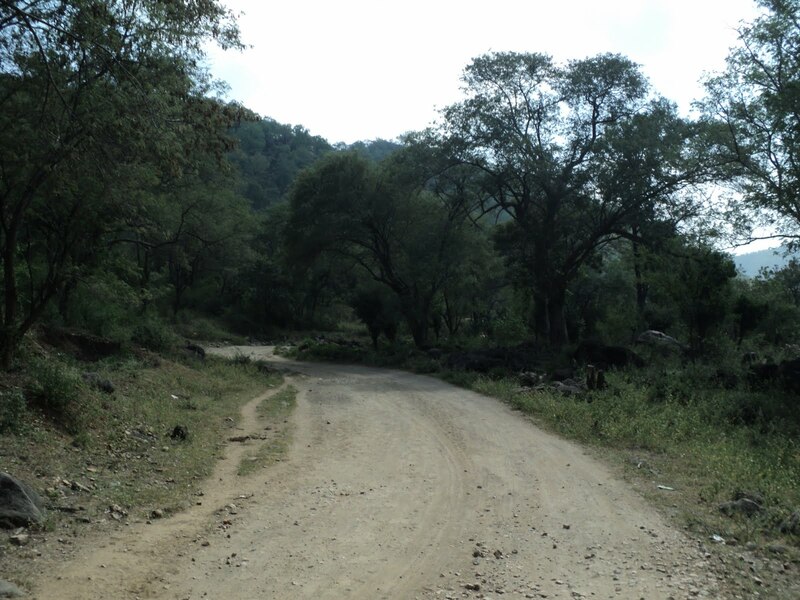 The last 5-7kms to Yercuad is the best, the remaining 18 HP curves are clustered in this stretch, this made the ascension very quick and the drop in temperature could be easily felt. 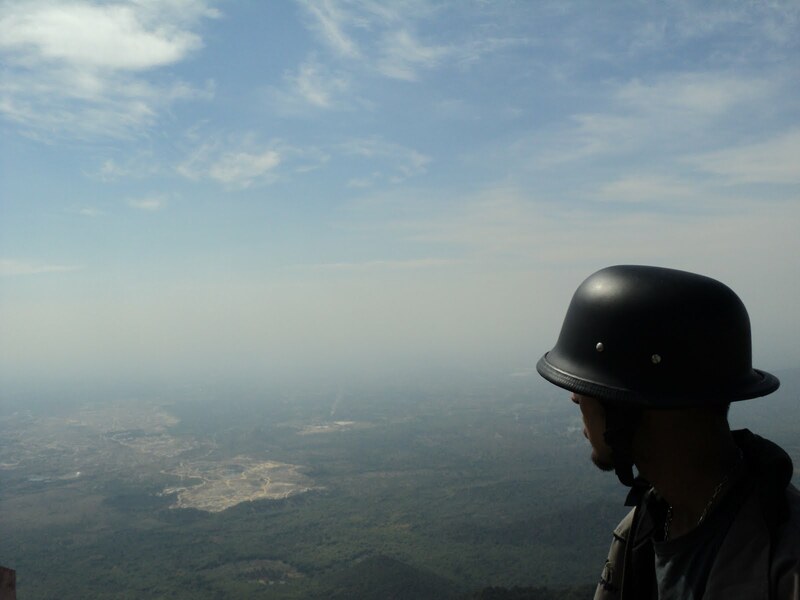 Once we reached the top, we were 1350 feet above sea level, and weather was cool even though the sun was up. 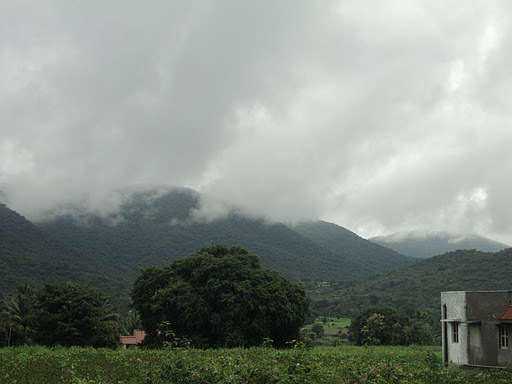 Alright there are about 10 places to cover at this hill station. Vehicles can be taken, but yeah we decided to walk. 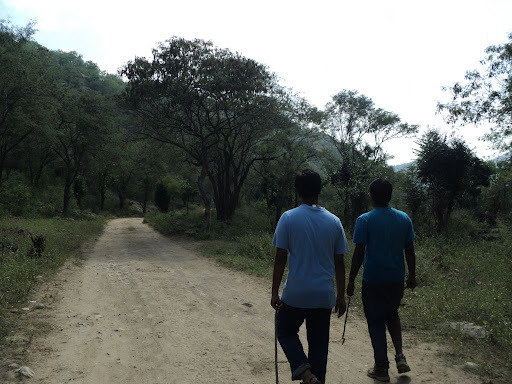 The walk was for about 10-13kms which drained away all our energies and my right knee which had problems before had taken a the worst turn. 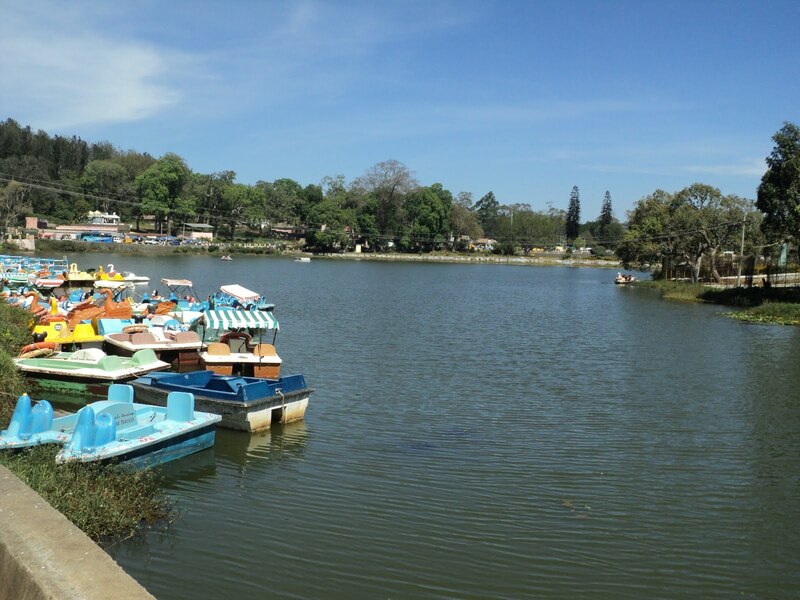 First we parked Avy at the Yercaud lake. Boating is a big attraction at this place. 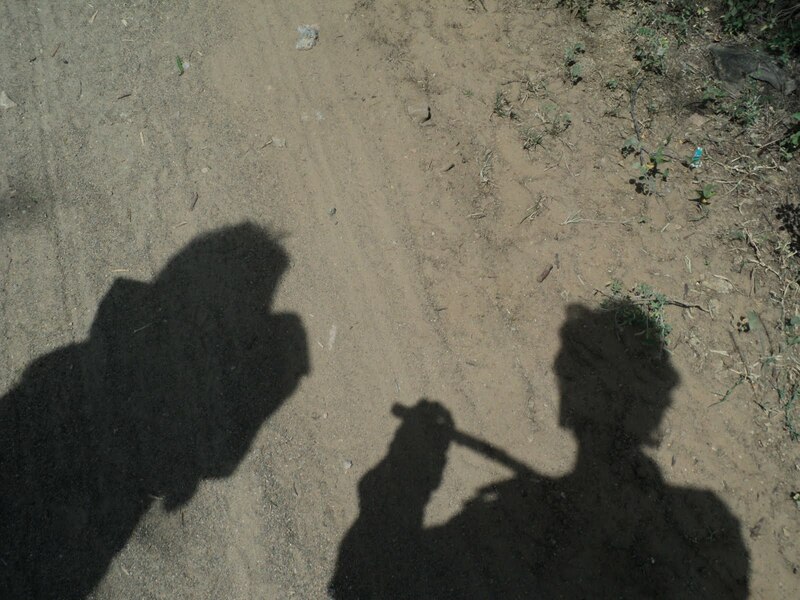 But definitely not the thing for us, so we took small stroll and decided to continue further. 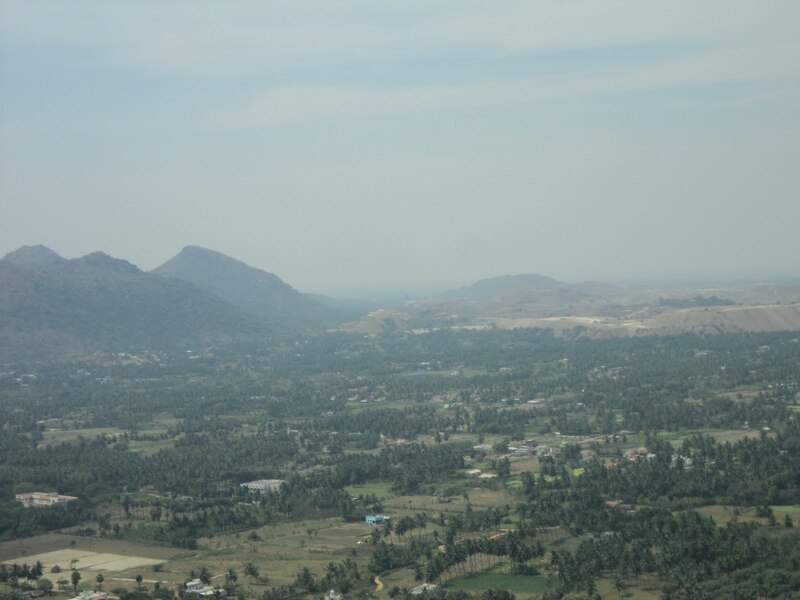 We walked through the town; this view point is about 3-4kms from the Yercaud lake. 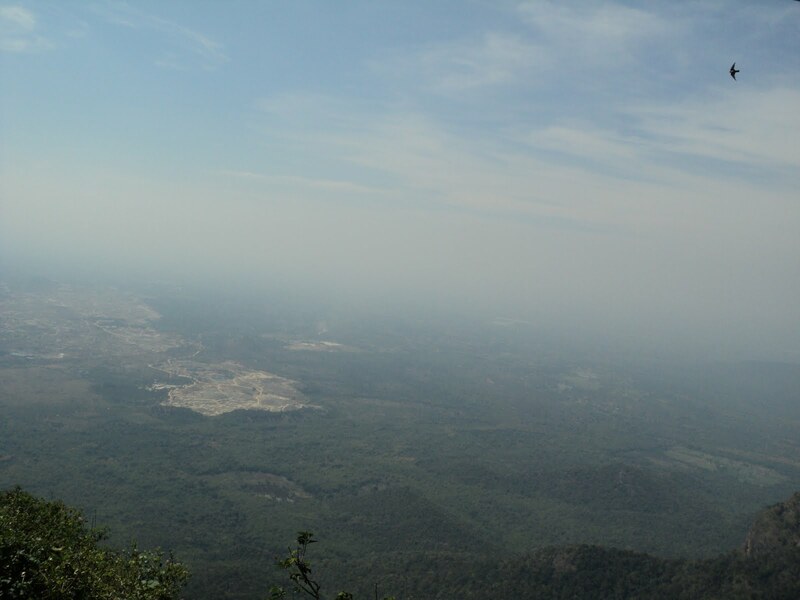 The view was breadth taking and yeah there was a telescope for viewing assistance. We thought to ourselves “why couldn’t the entire family have one big seat :P” ha-ha!! 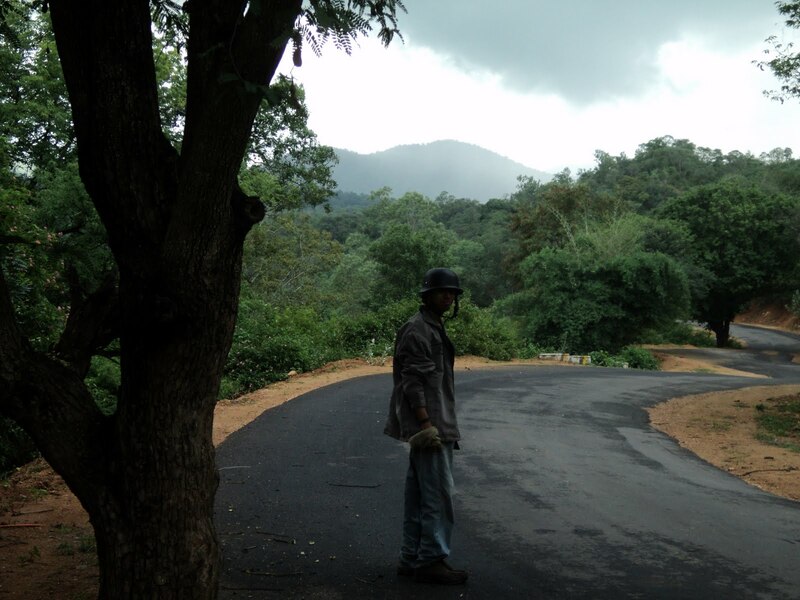 We walked back to the Yercaud Lake, on our way back we bought coffee powder. We picked up Avy and went to Pagoda point. After spending about 30min we left this wonderful place. This is an excellent water fall, but unfortunately was dry. 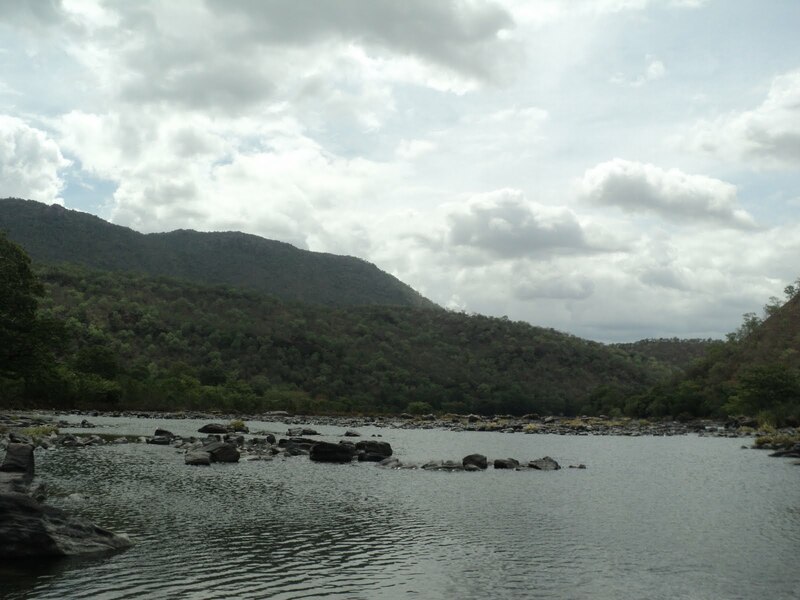 Have to take a 3kms deviation from the Yercaud lake to reach this place. 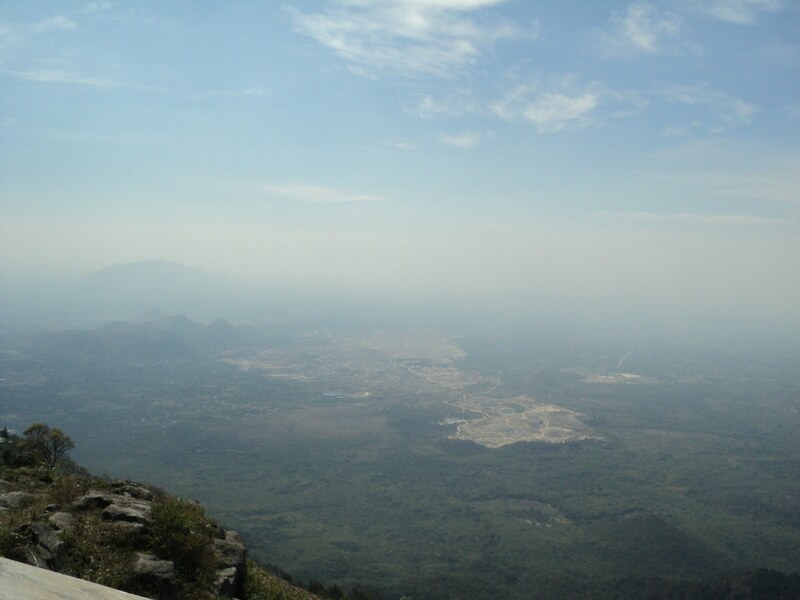 The most famous temple of Yercaud. 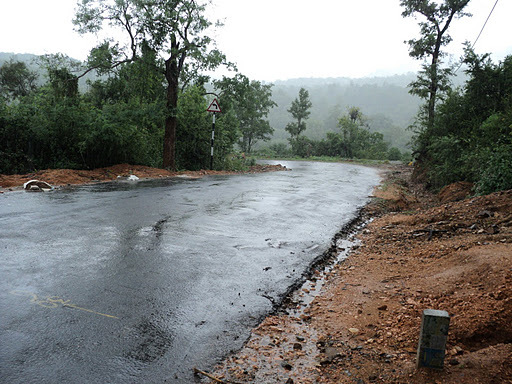 These are the famous educational institutions of Yercaud. We just had a peep from outside and left. This is a huge cave next to the Nortorn Bungalow. This place used to be a play home for bears. We switched off the engine & allowed Avy to take us down the hill. The HP curves were a joy to negotiate. 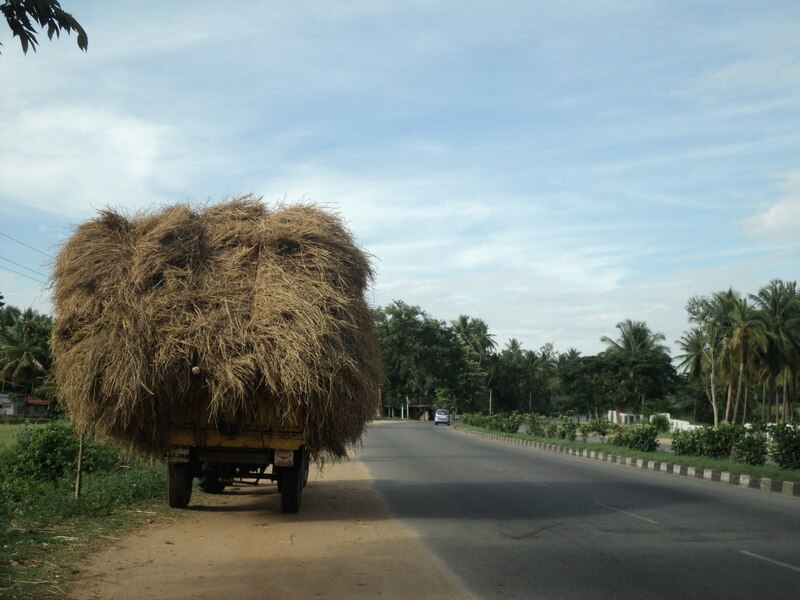 And believe it or not we covered the next 35kms with our engine switched off to reach Salem city. 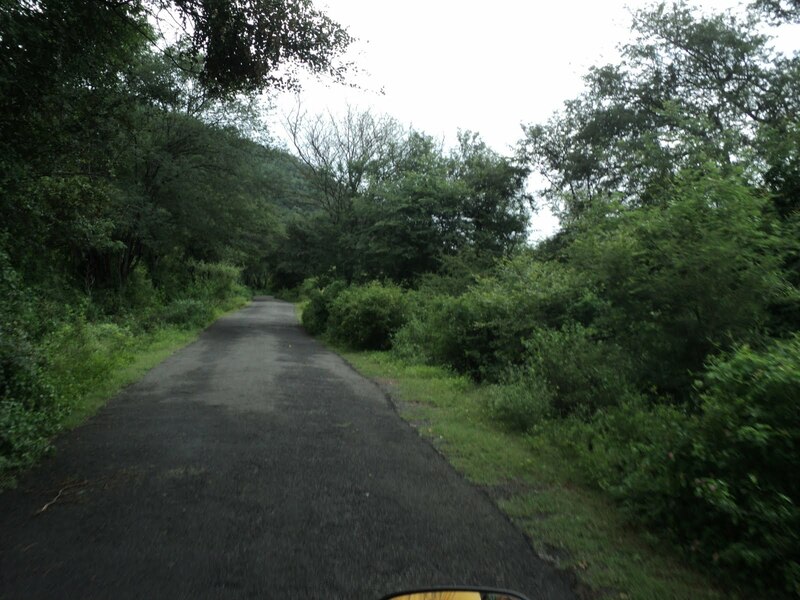 This was a good 120kms stretch of easy riding with sufficient breaks taken of course. 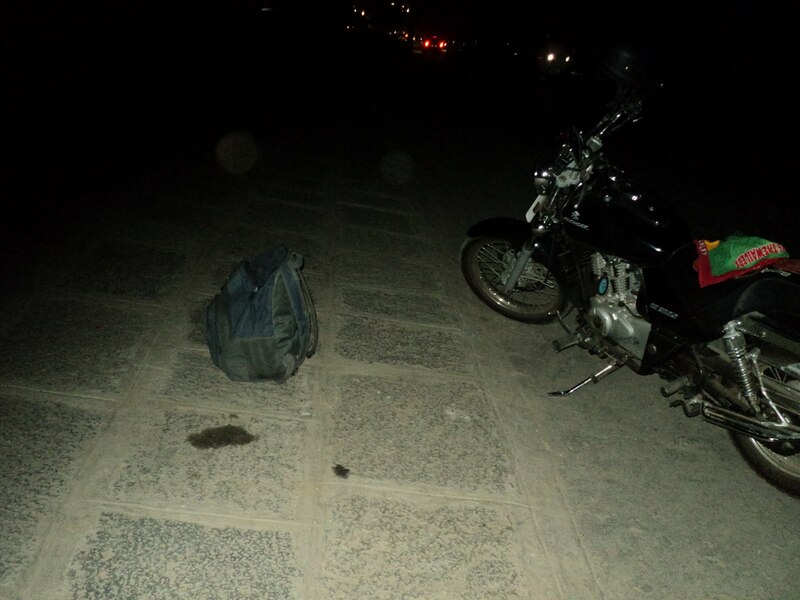 About 30mins on the highway we could hear a sound from the bike so we pulled over & inspected the bike. We found that the engine guard was loose, so removed it. Continuing further we took sufficient breaks for snacks, and stopped at the outskirts of Dharampuri for a drinks break. 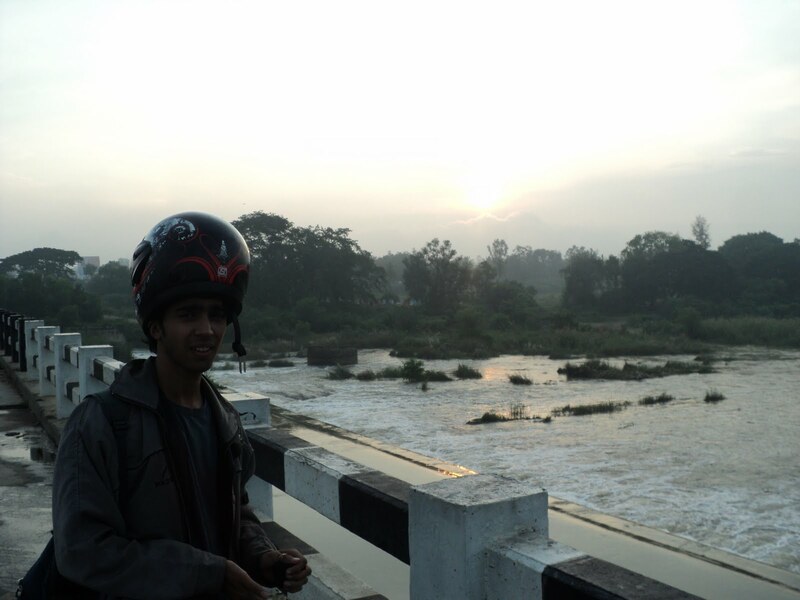 Once we left Dharampur, the sun went down and the cold set-in real quick. 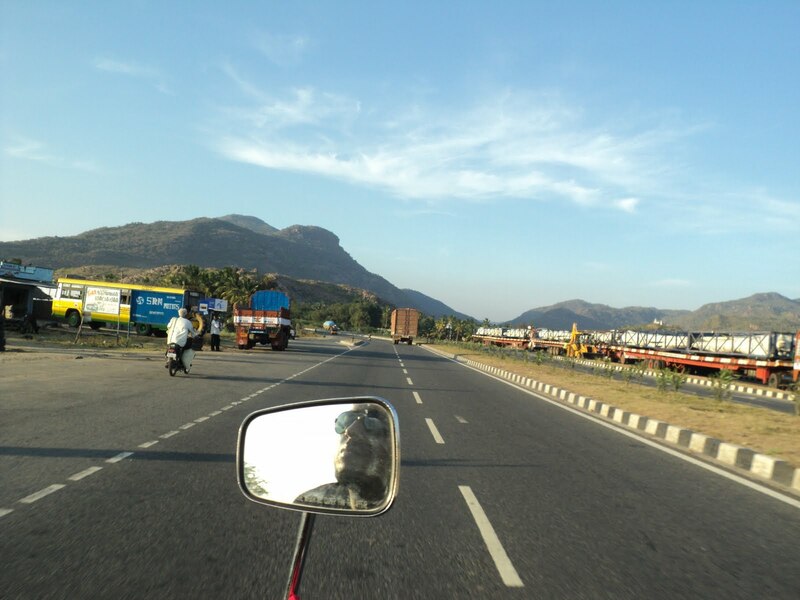 The increase in the traffic was drastic but we cruised along to reach Krishnagiri. 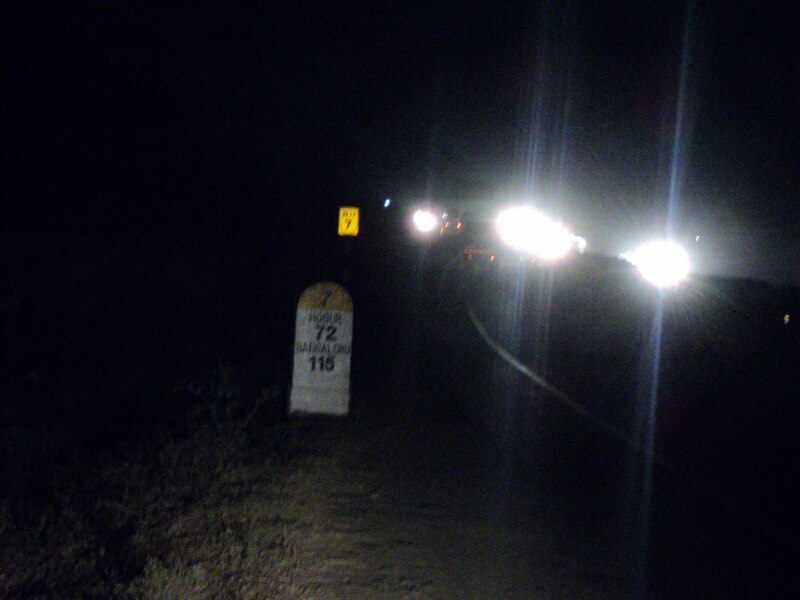 This was a 100kms stretch on the butter smooth NH-7, but it was no easy task pulling this one off. This was one of my hardest stretches till date, considering the fact we had done 450kms and my right knee was pretty much done. The cold which set-in was a real bad one and the traffic which had increased drastically (Sunday) was something we both were getting bugged of. I could feel the extra cold as there were no hair on my head 😛 ha-ha!! So took out a monkey cap, wore it and continued. 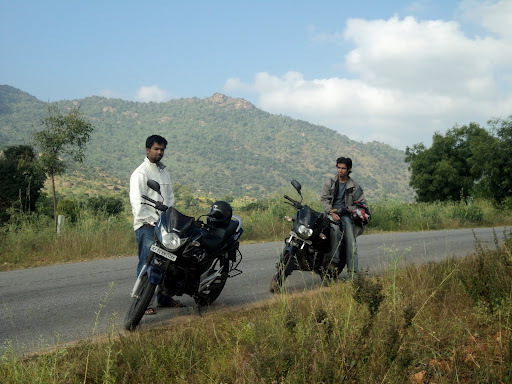 Zethu rode like there was no tomorrow to reach the outskirts of Hosur. 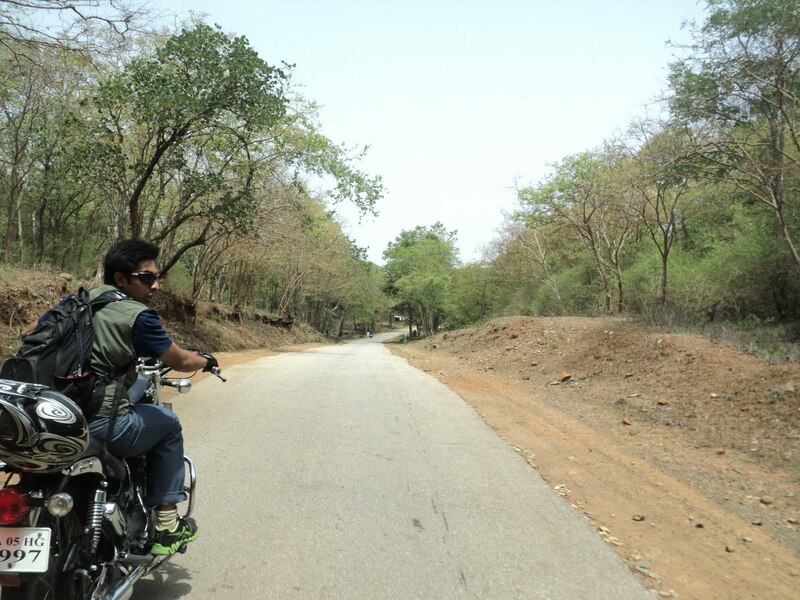 Continuing further we entered back Karnataka, there was no turning back from then. Our energies shot up again and without taking any further breaks even though both of us were in bad shape, we reached back home. ZETHU: Rode the whole distance, flawless riding. His humorous stories kept us entertained throughout the day. Distance: 150 x 2 = 300kms. 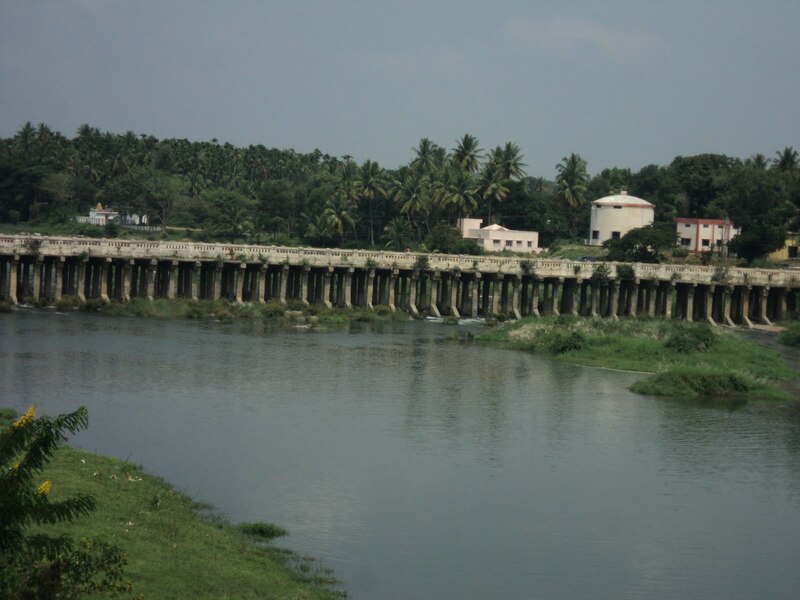 Directions: Bengaluru – Hosur – Denkankottai – Anchetty – Pennagaram – Hogenekkal. Particiapants: Chethan(Zethu) > Karthik (Sp). 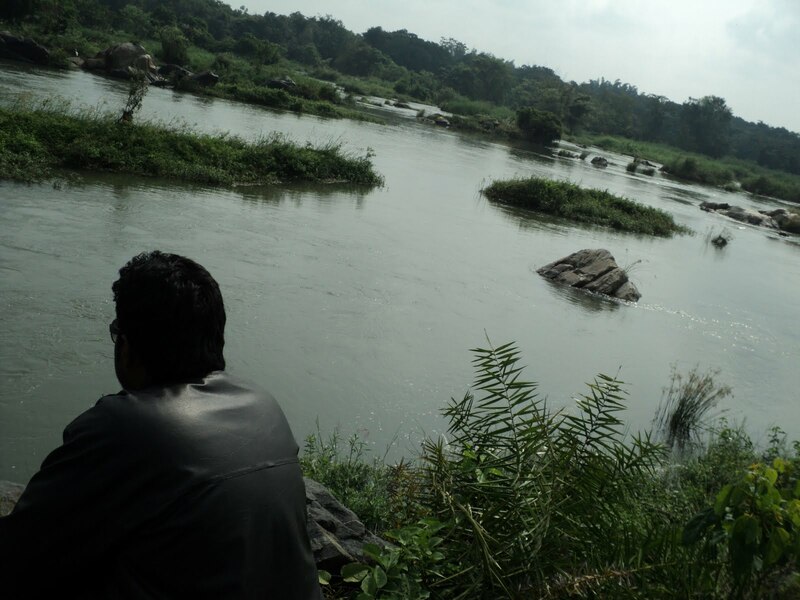 Previous visit: Mahadevapura– bird sanctuary. Alright this is one trip that will remain buried in my mind forever. 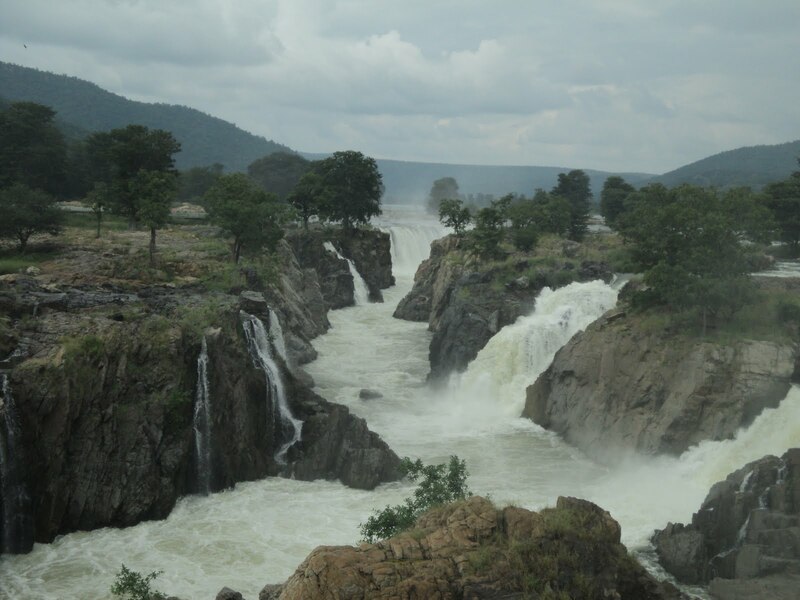 Hogenekkal is one of the most beautiful waterfalls in India. 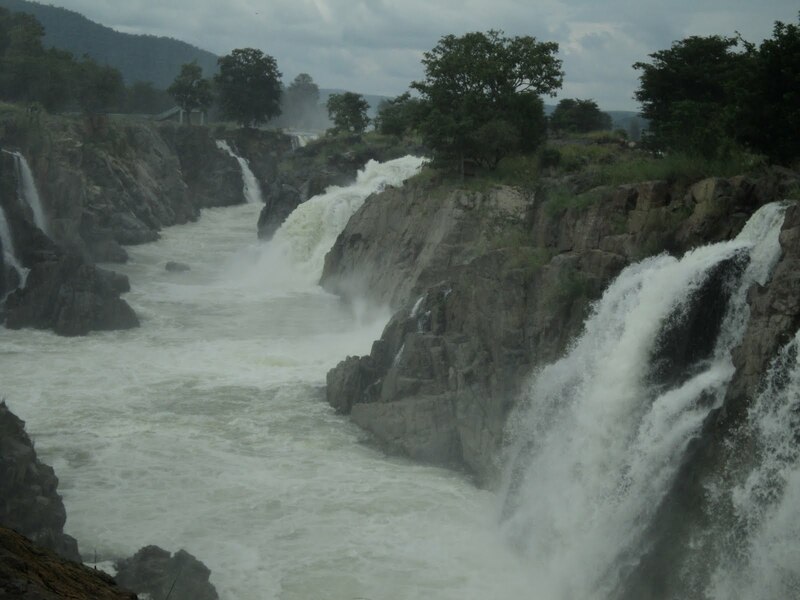 It is called “India’s Niagara” for a good reason. But this trip was “never about the destination, it was about he road to the destination”. 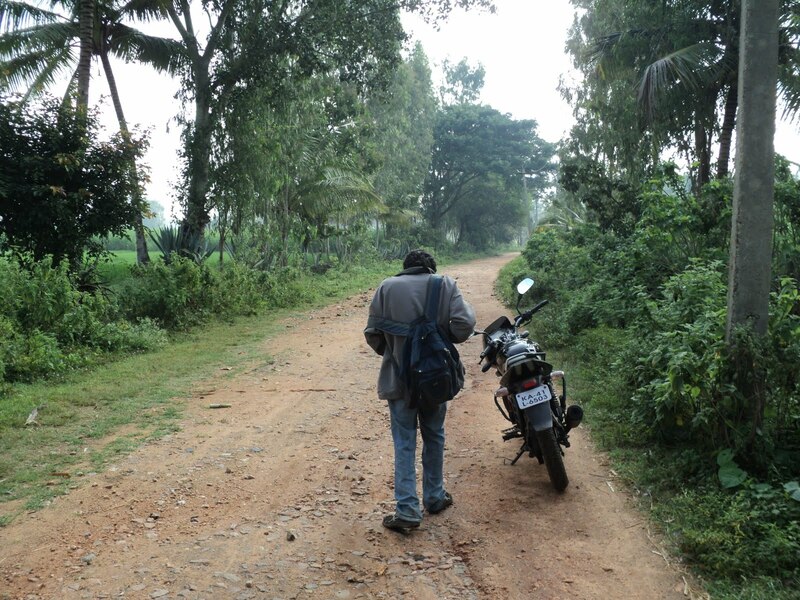 Well… as far as the planning goes, initially there was no destination decided. Zethu was the only one on the confirmed list, so we decided to meet at my place in the morning and then decide which way to head. 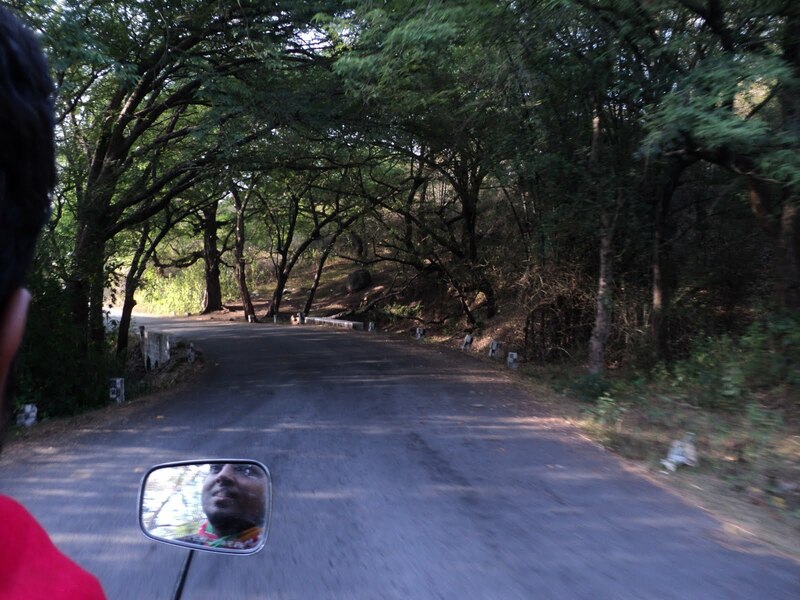 But yeah I had read about this awesome route in Tamil Nadu through forests and greenery, and yeah avoiding the highway is something both of us wanted to do. Yeah I was up at 04:00hrs, had a sip of coffee, did a few sit-ups and was all set to go. Finally Zethu arrived at my place & said he couldn’t get his bike, so we decided to head out on my bike and destination being somewhere on that route. 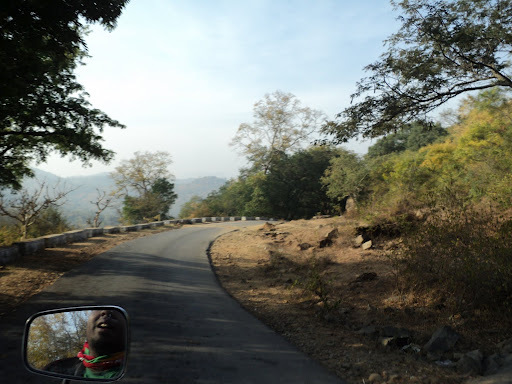 This was a 40-50kms stretch, probably the only stretch on the highway. 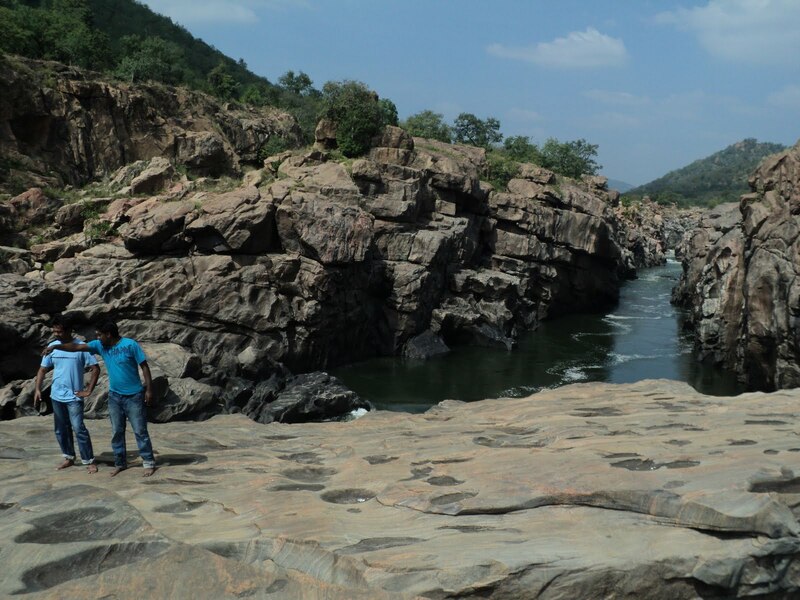 We first got out of the city when the traffic was lean, then cruised along NH-7 to reach Karnataka – TN border at about 06:45hrs and continued on to reach the outskirts of Hosur. This was about 30kms stretch. 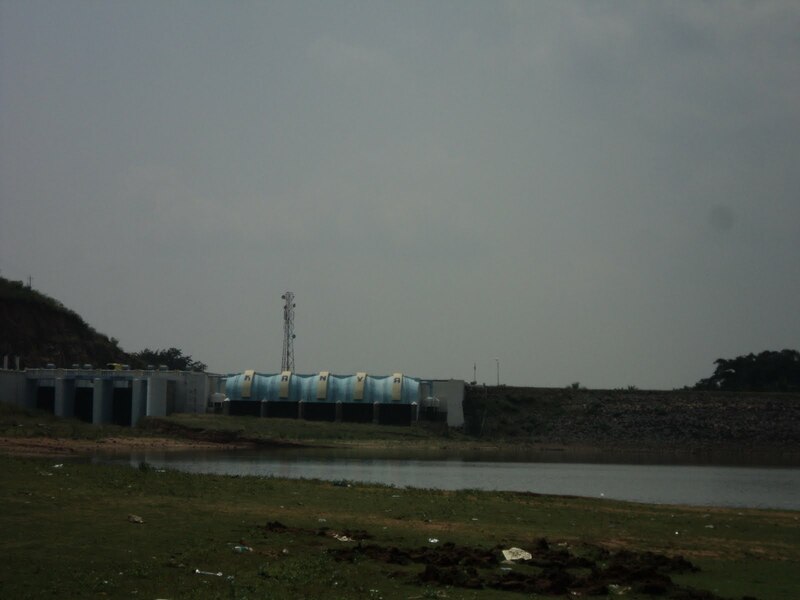 Once we reached the outskirts of Hosur we took a deviation for there, and yeah filled up petrol as it was almost empty and cheap in TN as well. We had some tea and were all set to face what was in-stored for us that day. The ride started of with some super awesome curves. 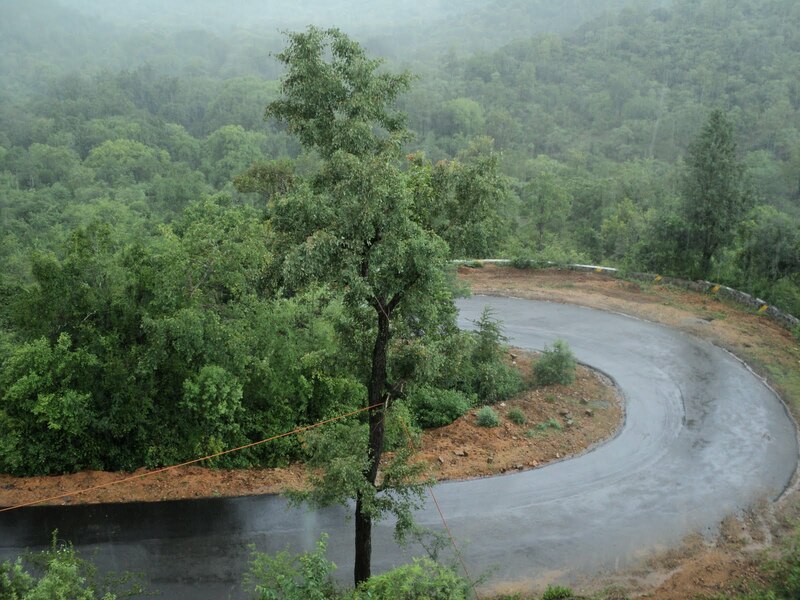 As we drifted along the curves, the forest started getting thicker and we began to feel the isolation from the noisy word. 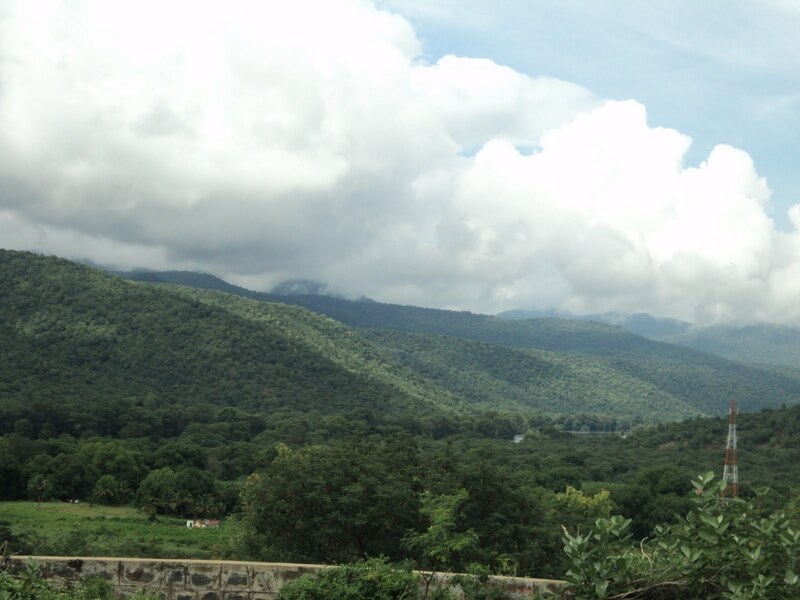 We did take a few stops to enjoy the greenery and surroundings. It was not long before we reached Denkankotte. 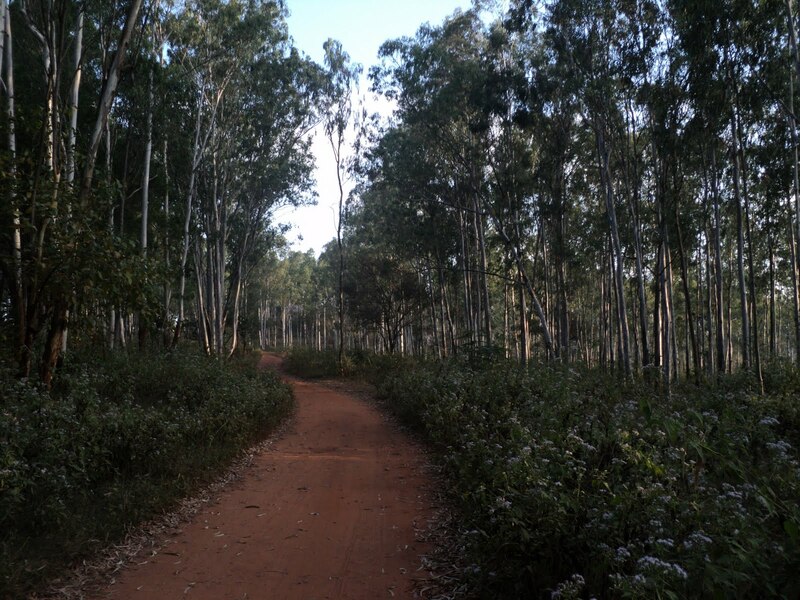 This was another 35-40kms stretch. 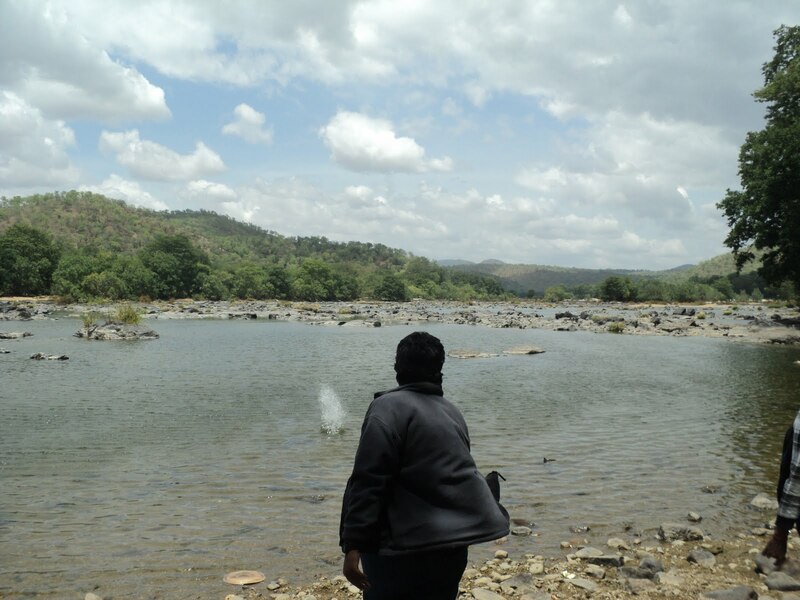 As we passed Denkankotte, we asked for directions and we were enroute Anchetty. 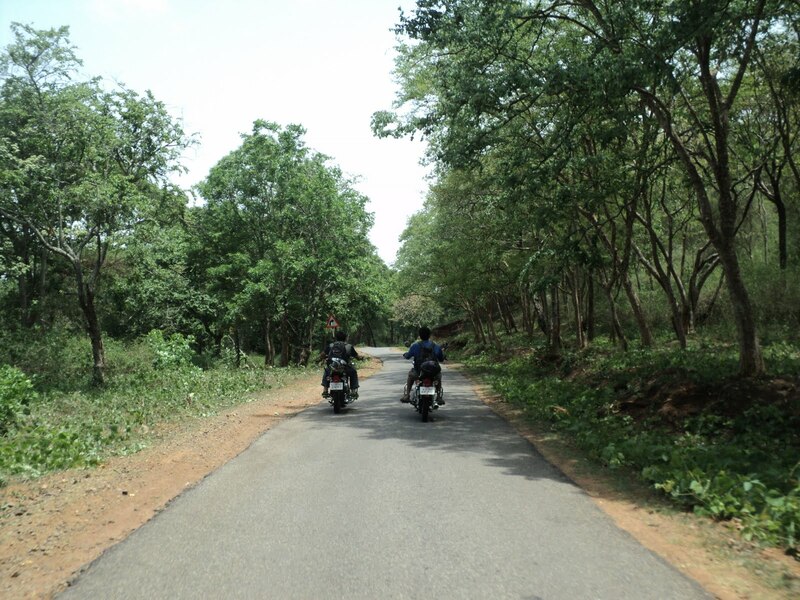 The roads continued to be excellent, with surroundings getting better as the time kept ticking. 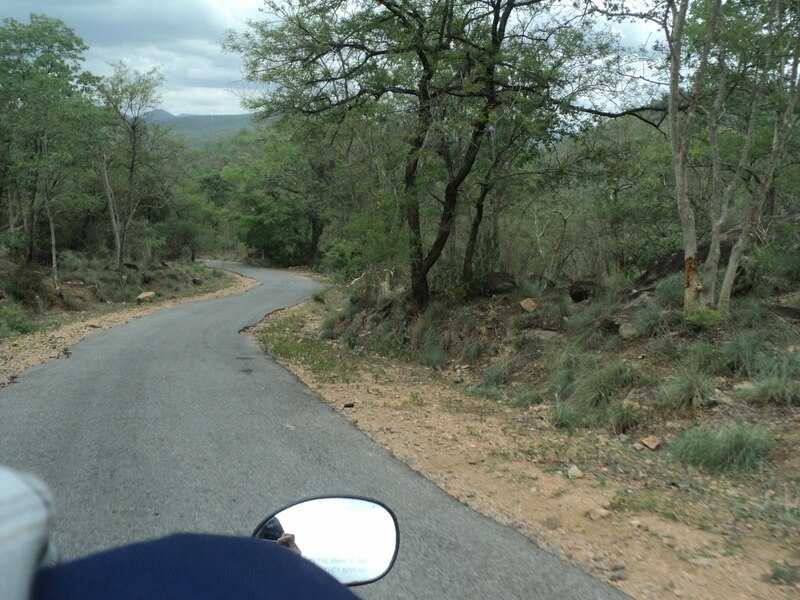 After sometime we finally found the hairpin curves and Zethu who was riding executed these with fun. 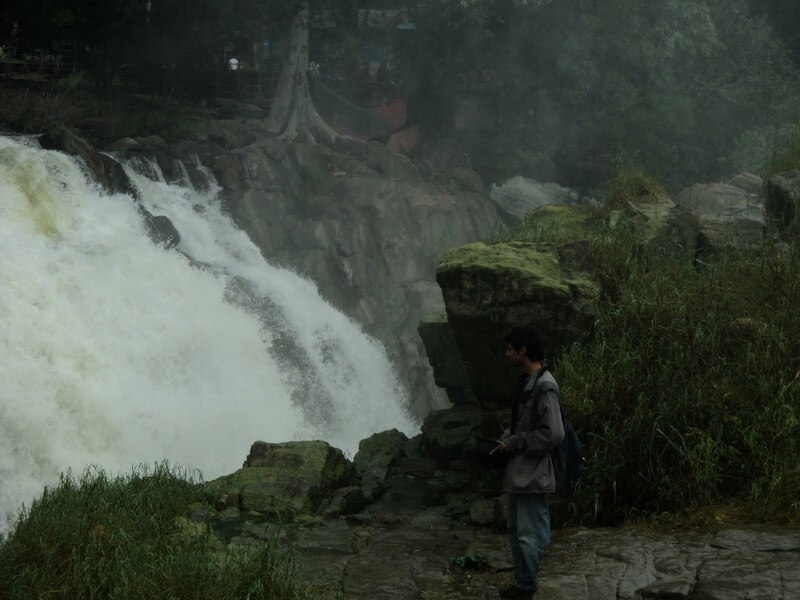 Oh yeah we also spotted a huge water falls amidst the forest, it was pretty far. 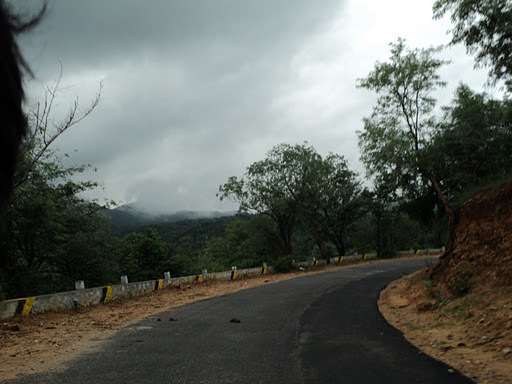 As we continued along the hairpin curves, the clouds burst open. We had to put all our belongings inside my bag, wrapped up tightly in a towel. Ps: this route is fantastic no doubt, but there are two bridges that needs to be noted. 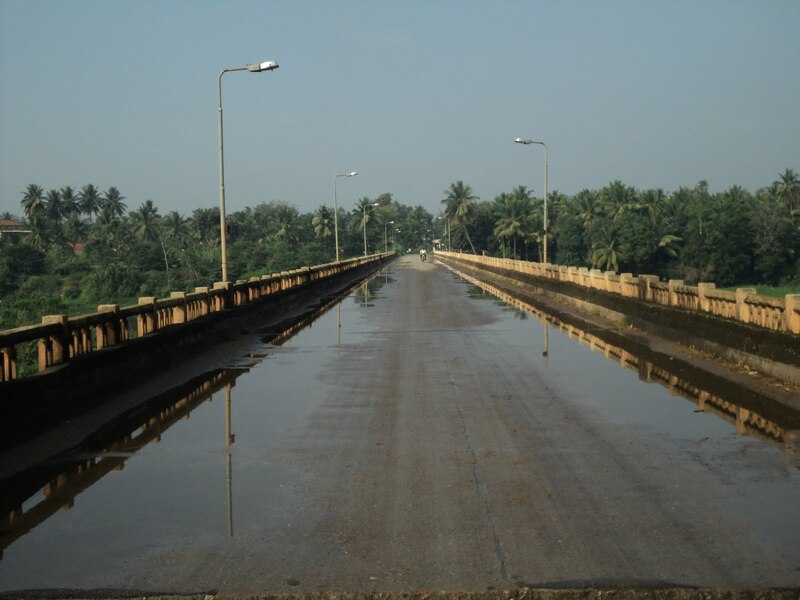 During rainy season these bridges are flooded, so it is difficult/impossible to cross. But thankfully in both the bridges the water was just below the bridge I mean hardy 10cms below and it was fast flowing. 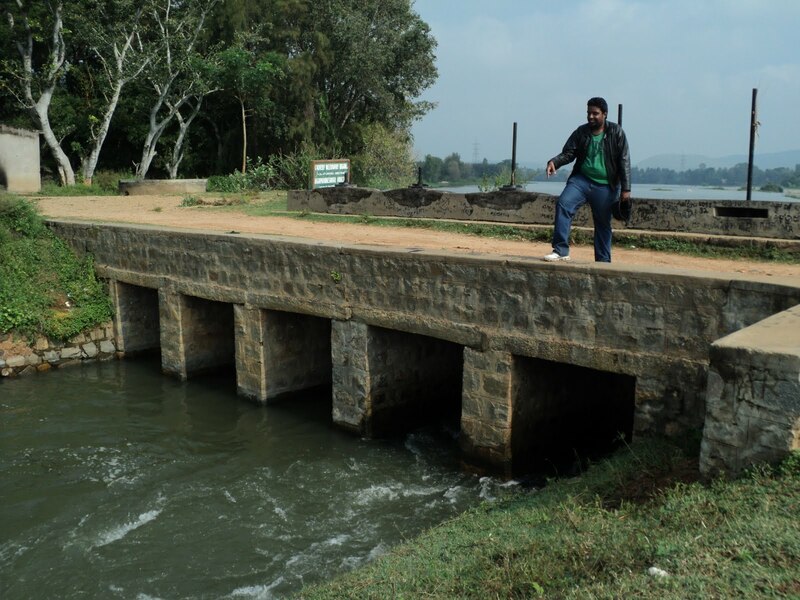 So we crossed these bridges without any trouble. 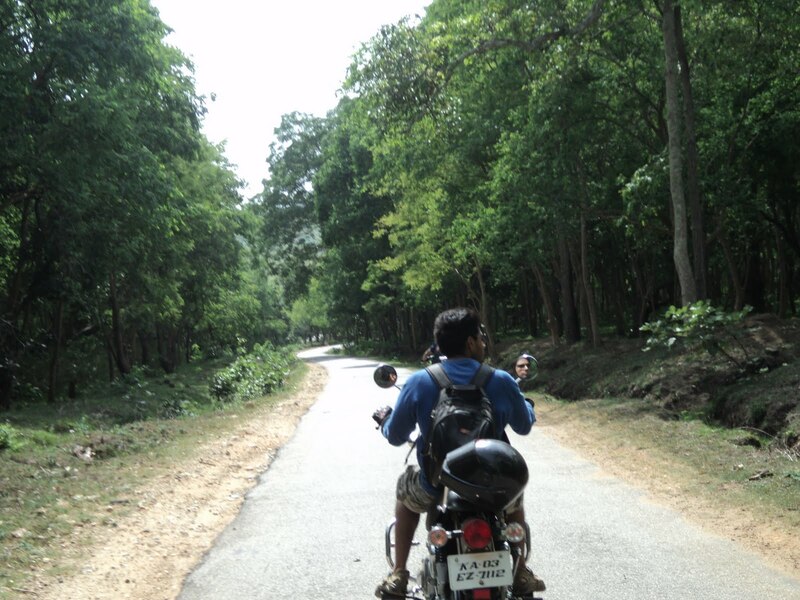 Once we crossed the bridges, the trees covered up the sky letting only a few rays from the sun to hit the tar. 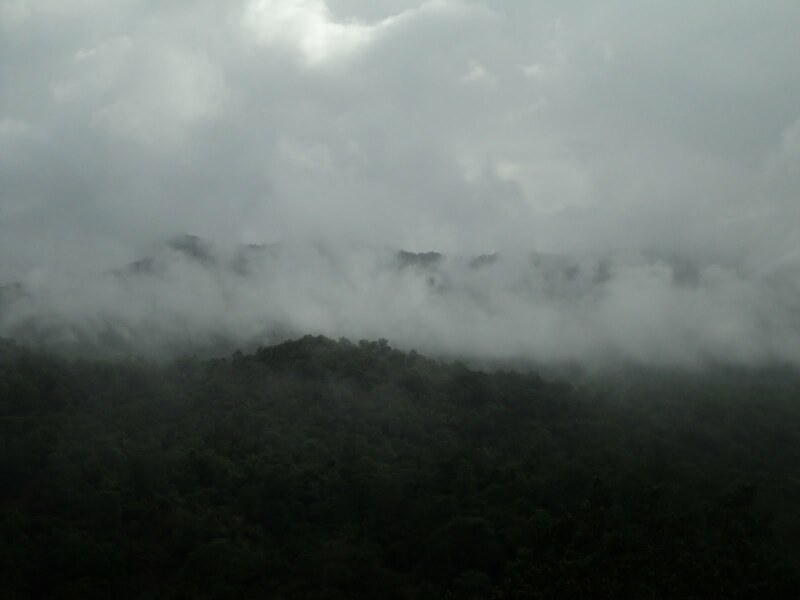 It was foggy and as we came out of the canopy ride, there it was – the perfect stop!! We could see a wide range of mountains and clouds right in front of it slowly drifting. Check out the snaps, it expresses much better and I’m kinda actually out of words to explain the beauty. So… this was the perfect pit stop with breadth taking scenery. We sat for a good 30mins at this amazing place and finally decided to leave with our spirits flying high. 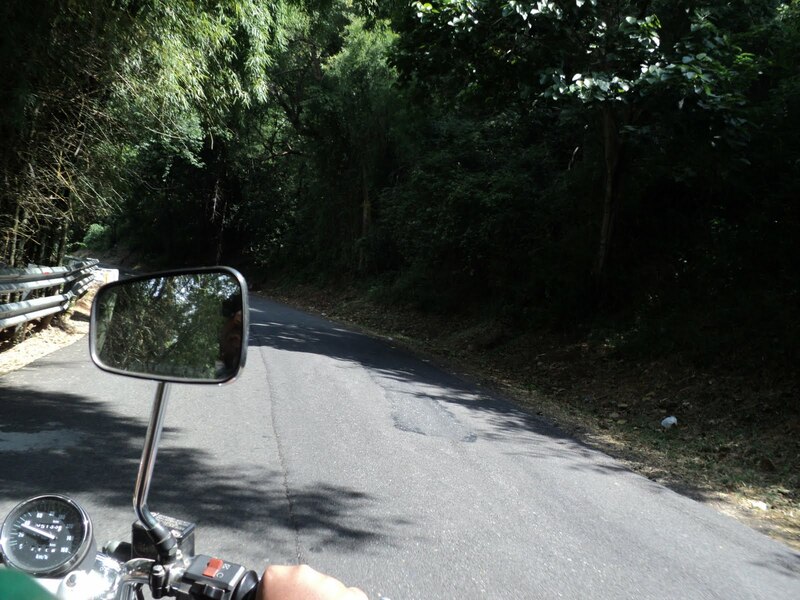 As we continued the ride, we found more hair pin curves. Zethu was enjoying every moment. 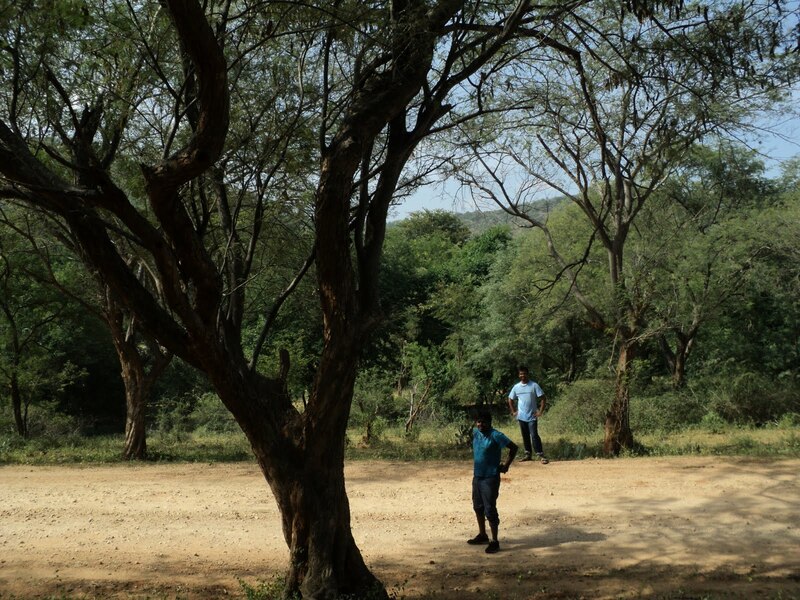 The forest got real thick & we felt completely isolated from the world. So we kept singing all sorts of songs loudly too :P. Bob Marley songs being the favorites ha-ha!! 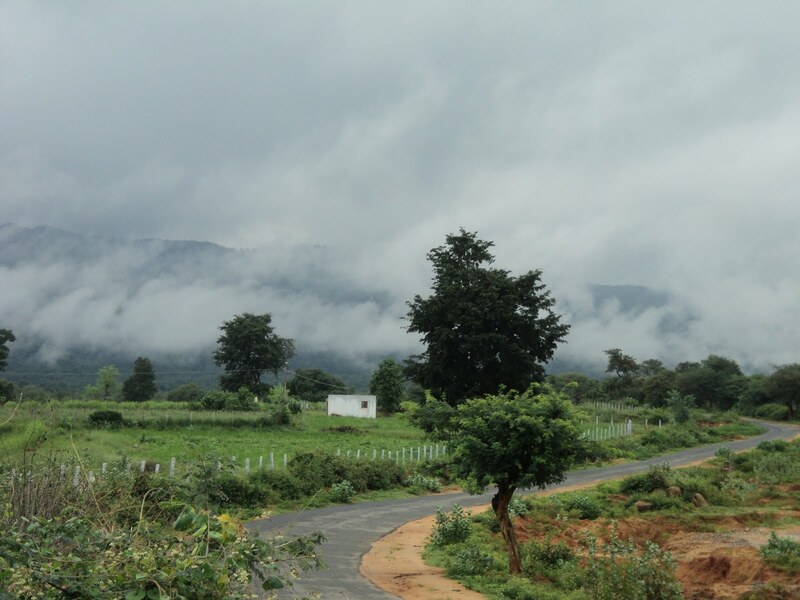 As our singing continued the rain gods appeared again and burst open the clouds big time. Well we were lucky enough to find a view point, so pulled over. But yeah we didn’t mind getting drenched in the rain. 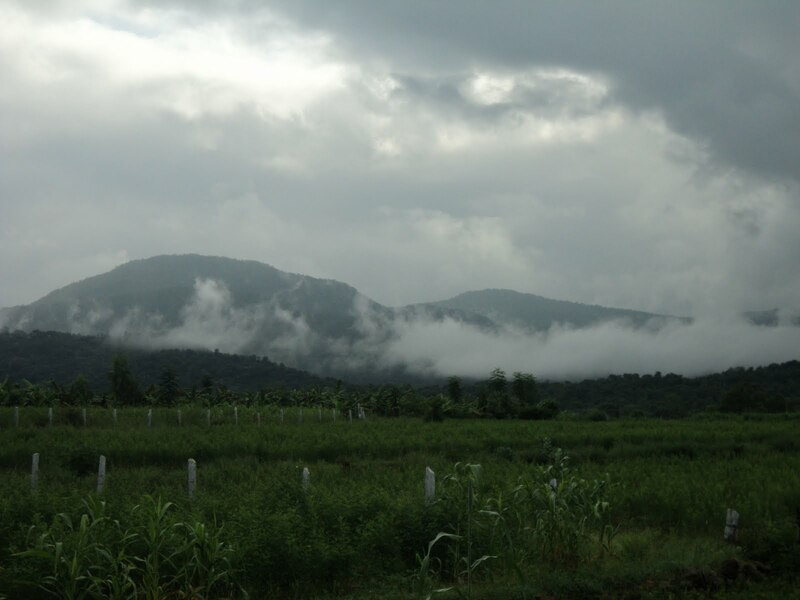 The view was superb, once the rains slowed down we could see the clouds and the mist moving all around us. We were very happy with the proceedings and were ready for what was next ahead to come. As we left the view point, there were signs of land slides throughout. 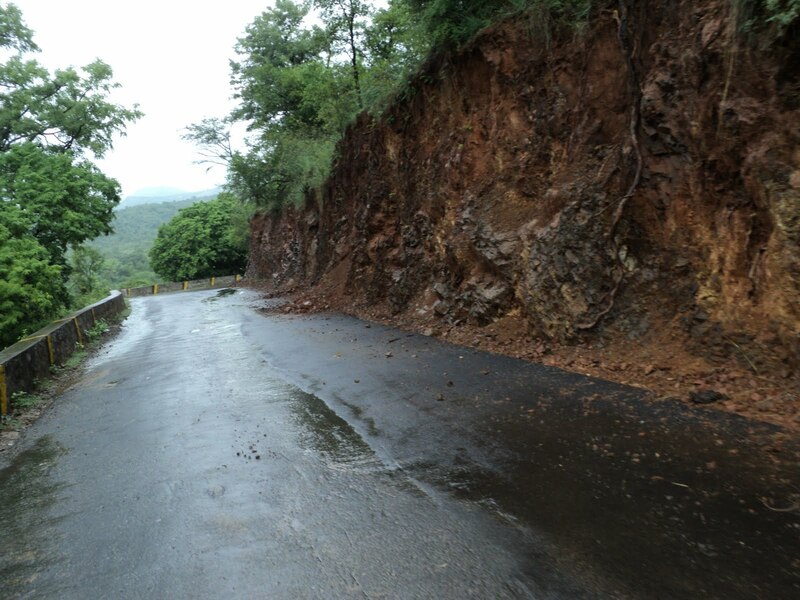 Mud collapsed on the road, rocks fallen on the neat road. The cold misty ride continued so did our singing ha-ha!! 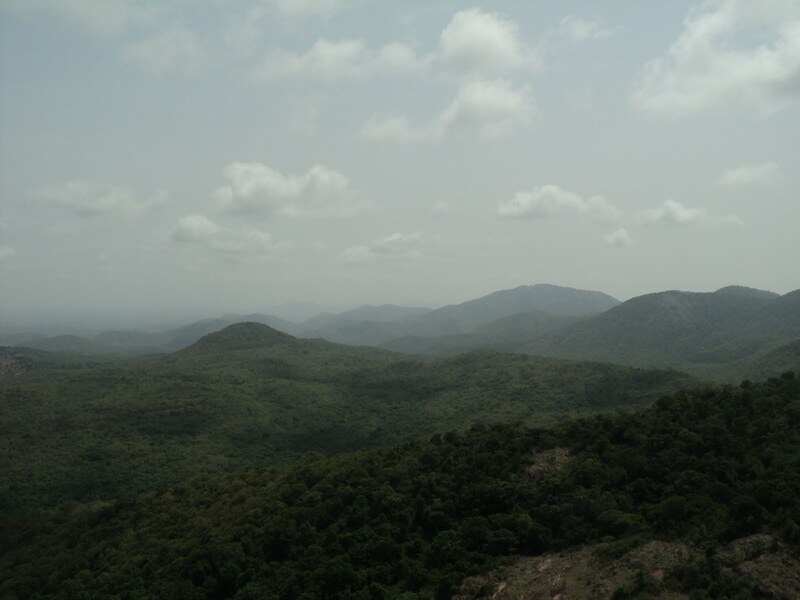 After sometime we spotted the magnificent MM hills. Oh yeah Hogenekkal and MM hills are 40kms away. 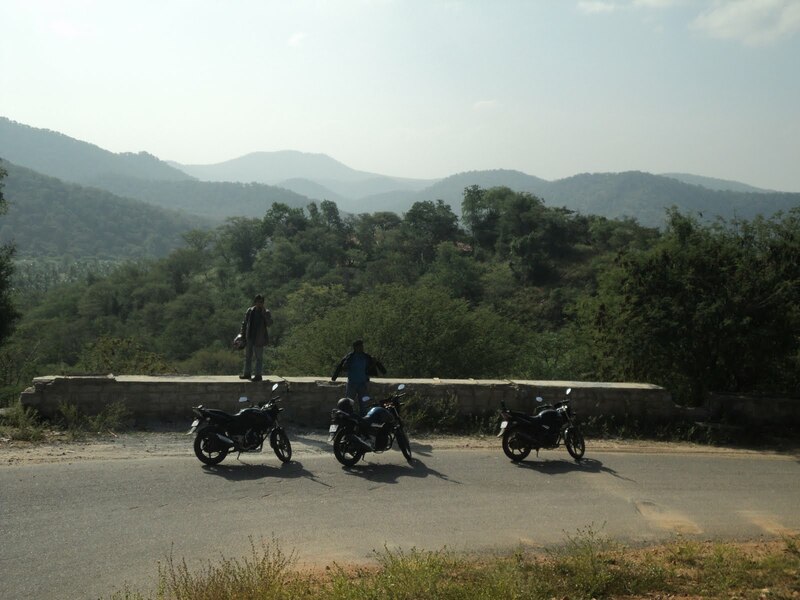 On spotting these hills we started chatting about out our crazy 600kms one day ride we had a few months back. Continuing further there were many small streams we had to cross, it was a few seconds ride to cross, but had pebbles and gravels. So controlling the bike became a challenge, but Zethu had no problems and we easily crossed it. 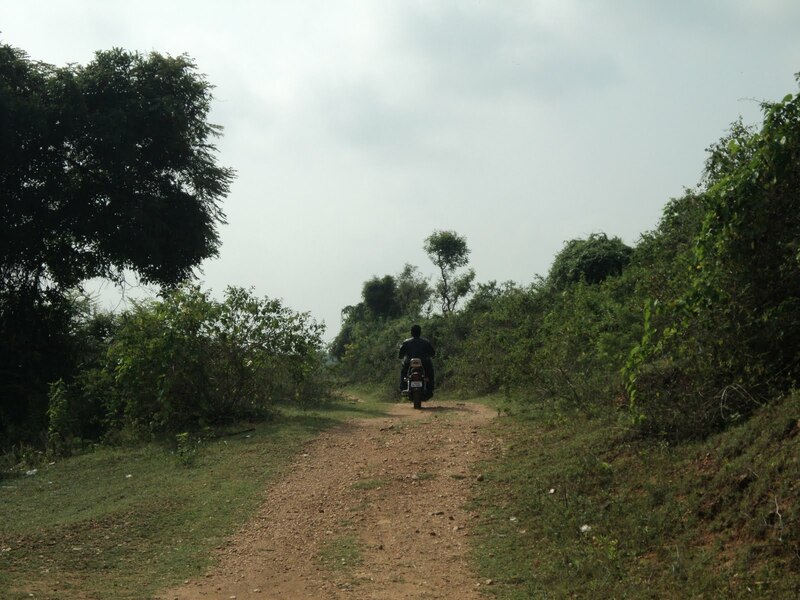 As we continued further, the tar roads faded away leaving us on mud road. 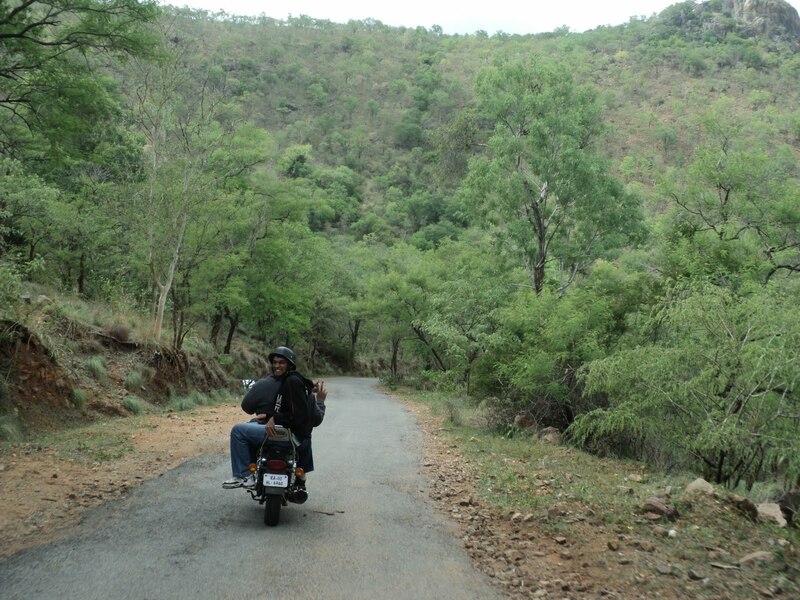 Yes was an added joy to us, because we had ridden on every terrain possible and this was another. 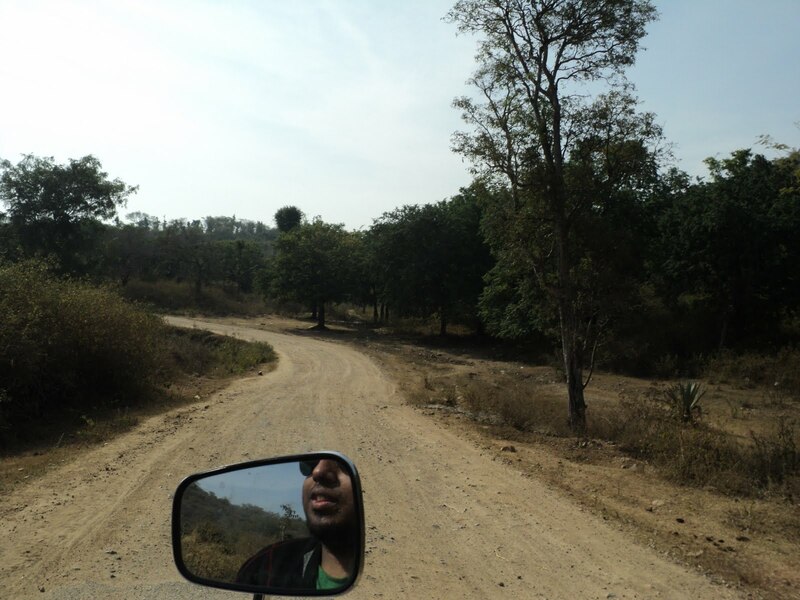 The off-road journey was for about 5-6kms, once that ended it left us back on tar road. 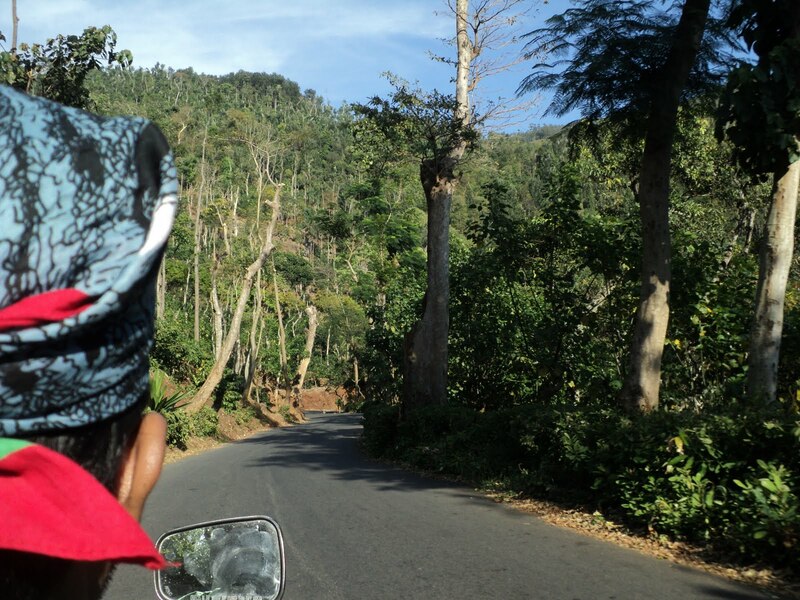 The road condition remained brilliant and yeah the forest got real thick (& yeah both of stopped singing automatically ha-ha!!). 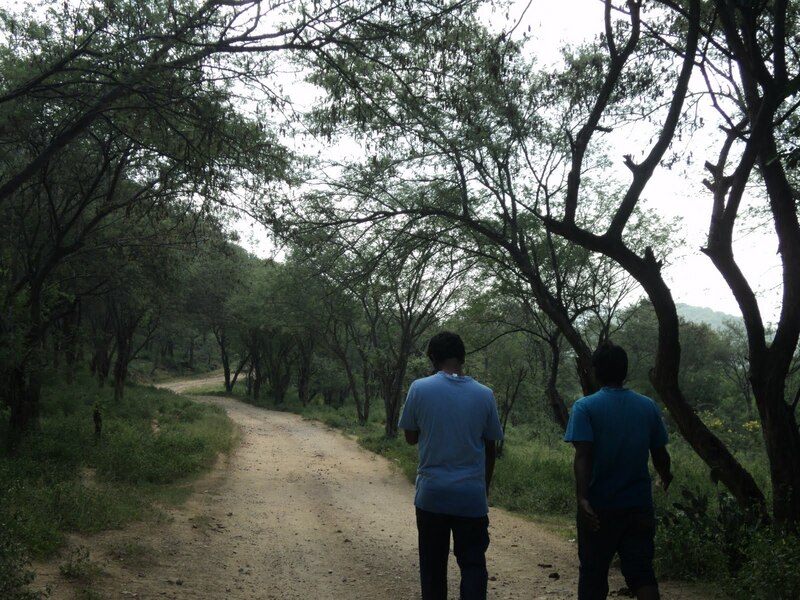 It was like a combination Muthathi forest and BR hills forest ride. 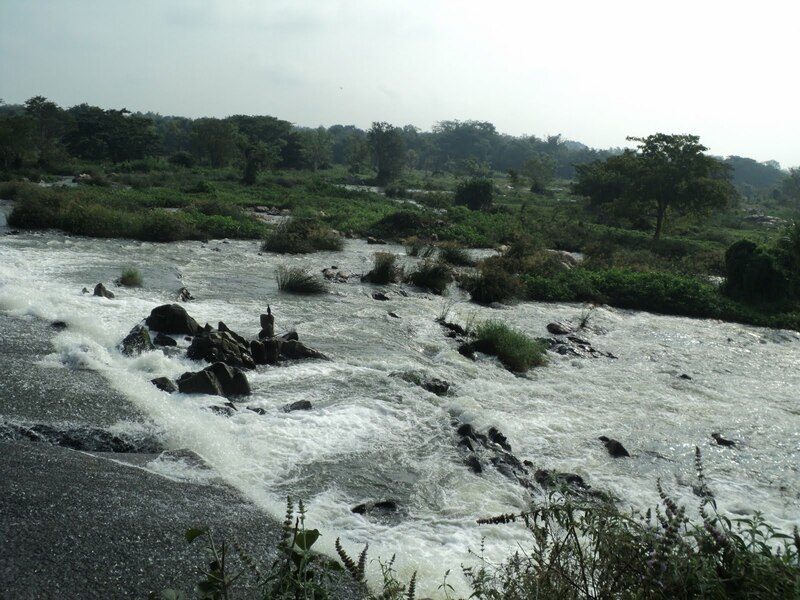 It was not long before we spotted the flowing waters of Hogenekkal and we rode along side it for about 10-15 kms to reach a small town. Okay… we had to take a right turn (U’ish turn) once we reached the town but we missed it and continued further. As we continued on good roads I turned back to spot a stone which read “Hogenekkal 5kms” ha-ha!! So we took a U-turn and headed back. Alright here’s the funny part we wondering how the trip had turned out to be so smooth & perfect and other things. 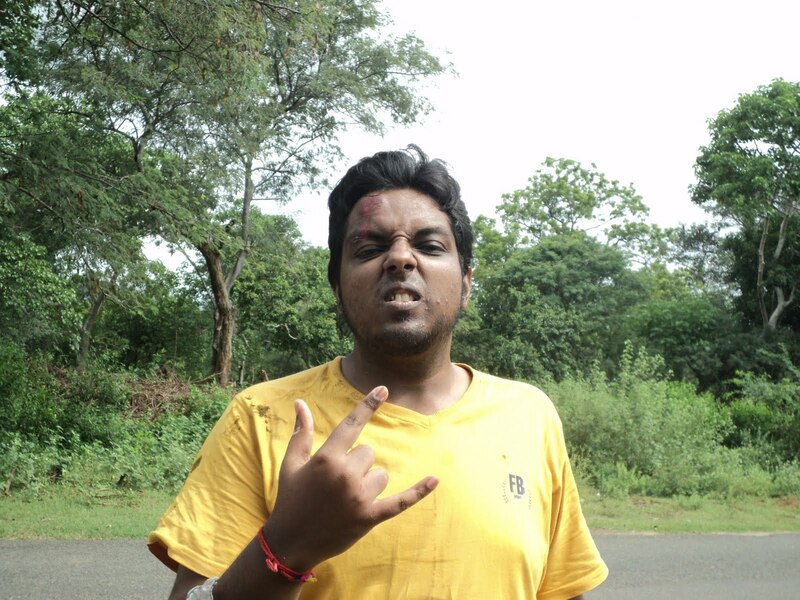 Zethu – forehead busted open, bleeding big time; Right arms torn with scratches; Shoes had a hole in it to damage right foot; Jeans torn and knee bleeding. 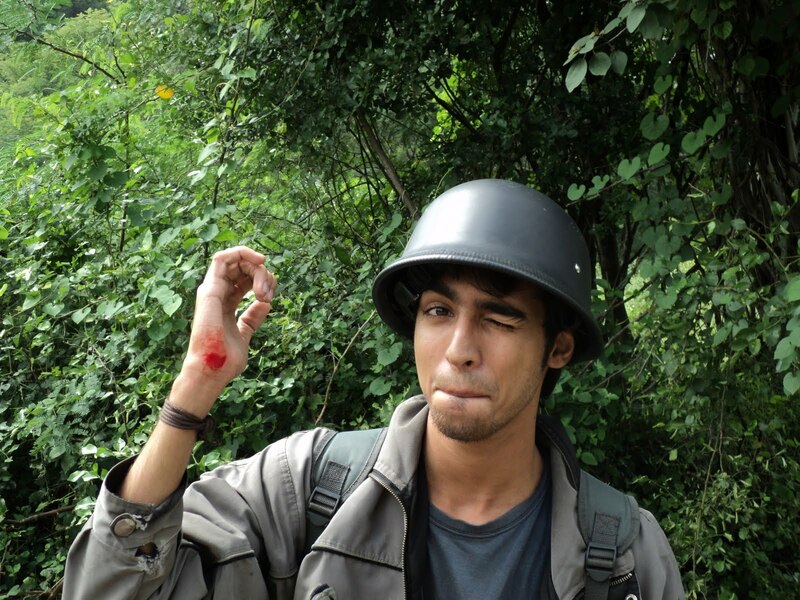 Sp – Right palm deep abrasion & bleeding; 3 fingers numb; Right knee had problems before the trip now completely dead!! I checked my bike and surprisingly it was all good, only a few scratches near the wolf lamps. Took out all the small pieces of cloth I had and tied to Zethu and wrapped my bike cleaning cloth to my palm (I know it’s unhygienic, but yeah that’s the best I could do). Before we left we searched for the bull that had caused all the chaos, wanted to make sure the poor creature was alright. We found it happily grazing with it’s other companions ha-ha!! So now it was my turn to take over the bike, so with Zethu sitting behind we rode to a clinic and as Zethu was getting his treatment I stood outside with my right hand tightly wrapped. Once Zethu was out of the clinic with all the bandages on his head, hand, knees and foot, we looked pretty much beaten up from head to toe ha-ha!! But frankly this did the least bit to pull down our spirits. We laughed looking at each others condition… and said to each other “Lets hope we go back home” and had a hearty laugh. As we continued towards the falls, every person we met started questioning about our condition, so Zethu took the towel from my bag and wrapped it around his head and wore his sweater back to avoid further question-answer sessions ha-ha!! 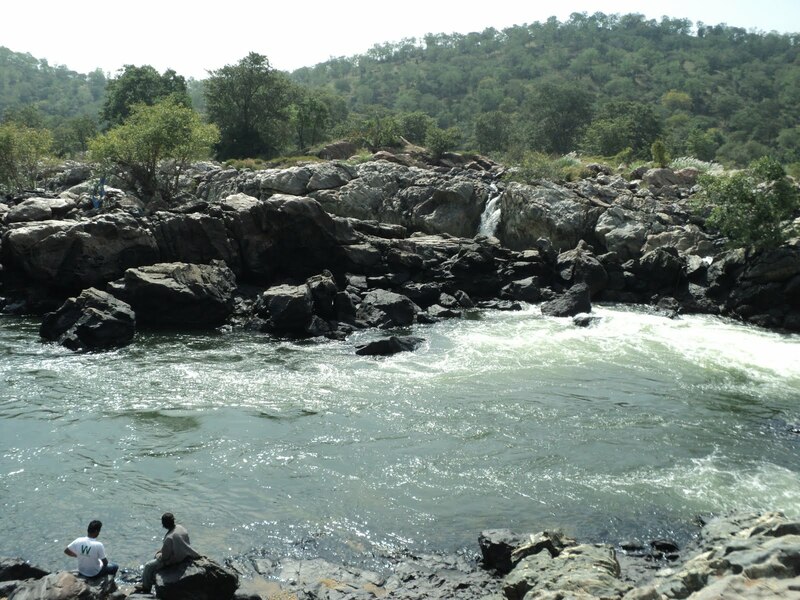 As we reached the falls premises we found that the boat ride had been banned. We took a walk on the hanging bridge and continued further to view the first stretch of the falls. 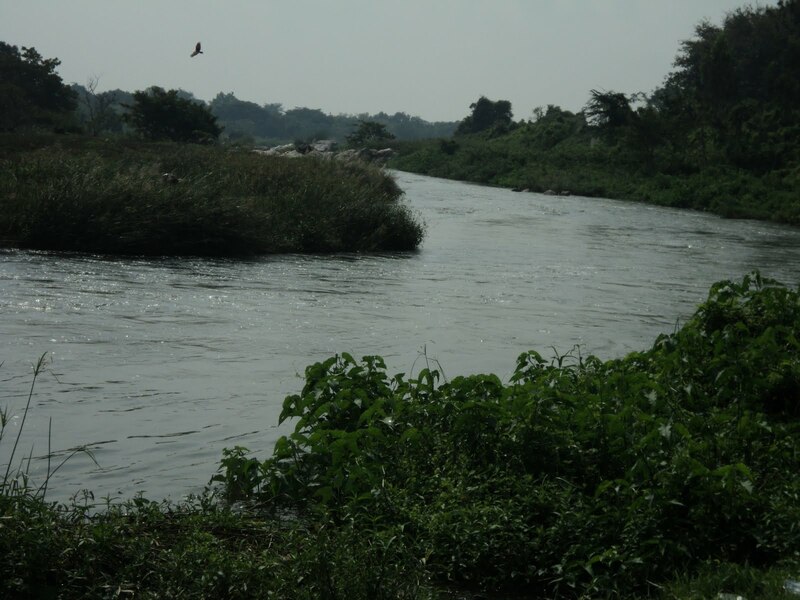 Well during my last visit to Hogenekkal, I hadn’t seen this stretch. So…. We continued further, Zethu was pretty messed up and I was limping across the rocky terrain with still the blood stained cloth in my hand. 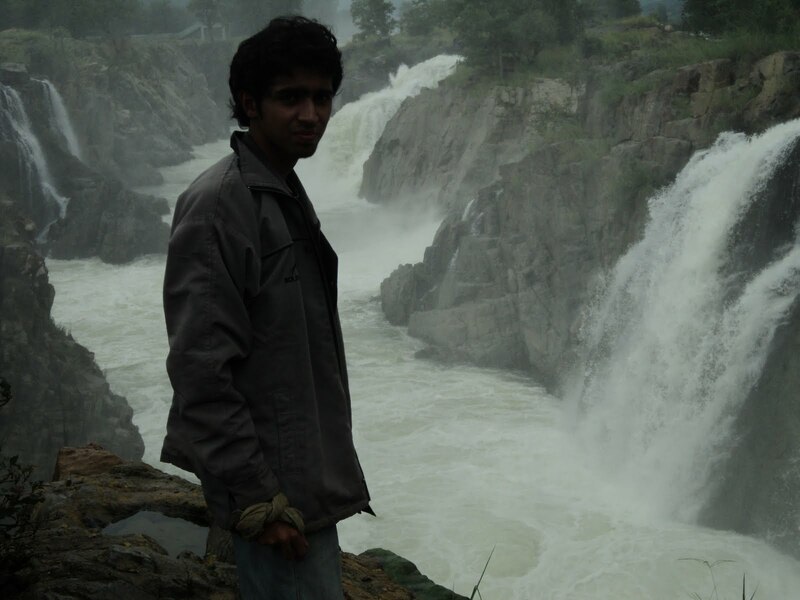 Finally we reached the main falls and spent some quality time admiring the force & beauty of the waterfalls. The falls was at its best no doubt. 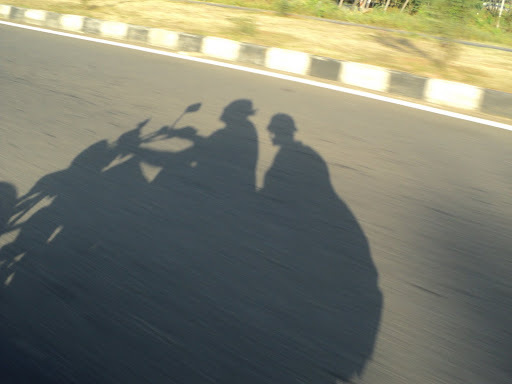 Okay… we thought of taking the highway, but yeah decided to head back in the same route we came as it was breadth-taking and yeah I could ride the curves this time. 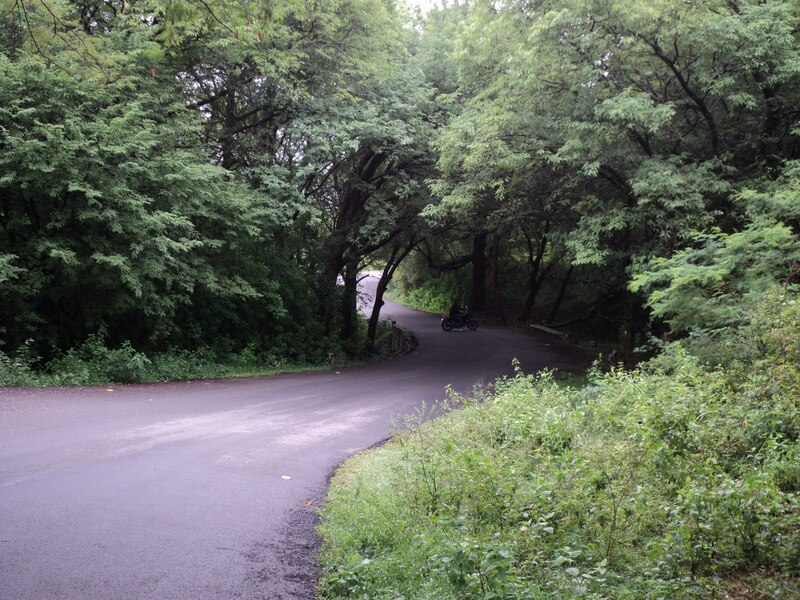 So I rode back pretty cautiously negotiating the curves with joy and cracking jokes all along the way. 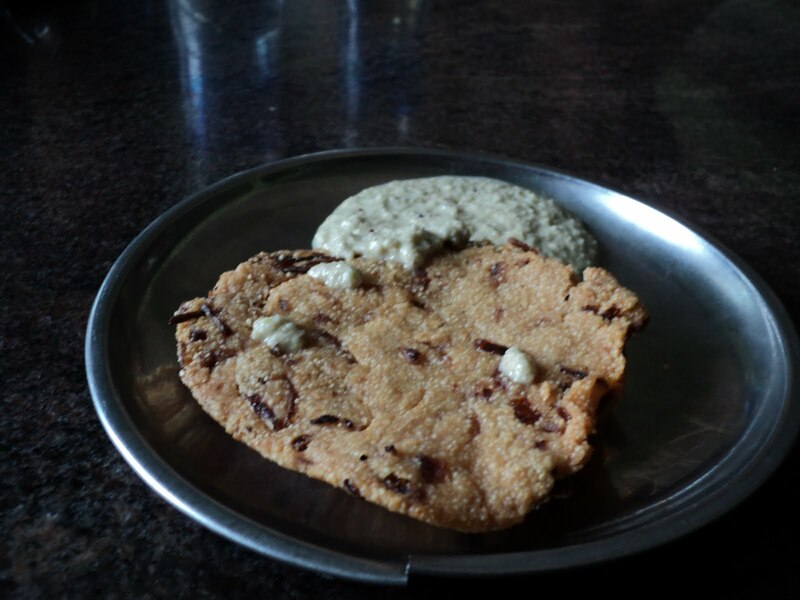 We stopped amidst the forest ghat roads, and removed Lays from my bag and started munching as we hadn’t eaten anything that day. And as we rode further… we had forgotten about the singing.., so as we began to sing again… yeah the rain came down mercilessly this time ha-ha!! I mean this time the rain gods were real pissed off at our singing I guess :P, we had to pull over this time as our wounds were paining. 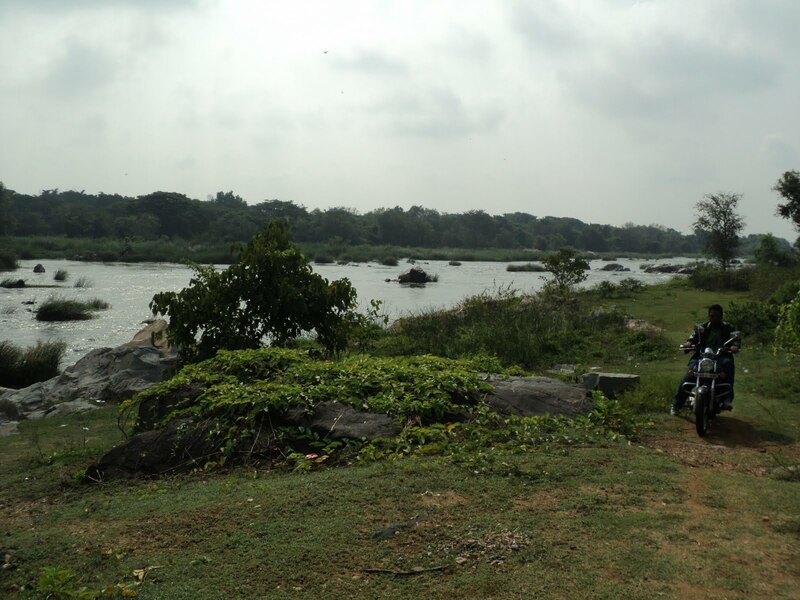 Finally once the rains slowed down, we rode non-stop with some soft singing, to reach the outskirts of Hosur. We sat on a bench and removed some corn and started munching it… and yeah shared it with all the living creatures we found around us… Ants, Crows etc. 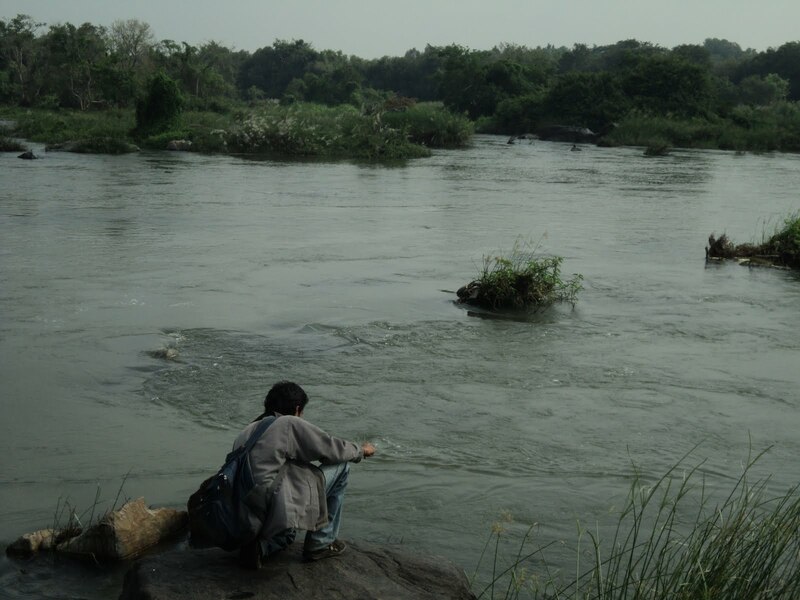 We continued further to reach back Karnataka-TN border at about 17:00hrs, and tackling the traffic we reached back to my place at about 18:00hrs. I picked up my helmet from the garage and off we went again to Zethu’s place. ZETHU: The perfect rider with whom I can chat, sing along, crack jokes and yeah time is never a constraint when he’s alongside. 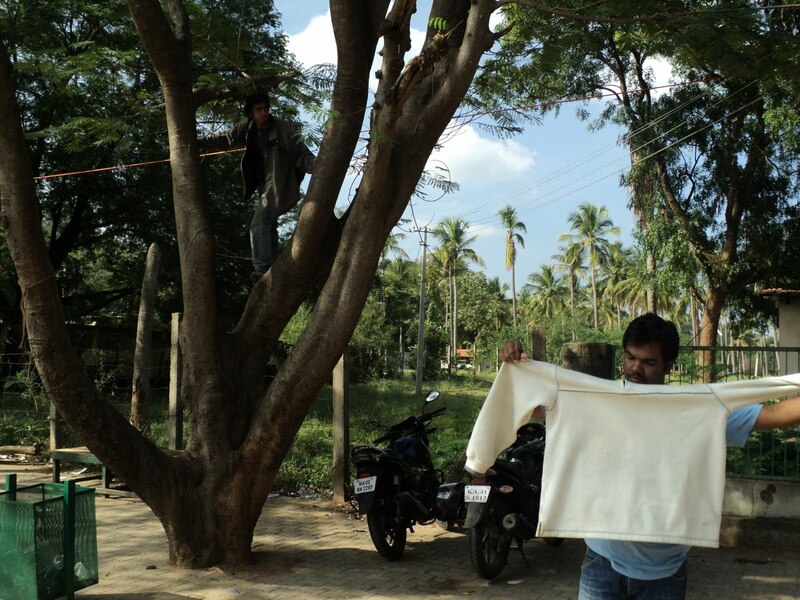 His cool temper helped a lot in pulling this one off in one-piece. Distance: 135 x 2 = 270kms. 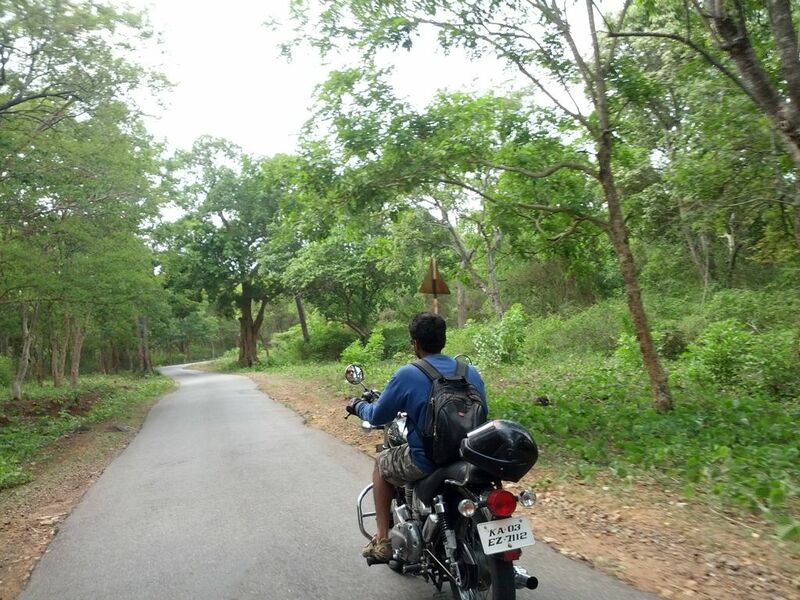 ( Our circuit came upto 350 kms as we ended up in Mysore). 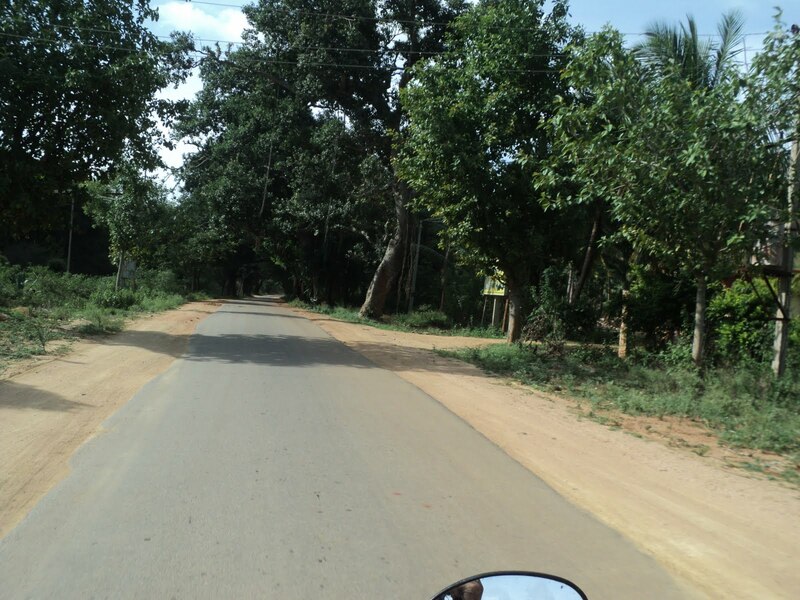 Directions: Bengaluru – Ramnagar – Maddur – Mandya – Left turn – Arakere – Mahadevpura. 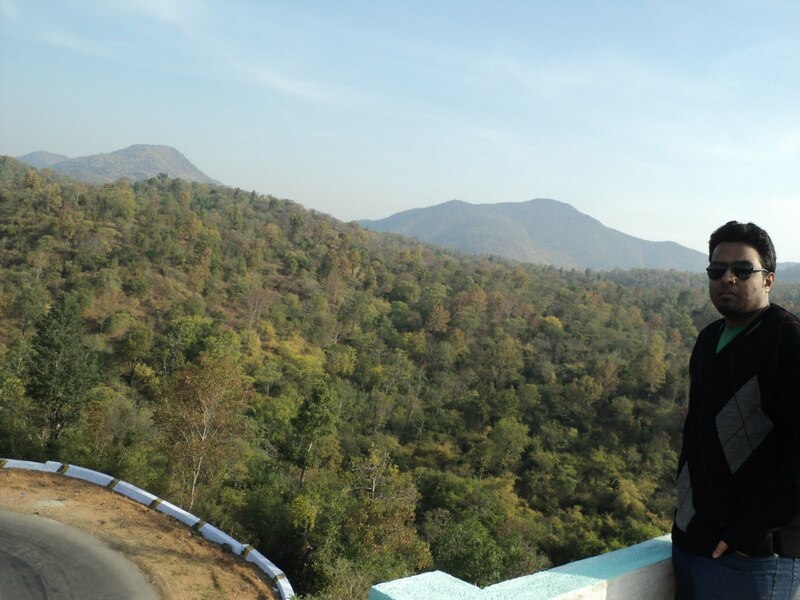 Previous visit: NGlake, Manchinbele, Kanva, BigBanyan Tree – The thrin reservoir ride. Alright this was an old-school smooth sailing run to cover this wonderful bird sanctuary. The place is pretty hard to find but yeah, worth all the effort put in finding it. 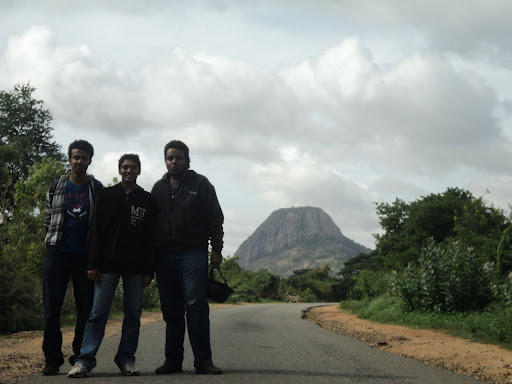 Well actually we had planned to visit this place on 31/8/2011, instead ended up at Muthathi. So… on the previous night i.e, 9/10/11 made a study a about this place and yeah all the places around it too, you never know where we’ll be ending up ha-ha!! And finally Zethu was the only person on the confirmed list. I was up at around 04:00hrs sharp had a sip of coffee, did a few push ups and was set to go. 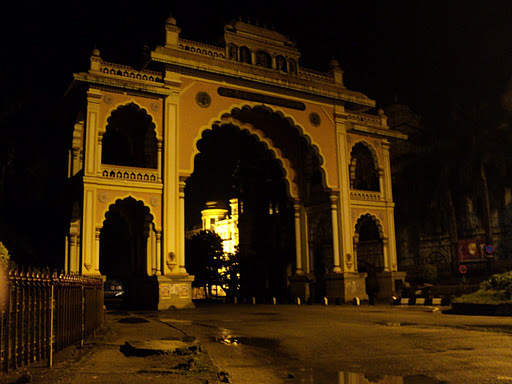 Then got a call from Zethu and we decided the meet up point to be Rajarajeshwari Nagar Gate. So… without wasting anytime reached the gate. About 10 minutes latter Zethu joined me. 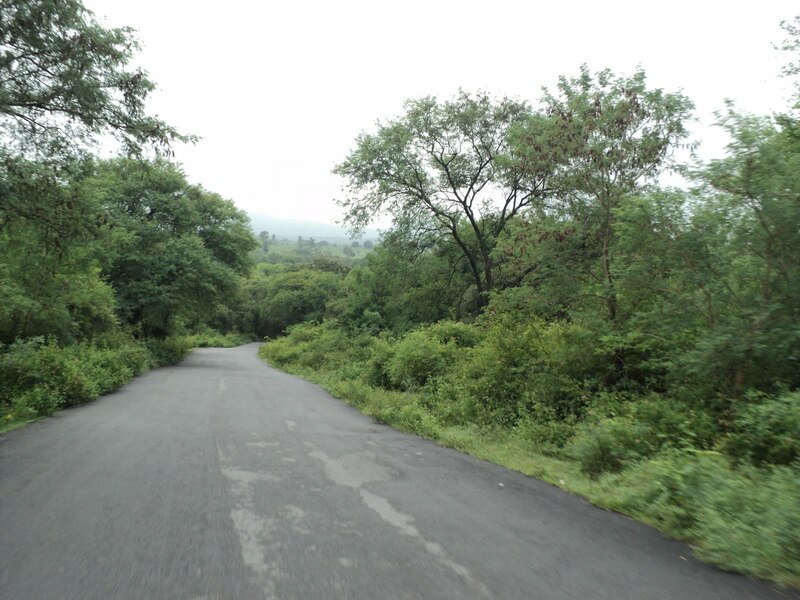 This was an 80kms stretch. 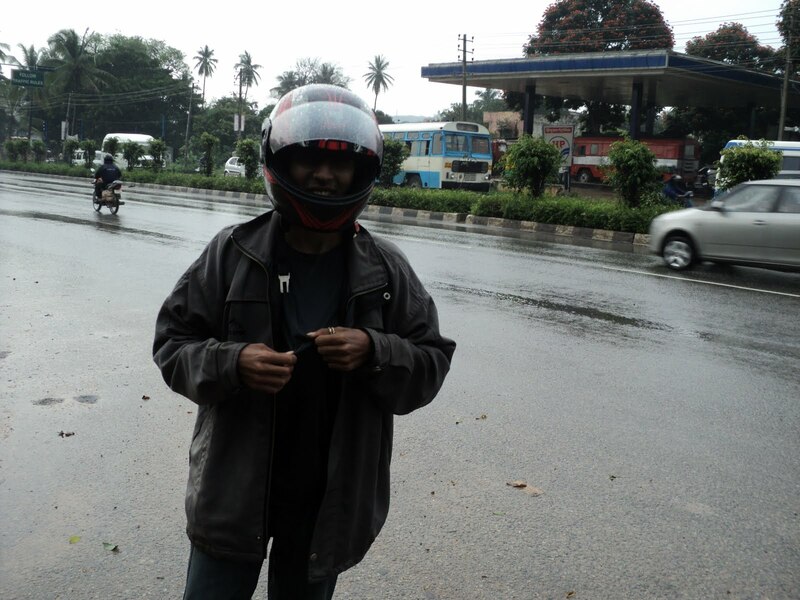 It was pretty cold and the roads were wet as it had rained the previous night. 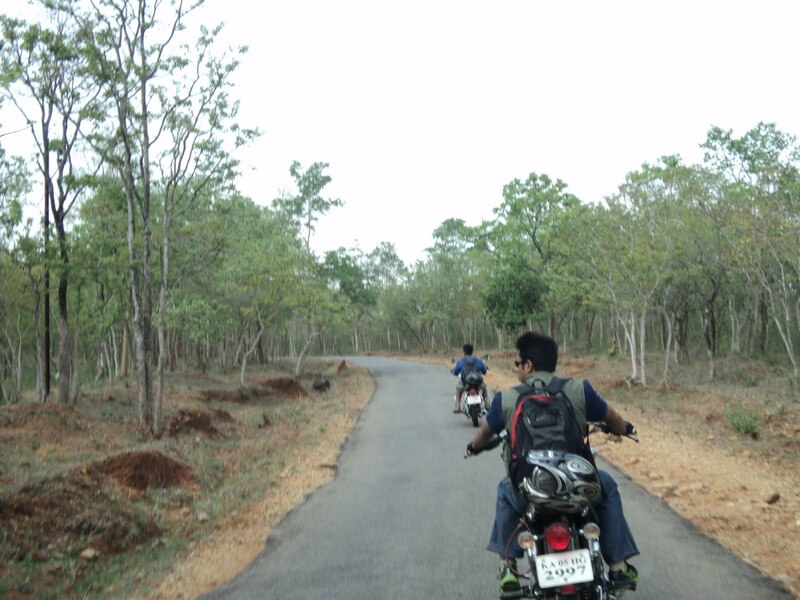 But yeah we started off slow to get used to the conditions, and it was smooth sailing from then to reach Maddur. 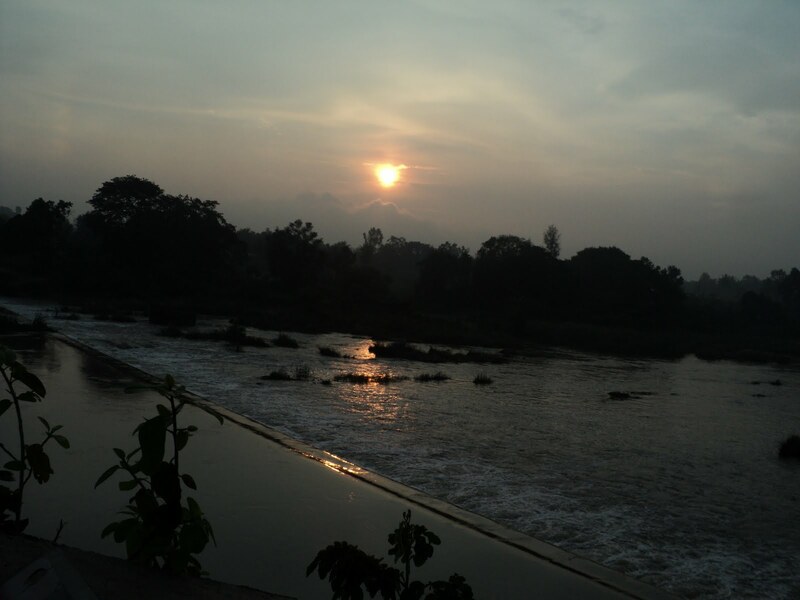 At the outskirts of Maddur we witnessed a beautiful sunrise and without wasting anytime we carried on to reach Mandya, from here on directions had to be asked. Again asking fro further directions we continued further to spot the Arakere lake, but decided to visit it on our way back. 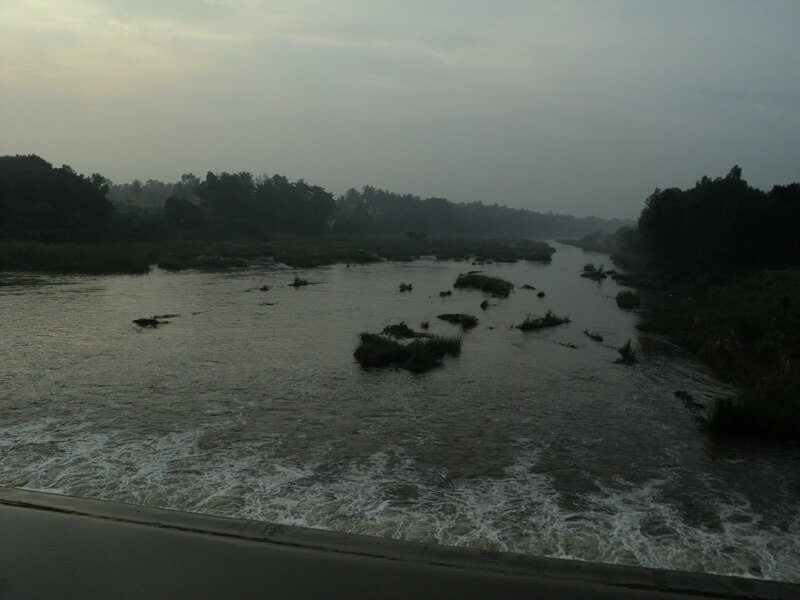 Finally after sometime we reached the Mahadevpura Bridge, it was a wonderful sight all around and river Cauvery was in full flow. When asked about directions to the actual place, we got back a straight forward answer saying that was the actual place 😛 ha-ha. So we finally caught hold of a localite there, and spoke to him for a good 15-20mins and finally when we spurted out the golden word “Katte” he gave us proper directions. Yeah that’s the word one should be asking for in-case somebody wants to visit this place. After getting proper directions we sailed smoothly and reached this wonderful place. It was an excellent place and worth all the trouble we had taken finding it. The force of the water was tremendous so we could not walk on the bund. Check out the snaps taken, it expresses way better. 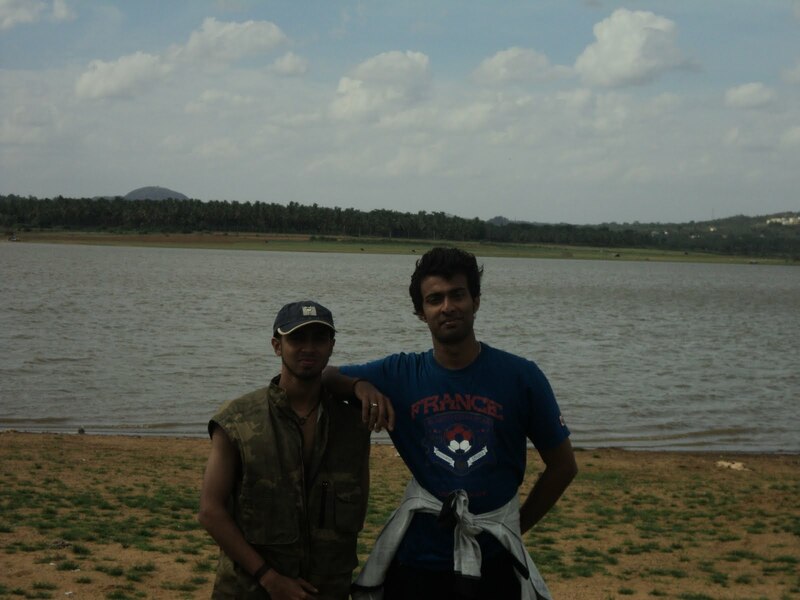 After spending about 20 mins at the Anicut we decided to walk & explore the place, and yeah we both were the only people in at-least 2km radius so bike’s safety was not a problem. 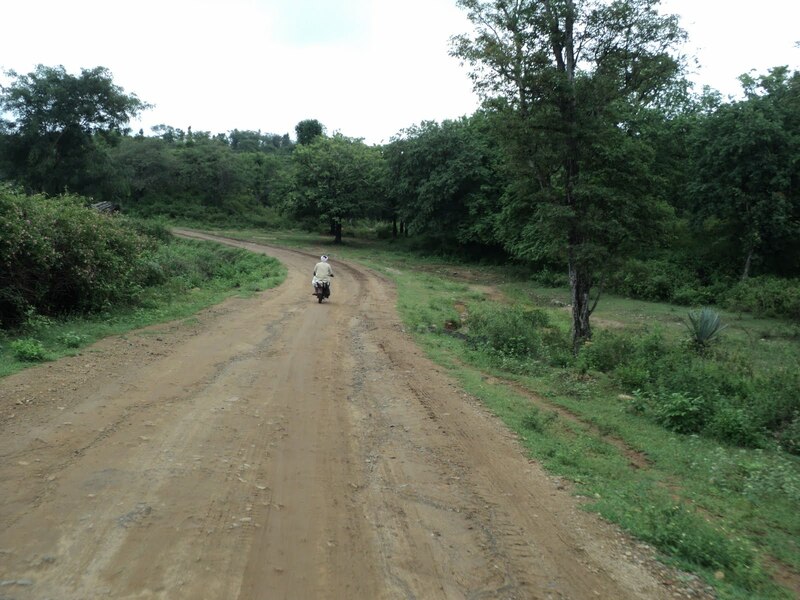 We started walking but the road seemed never ending, so went back and started the wonderful off-road bird safari on our bikes. We also spotted a lot storks, cranes, lucky black bird, and many other strange birds. Ba-ba Bird was definitely the word that day ha-ha!! 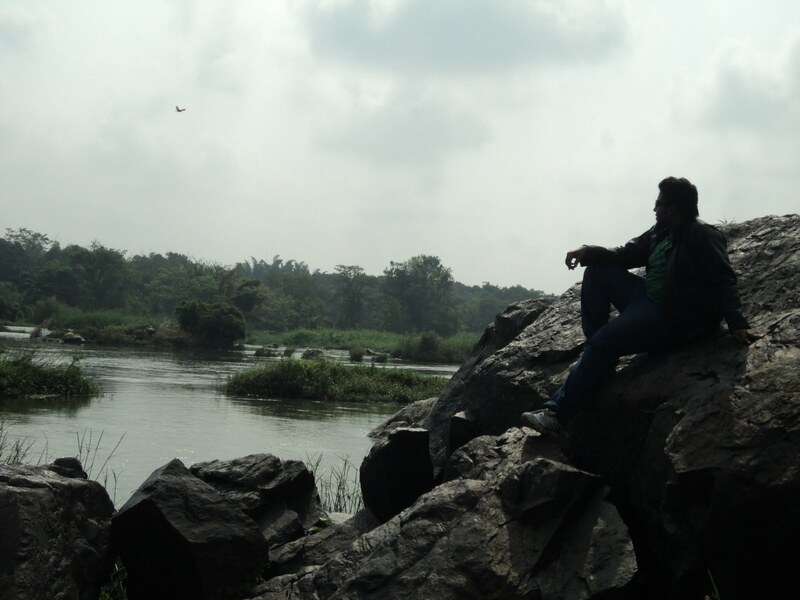 After the sanctuary ride we decided to spend sometime sitting on the rocks watching the birds fly around us. Oh yeah I was still in search of the perfect snake!! Finally… we reached back the “Katte” and had one final look at this wonderful place. 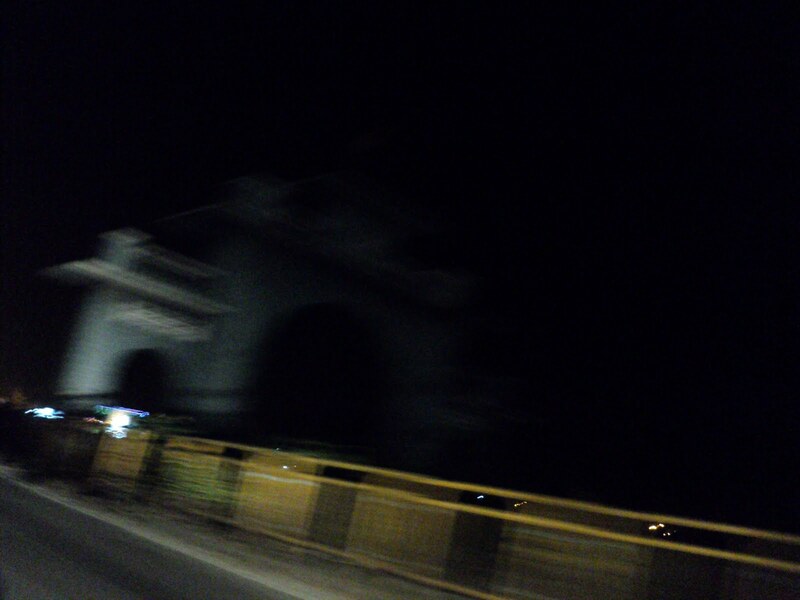 As we left Mahadevpura, we kept going until a we spotted a board which read “Mysore 10kms”, ha-ha!! 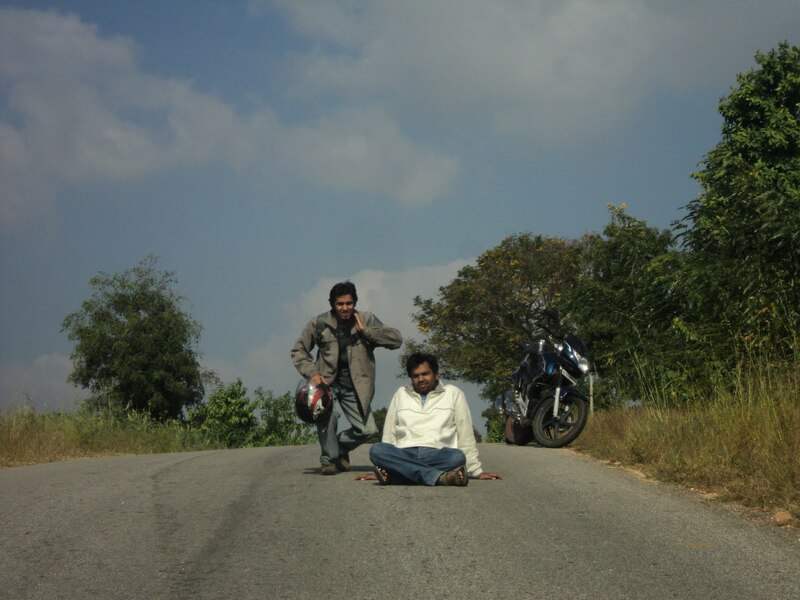 We had no choice so we reached Mysore, did one full lap around it and got back on our home ground SH-17 (Mysore road). 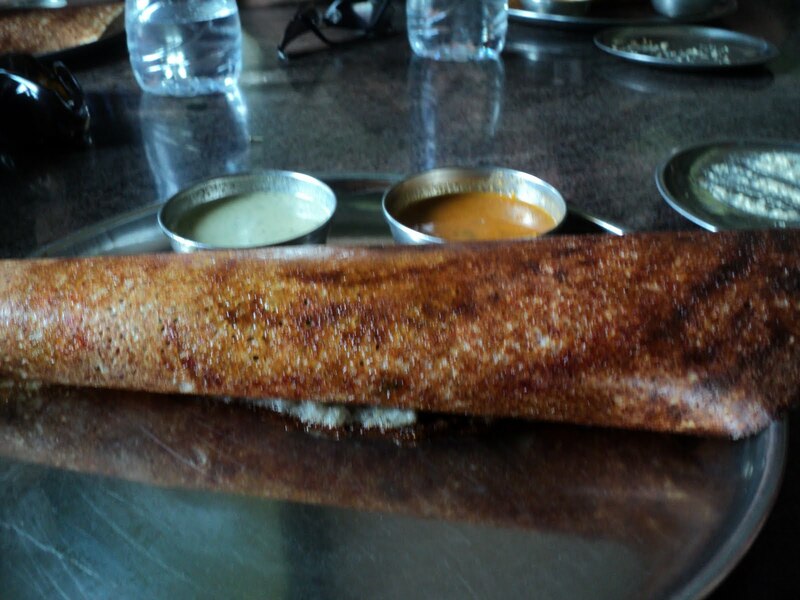 After a drinks break at Mysore, we decided the next stop would be at Maddur for breakfast. So this stretch was a non-stop ride, and SH-17 being a 4-lane road didn’t offer any difficulties. This was 40km stretch; all we had to do was stay awake. 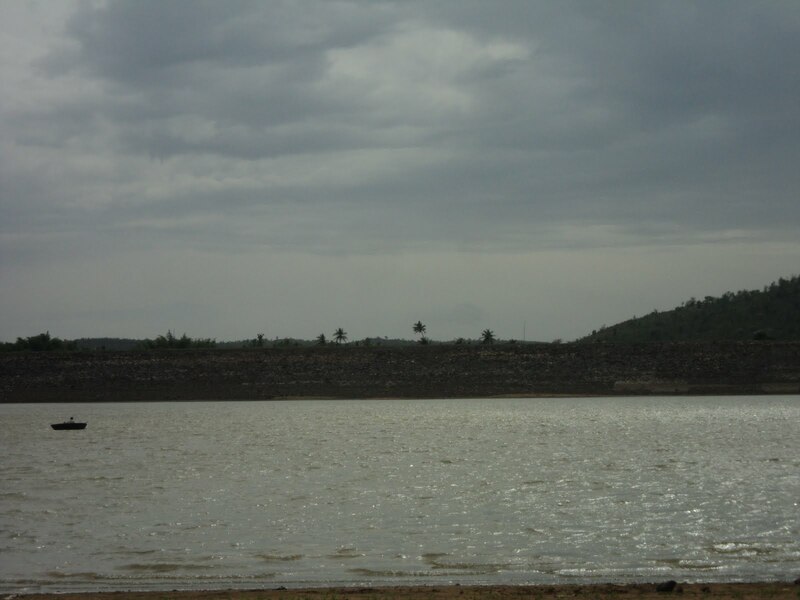 We rode non-stop to reach this wonderful reservoir at about 14:00hrs. We didn’t spend much time here, we sat in the shade for sometime and decided to leave. 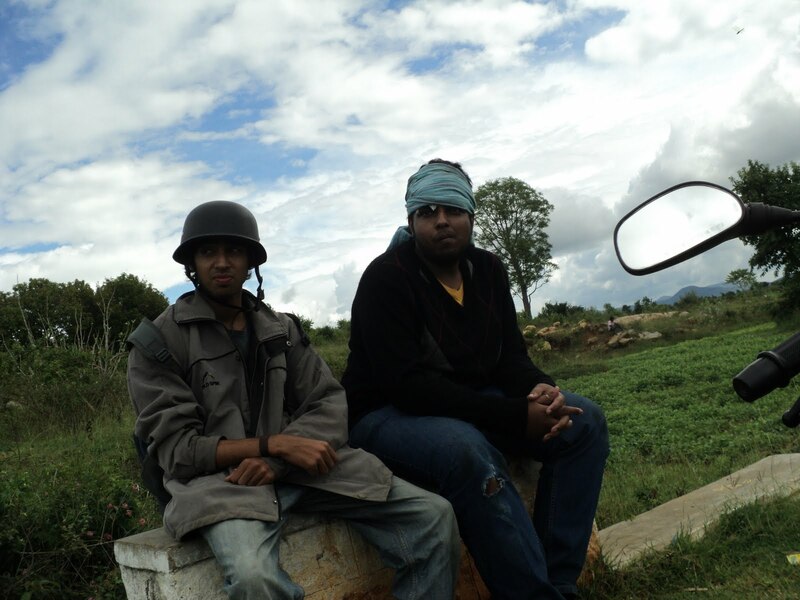 This was 60km stretch though a formality one , but yeah had to keep our eyes wide open this time ha-ha!! 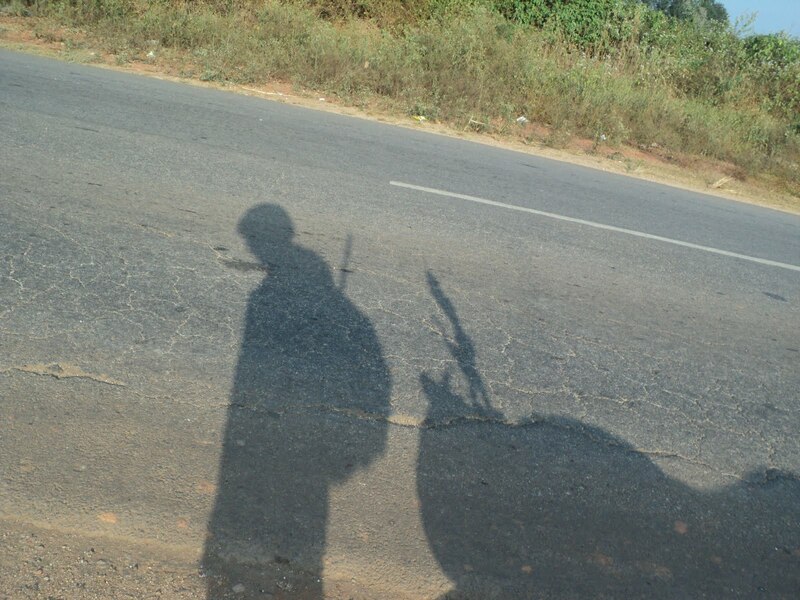 Okay… as we reached Ramnagara the skies turned dark, we pulled over and wrapped up all our belongings in a towel which was kept safely in my bag. Then i asked “You ready for this bro?”, then Zethu replied “Seen worse man…” haha!! 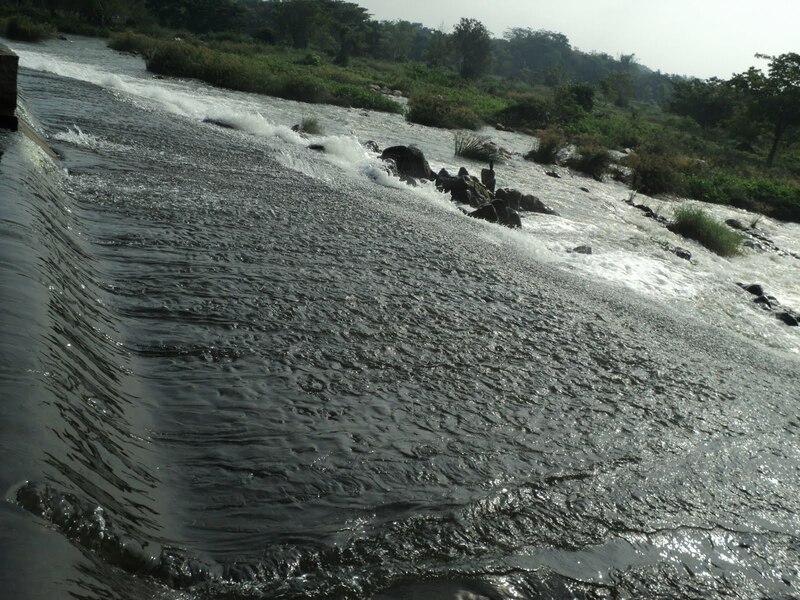 As we started to ride all hell broke loose, Sh-17 was totally flooded about 1/4th to ½ the tyre was under water, not just stand still water, but flowing as well. 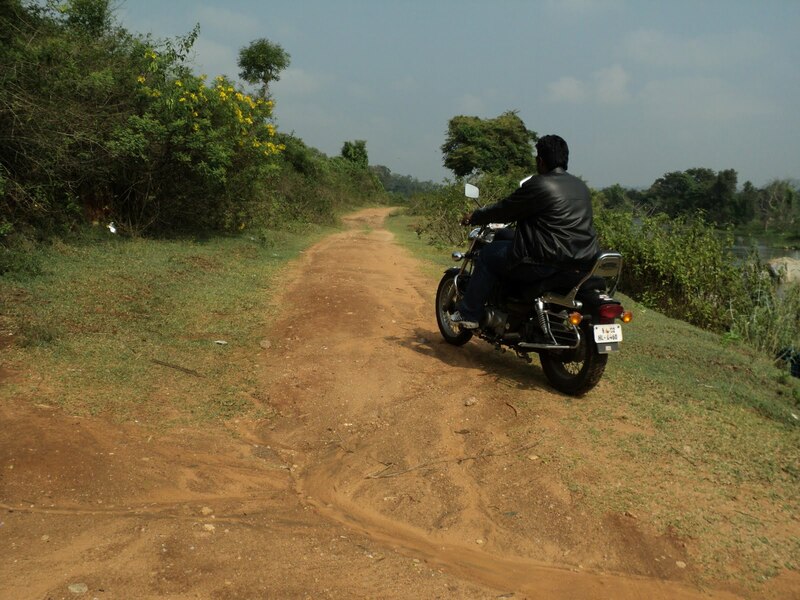 It was a hard ride but a memorable one as we were the only bikers riding all others had pulled over along the road side. We reached back Jnana Bharati split stop in one piece thankfully ha-ha!! Once we reached the stop we had a good laugh at the ride and left to our respective homes. Overall this was a classic run to a new place and to get back some momentum to our overall run.